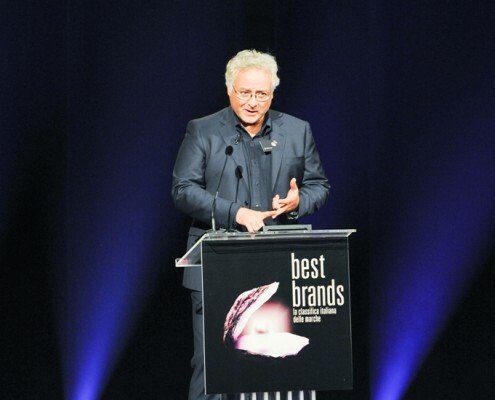 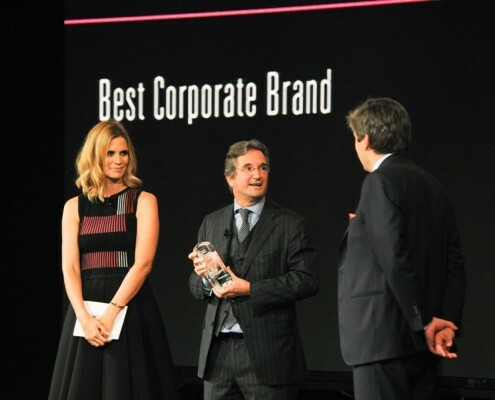 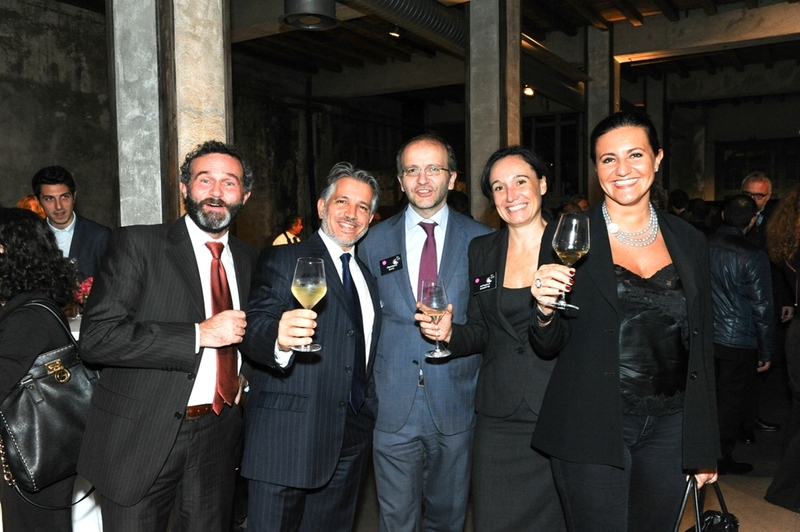 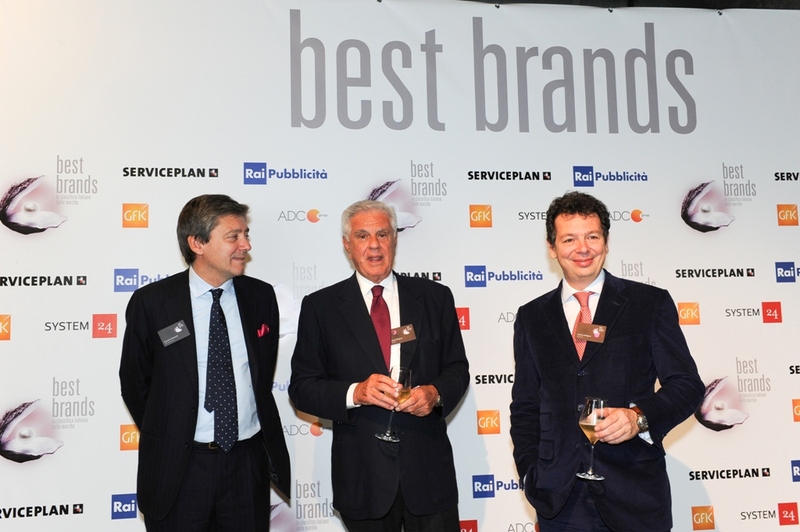 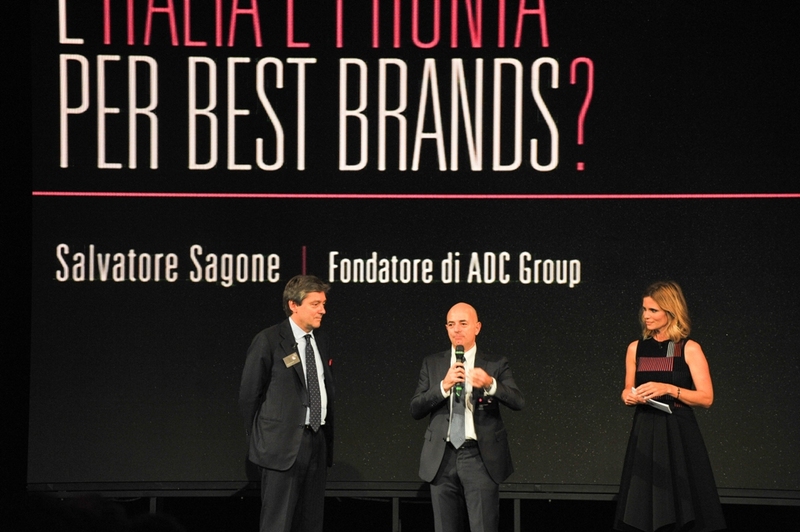 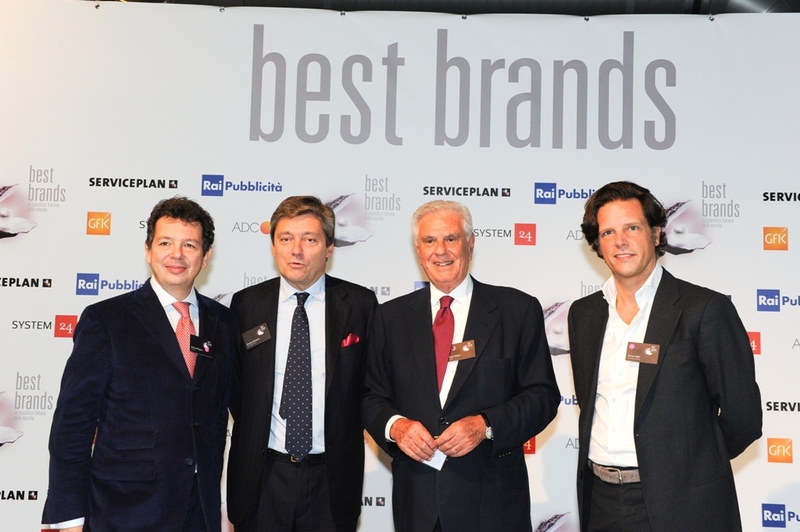 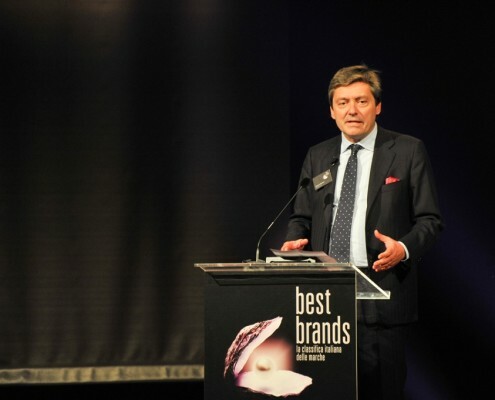 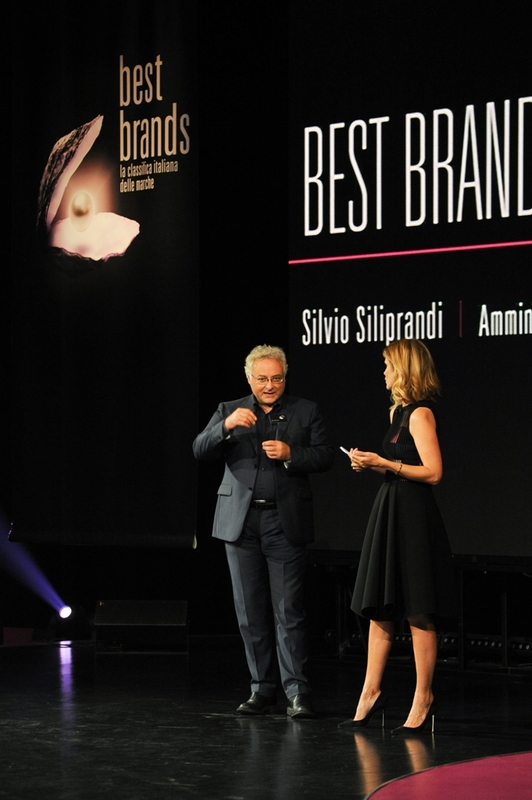 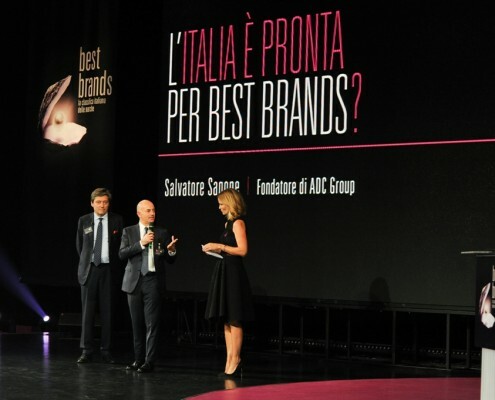 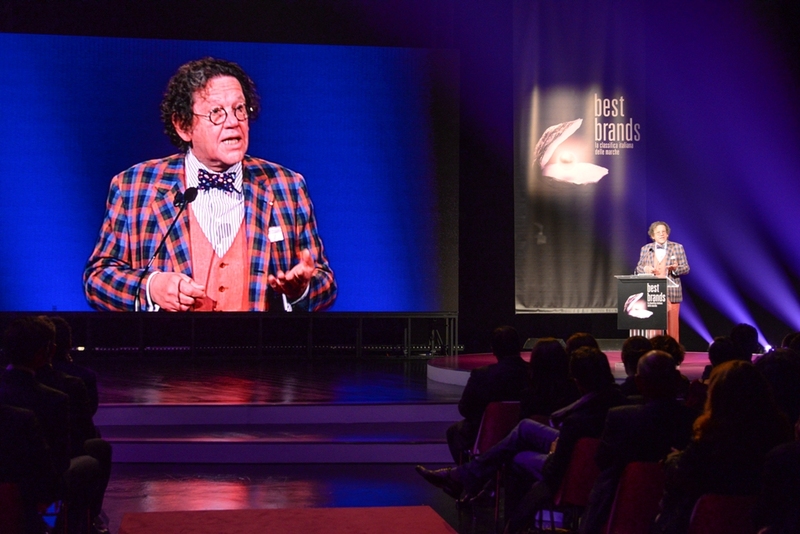 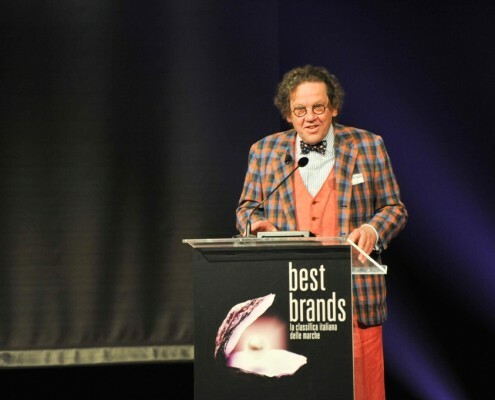 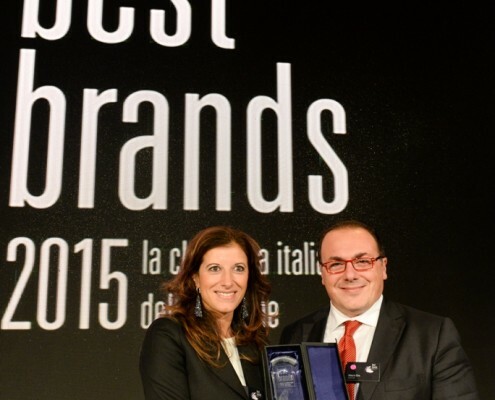 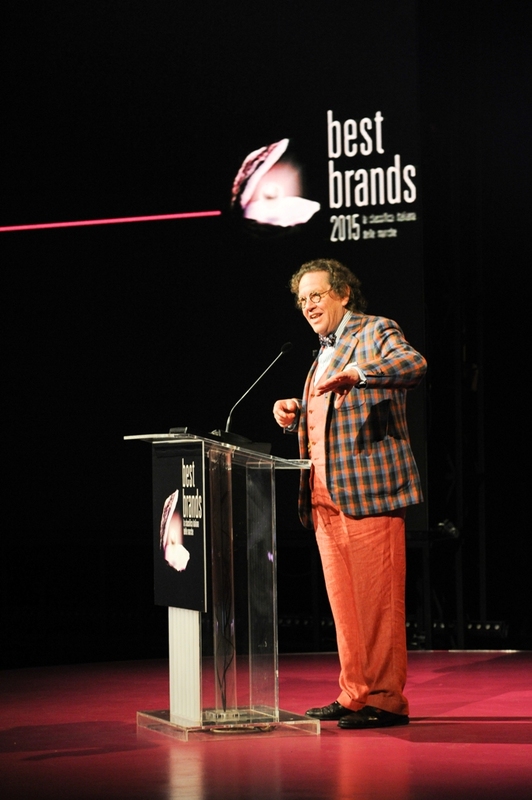 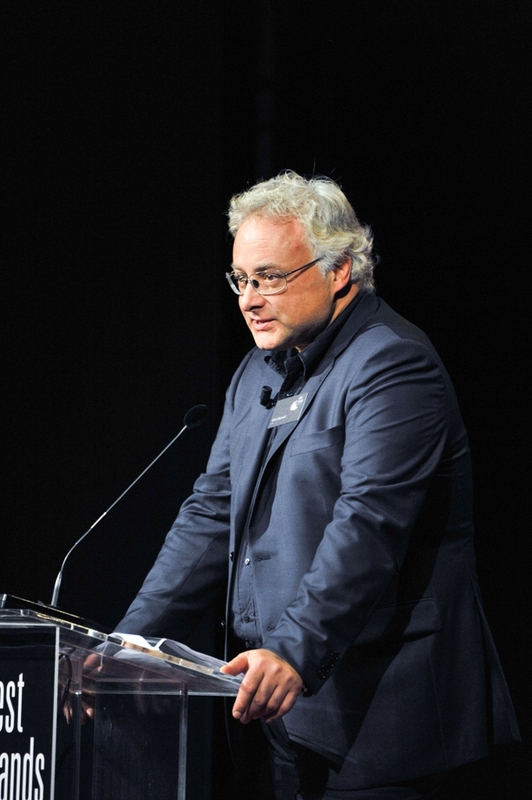 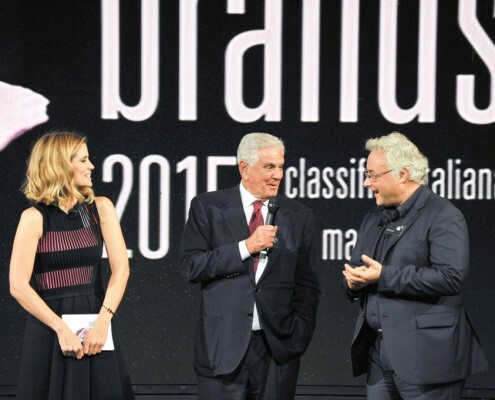 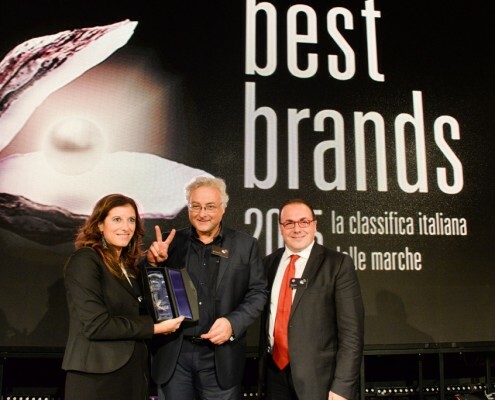 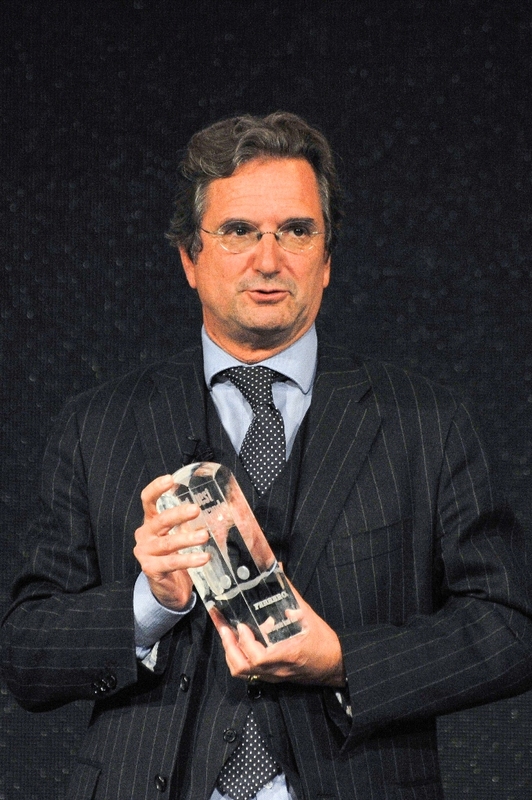 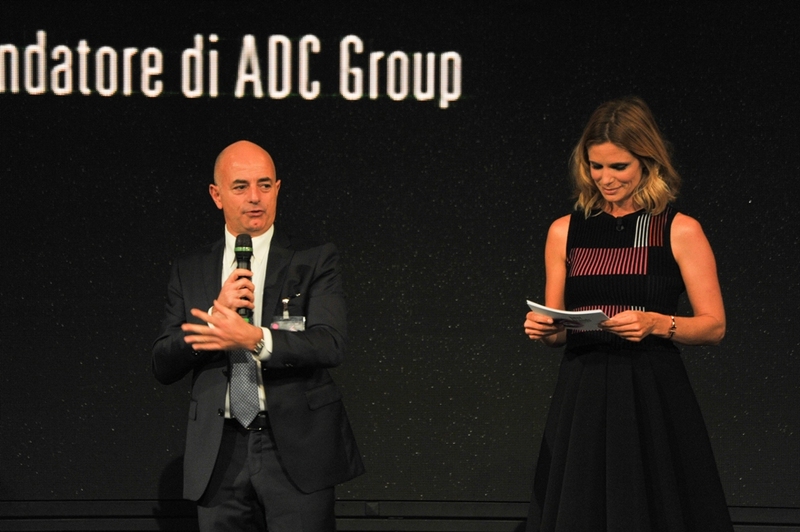 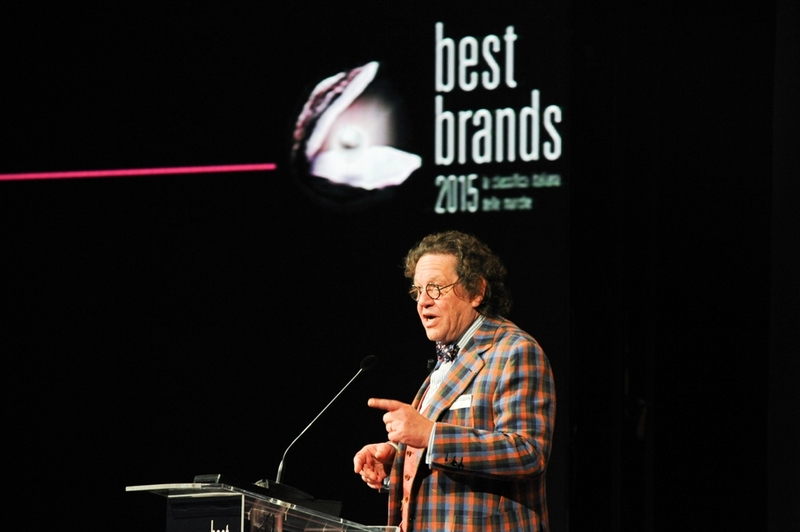 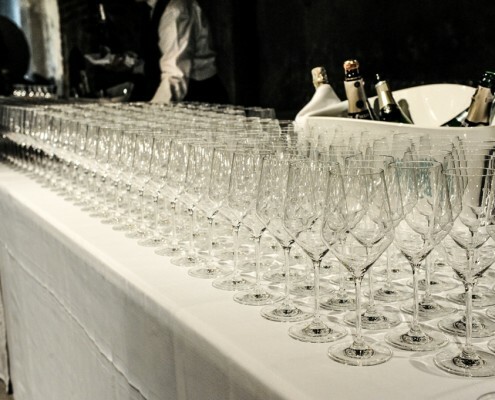 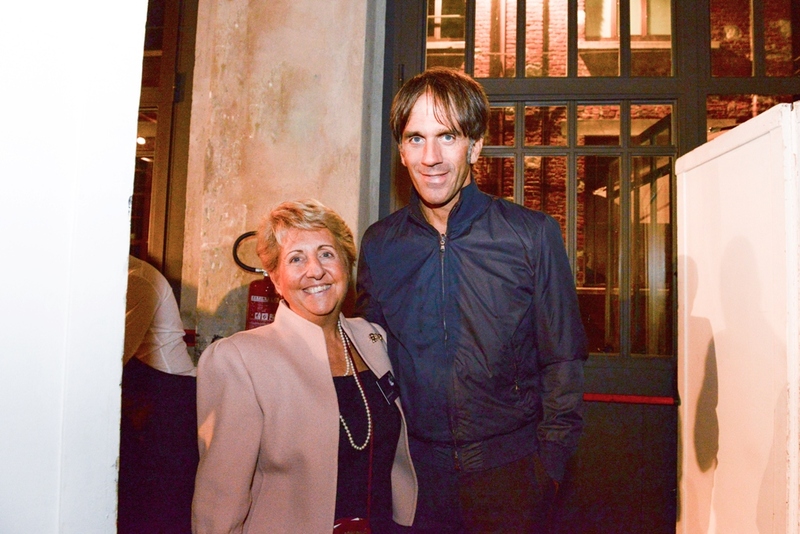 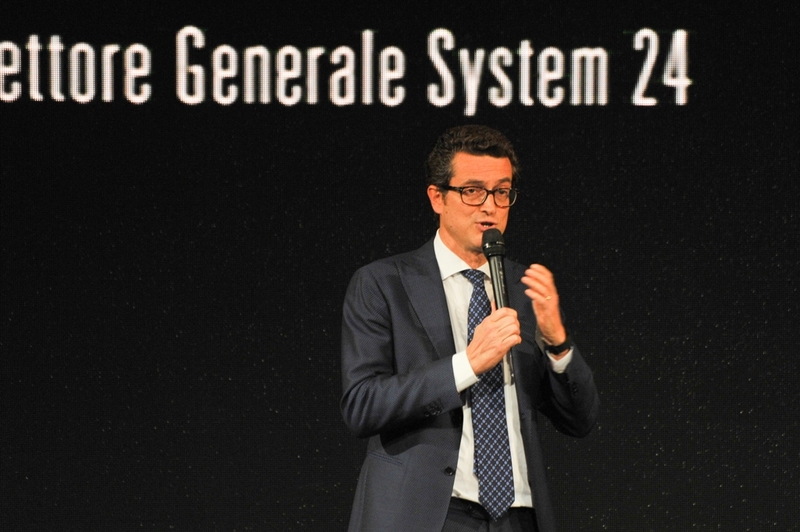 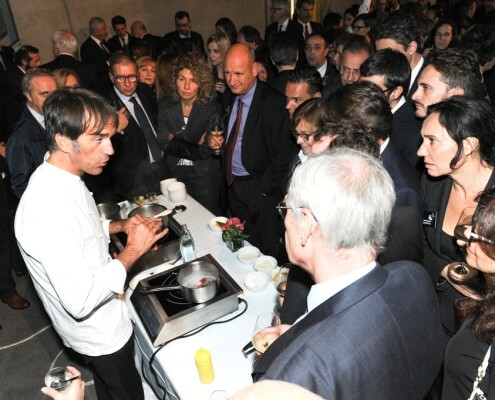 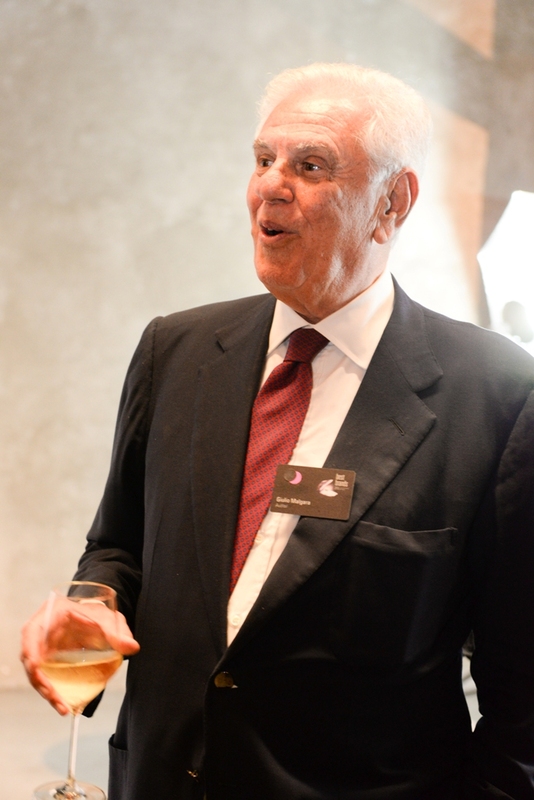 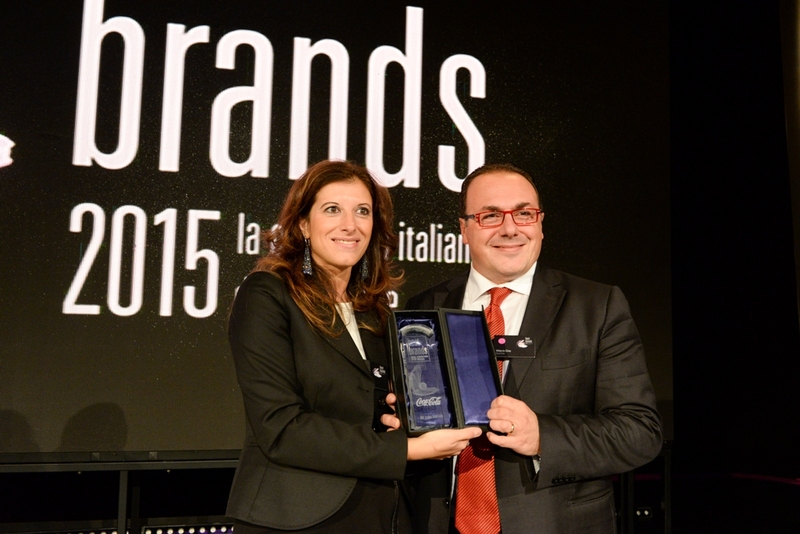 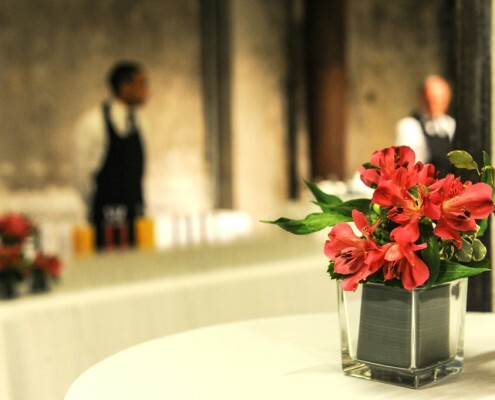 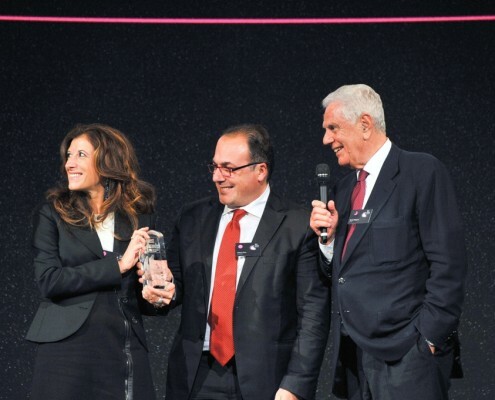 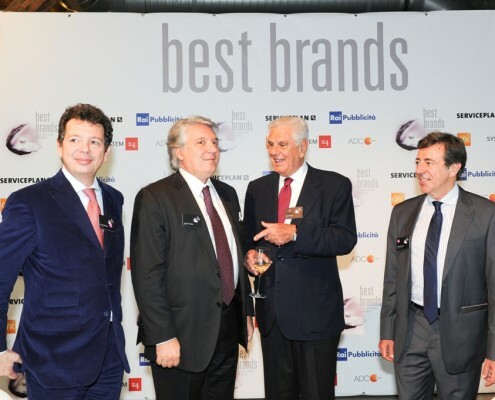 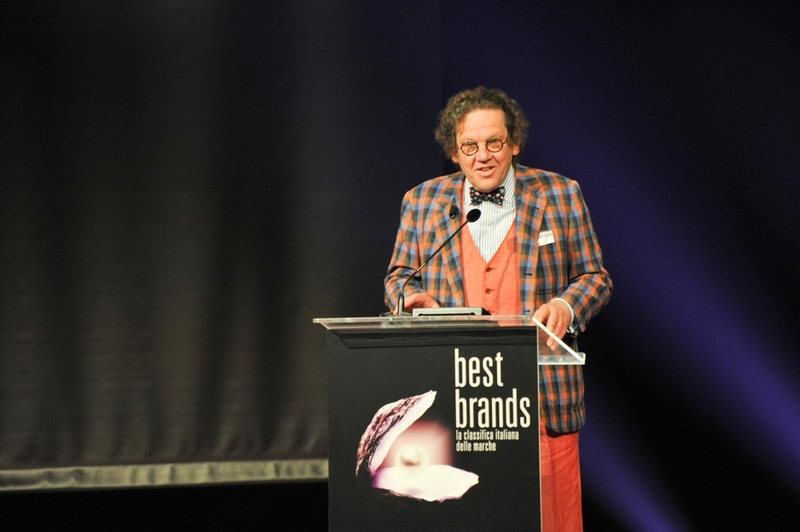 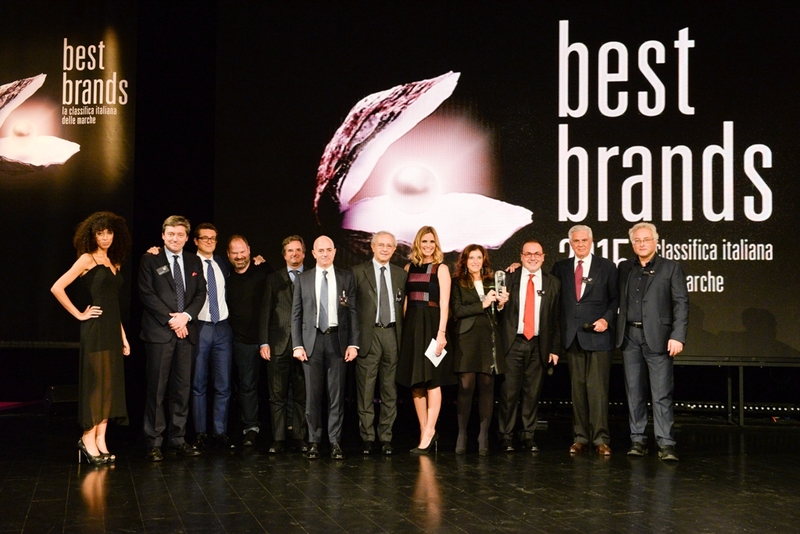 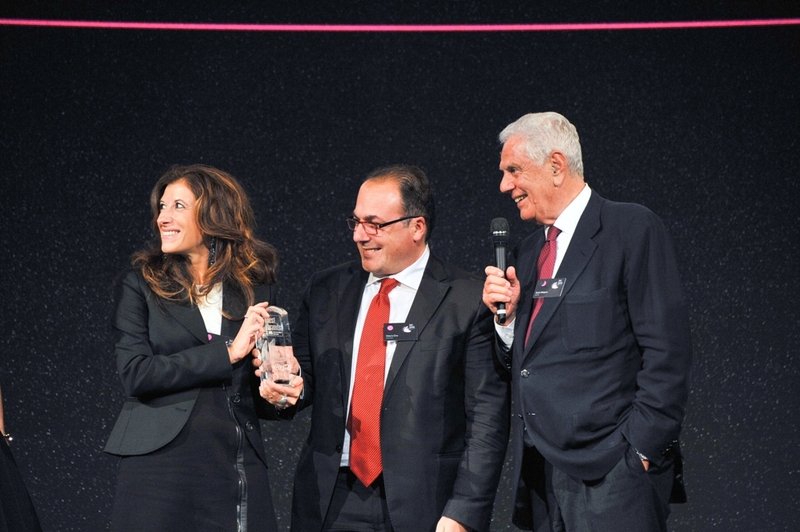 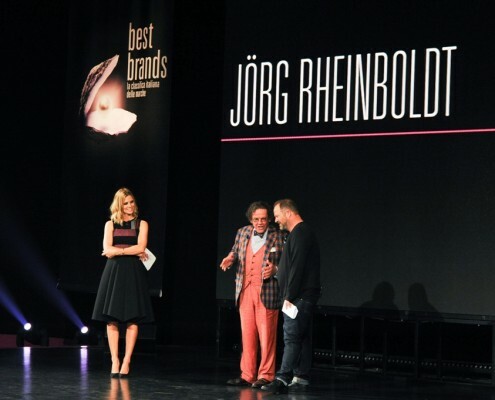 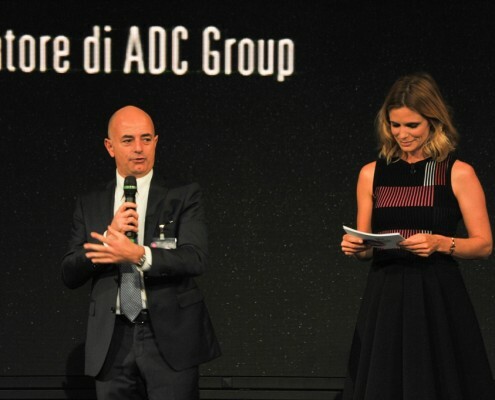 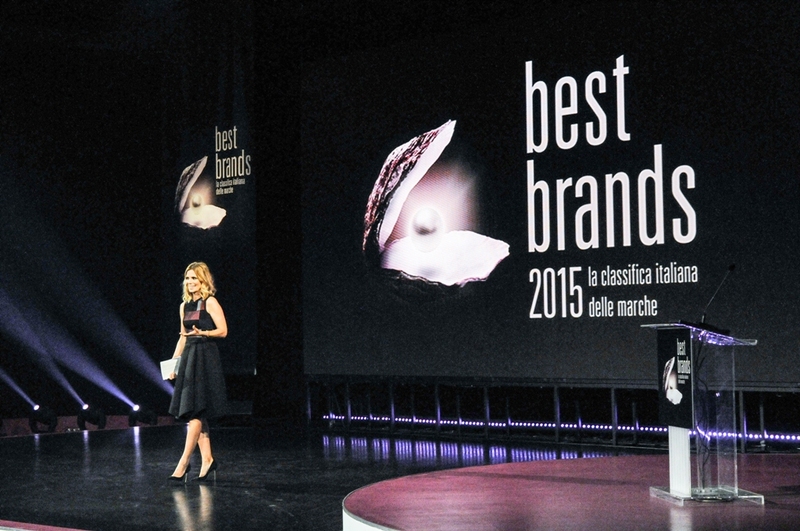 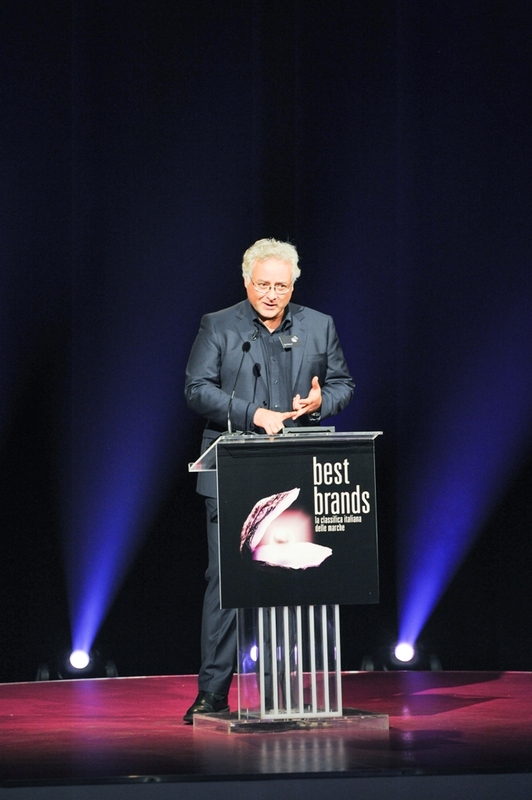 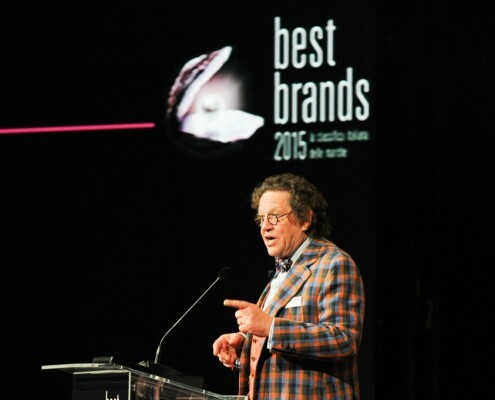 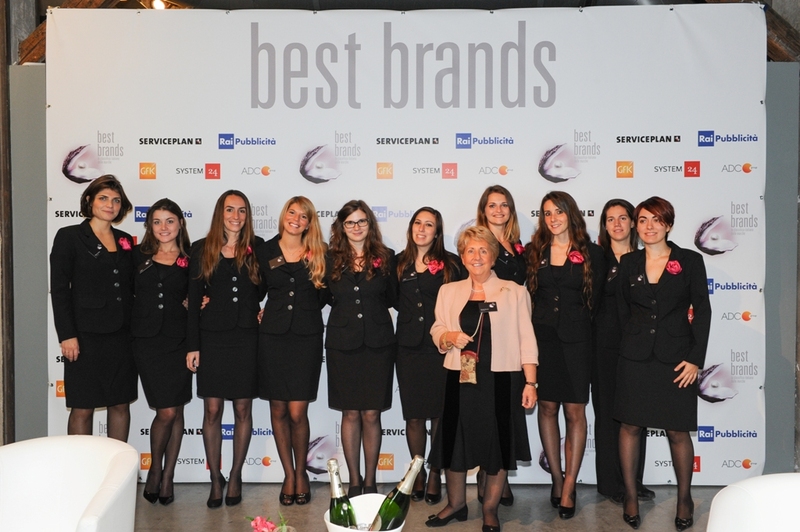 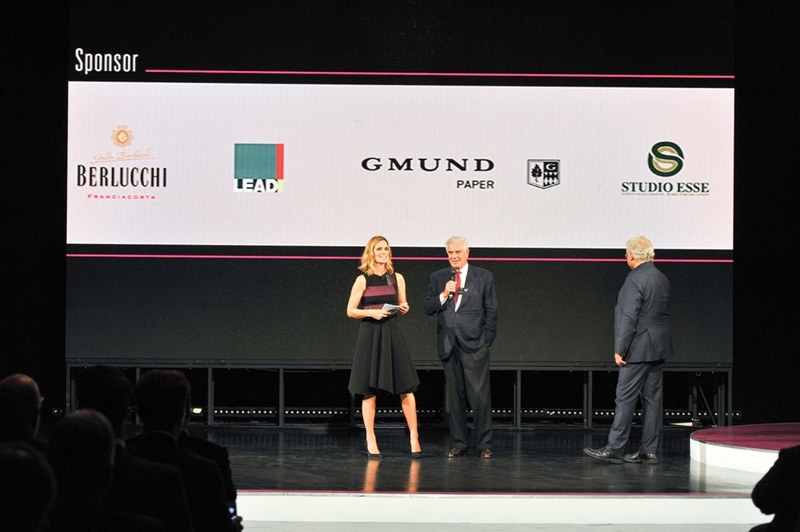 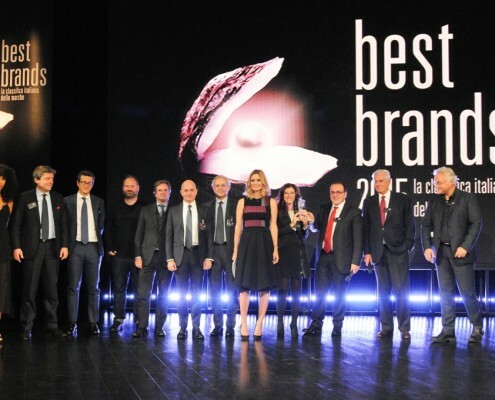 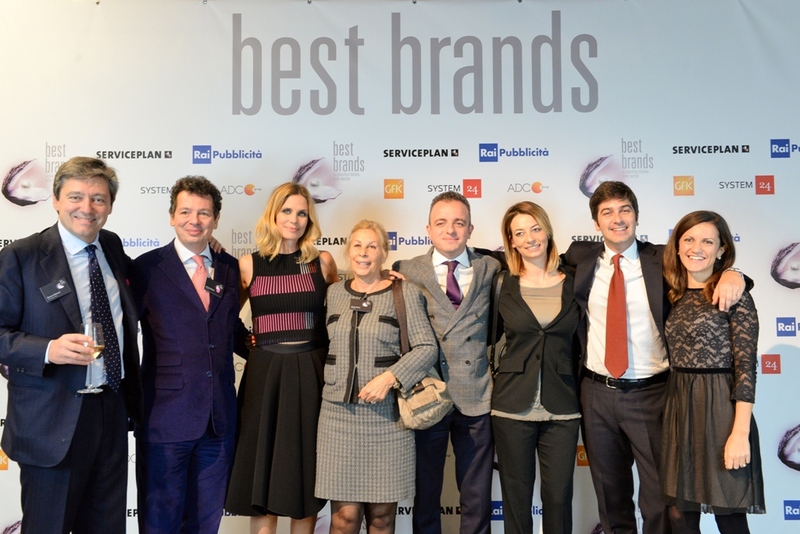 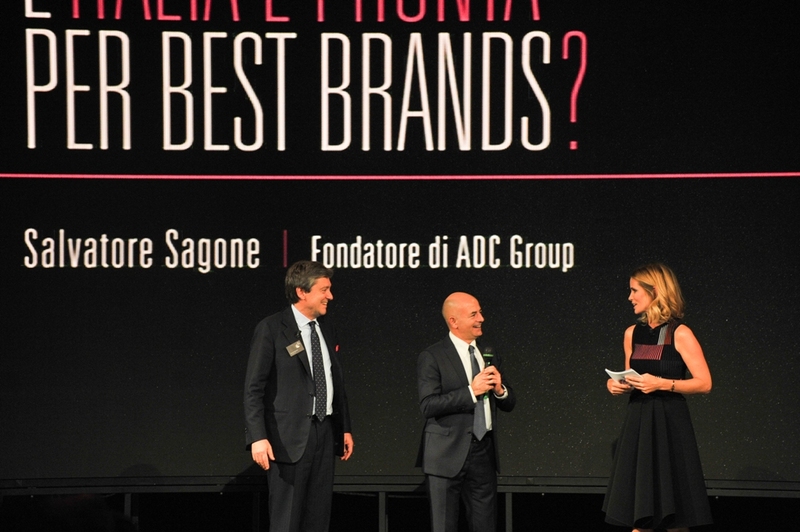 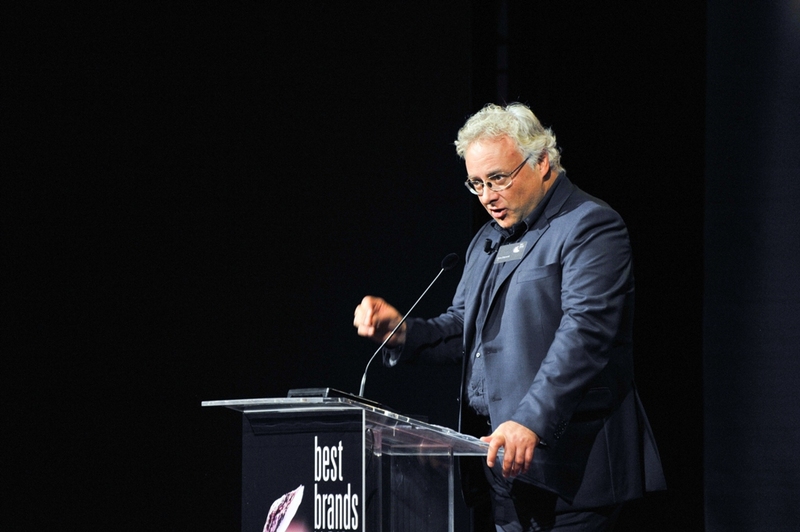 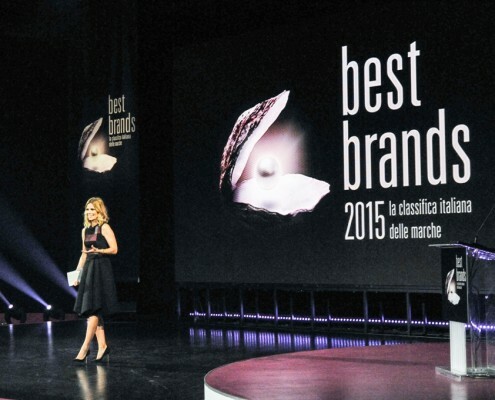 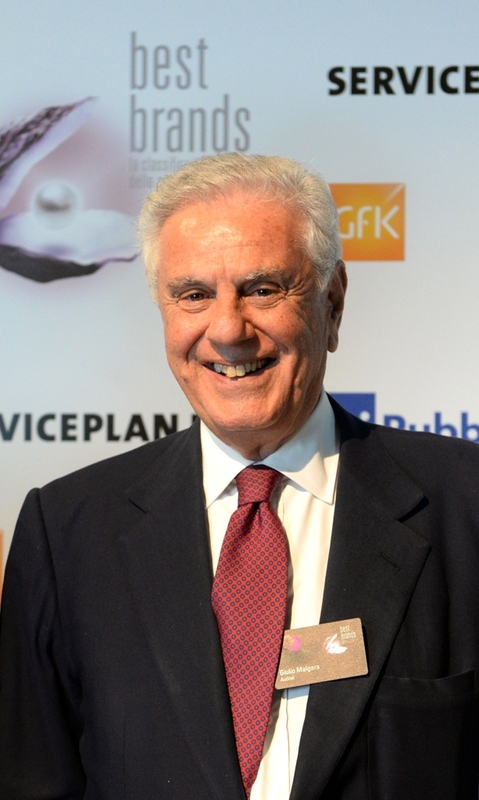 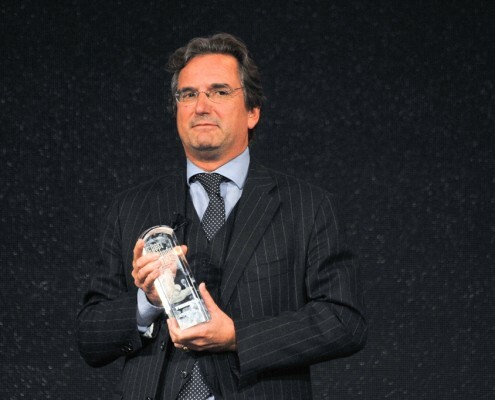 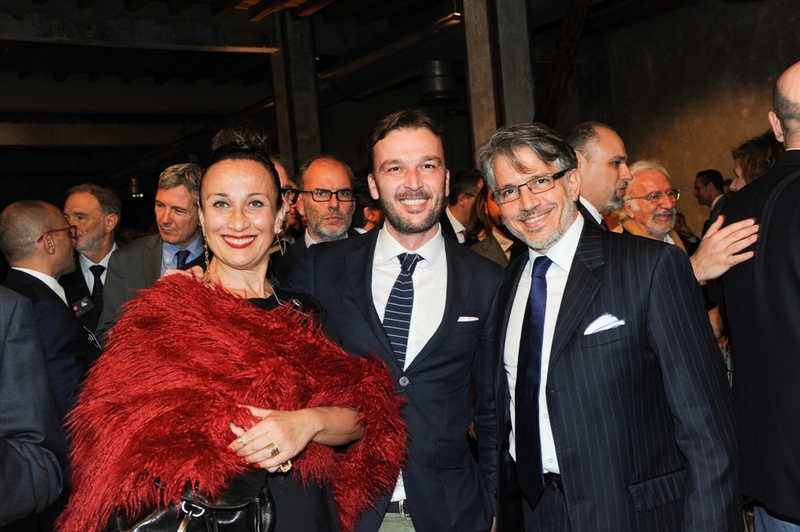 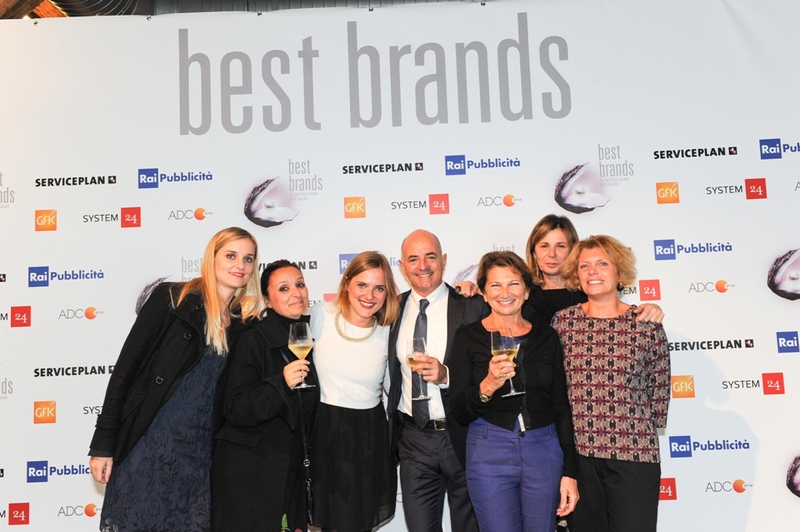 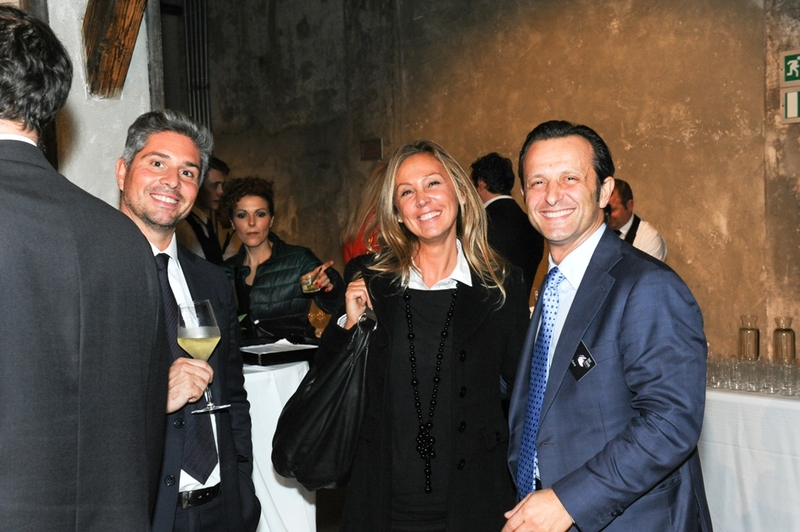 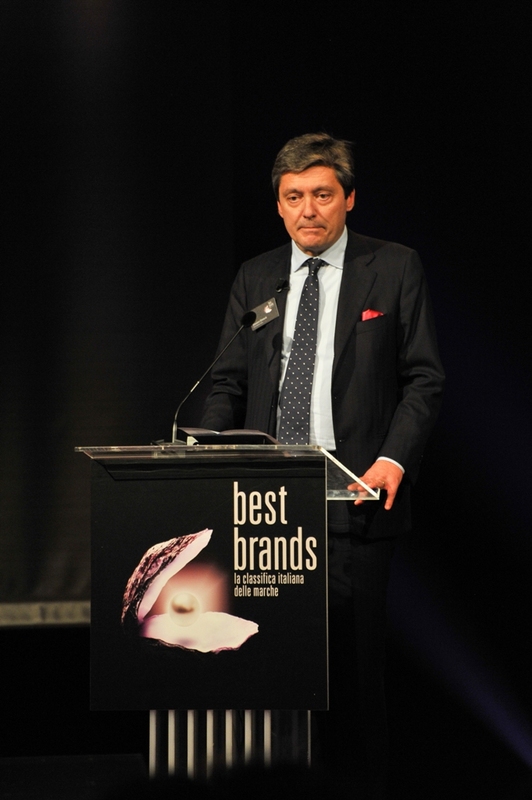 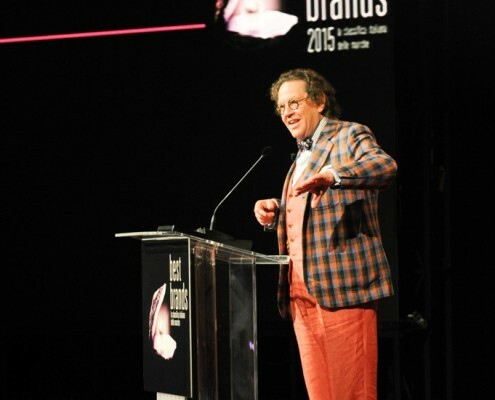 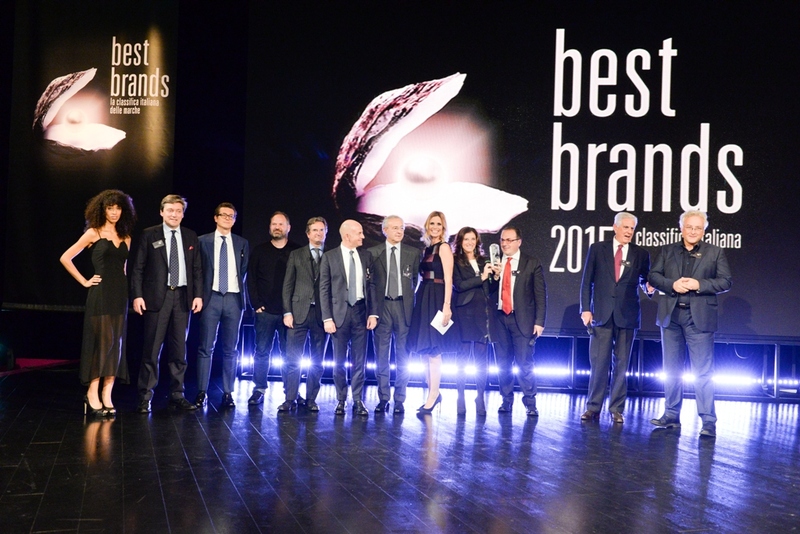 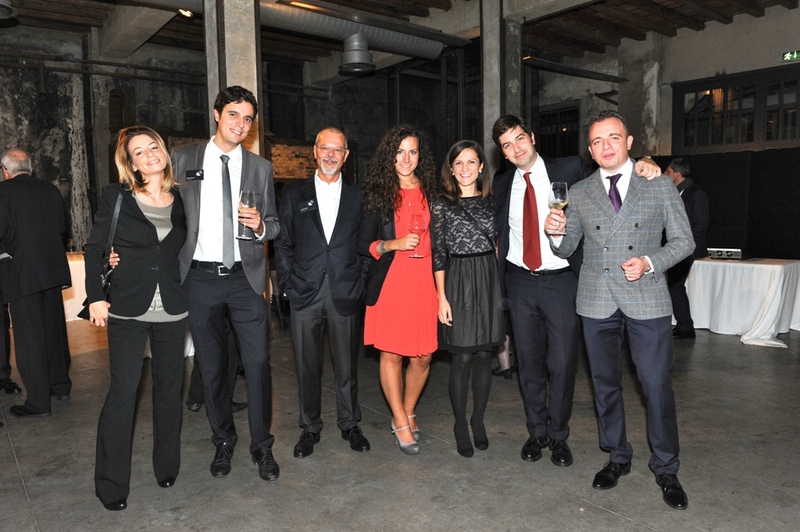 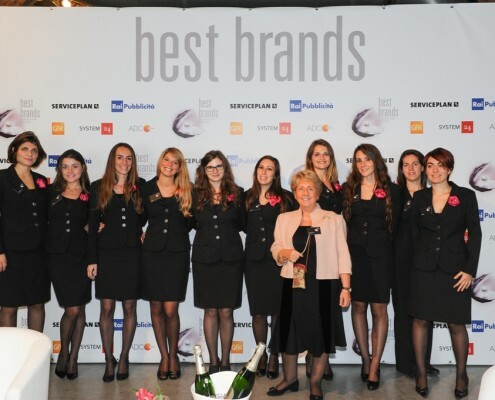 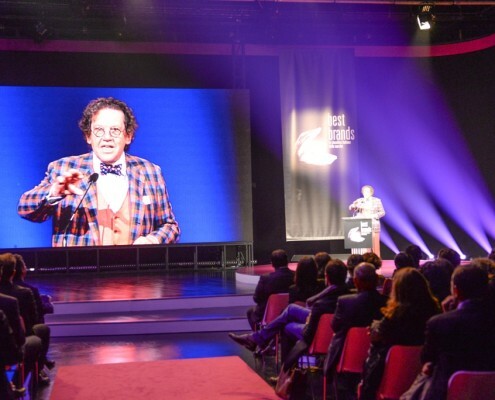 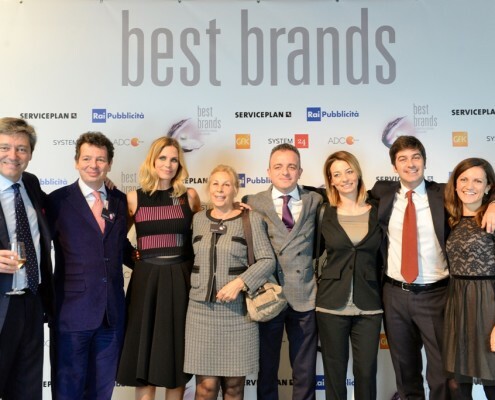 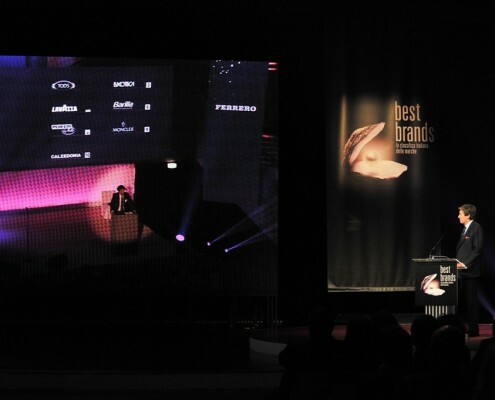 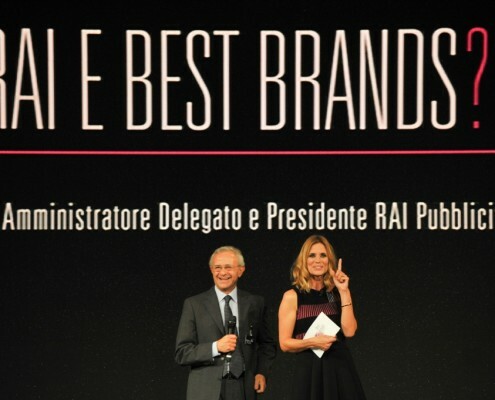 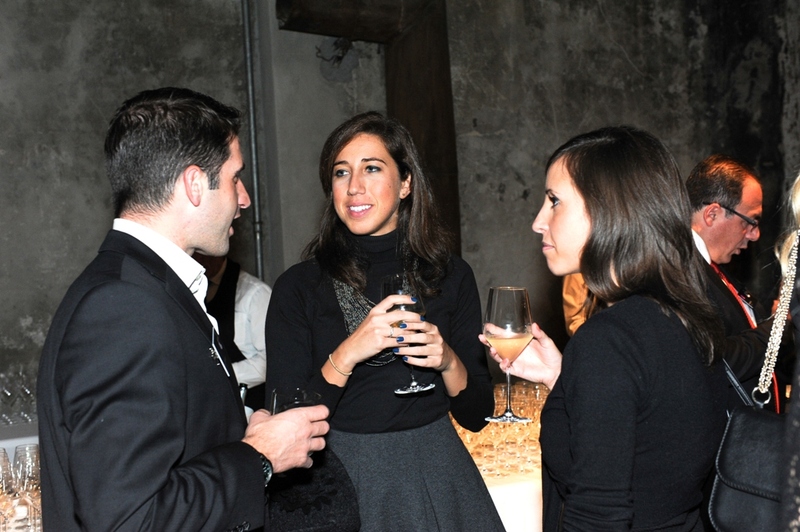 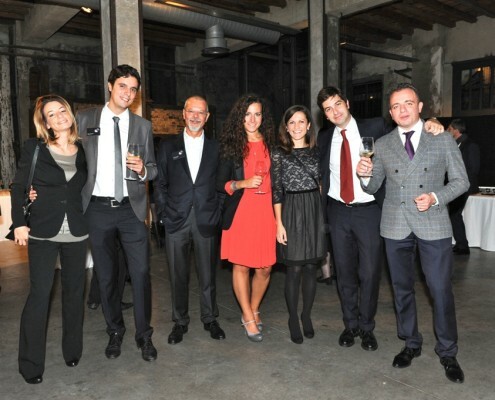 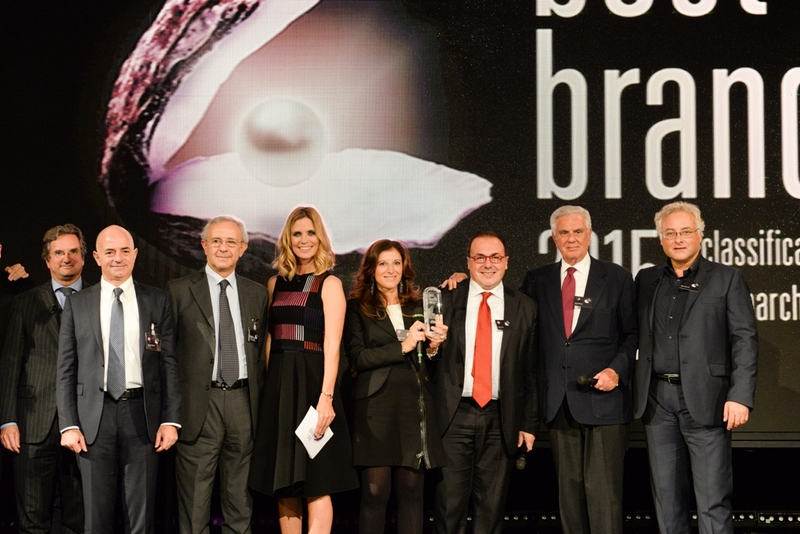 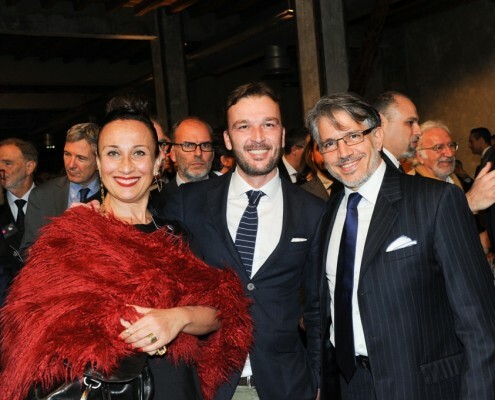 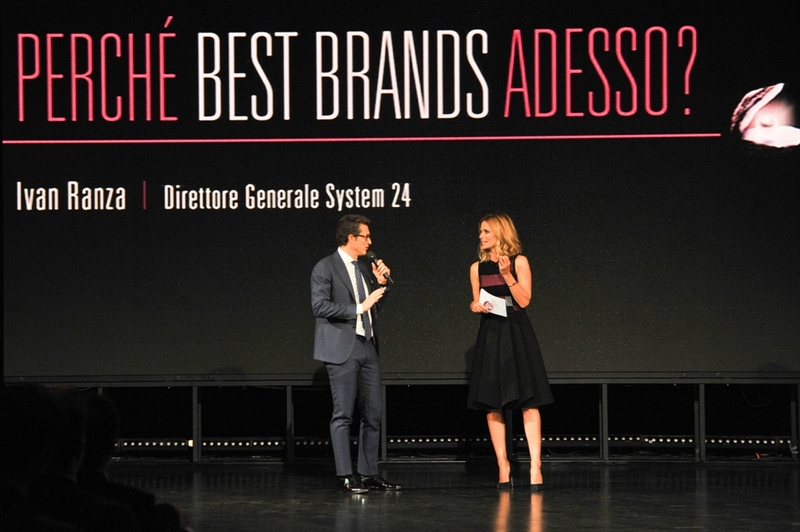 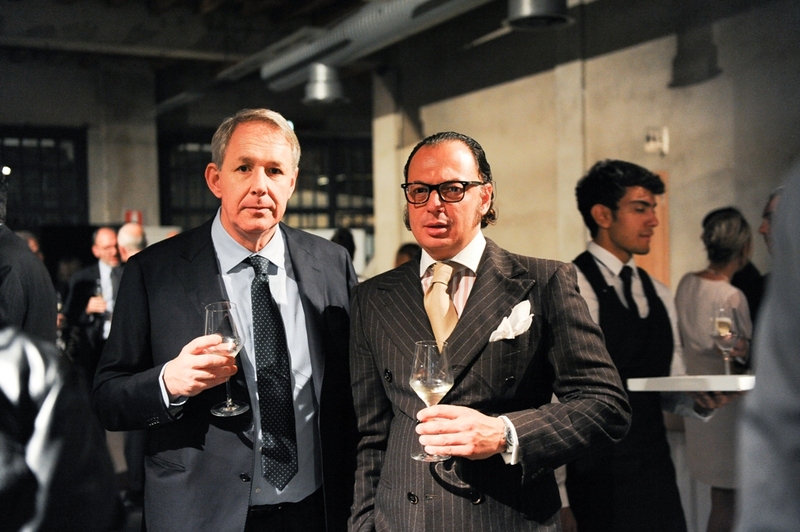 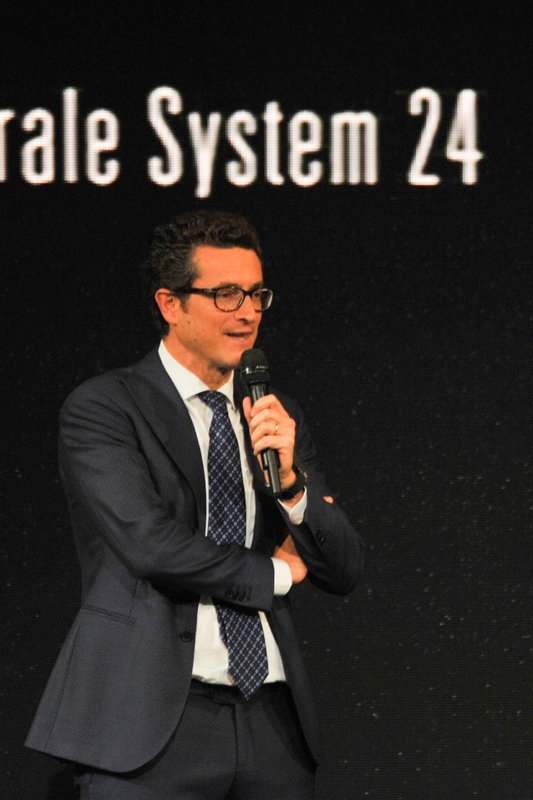 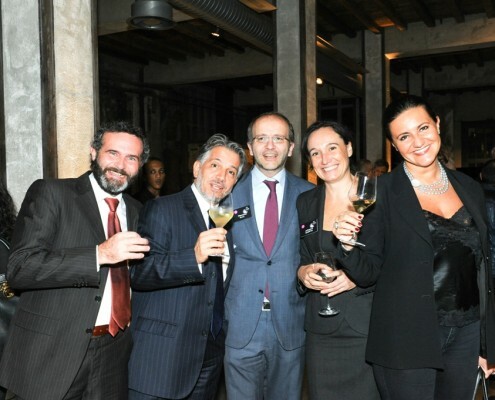 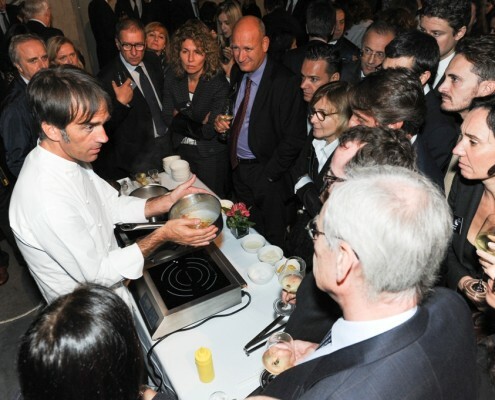 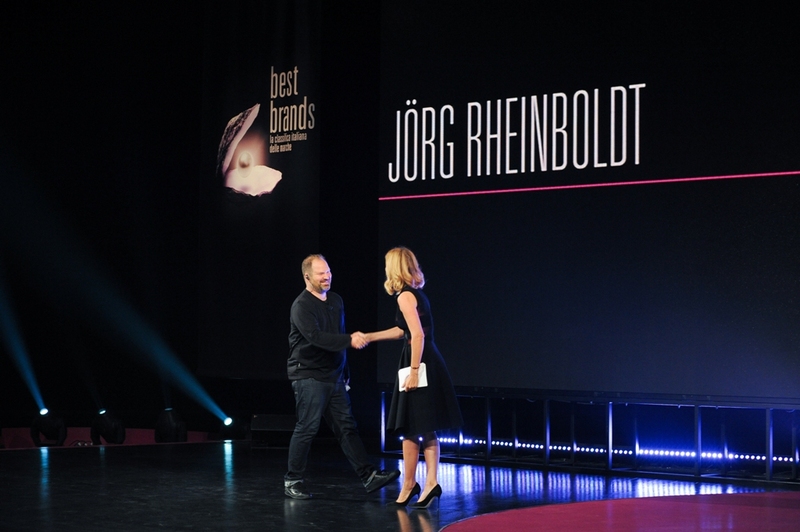 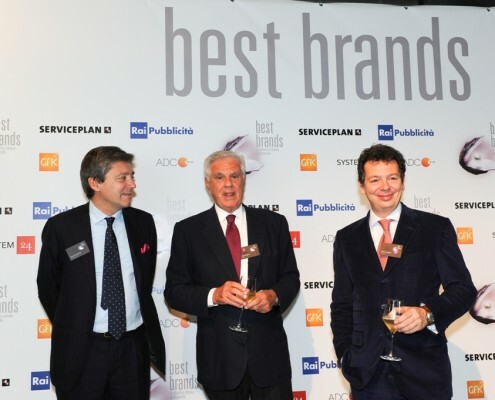 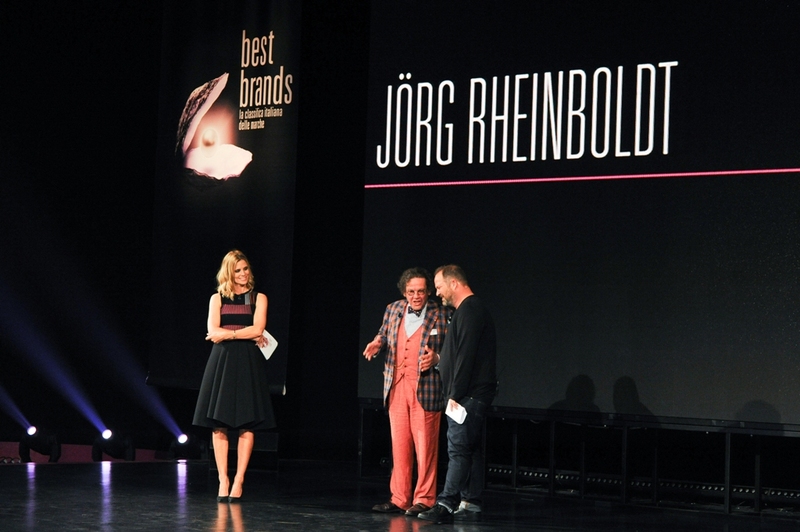 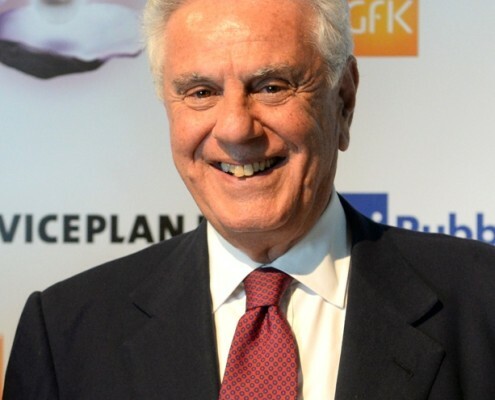 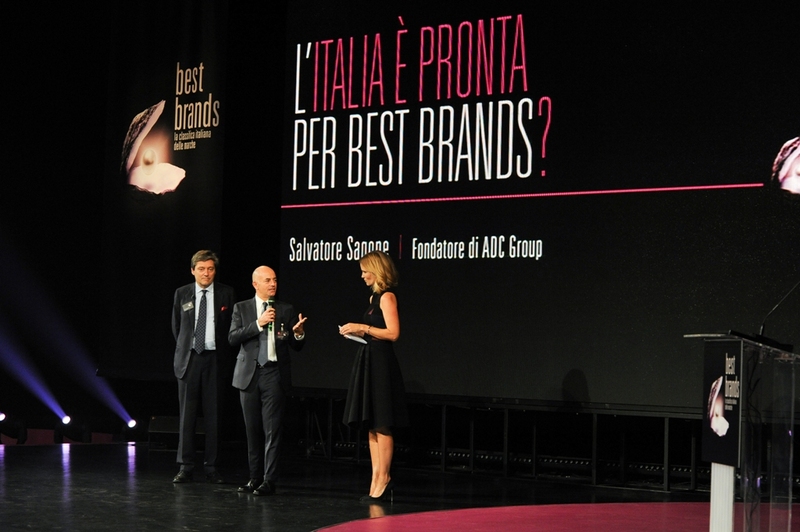 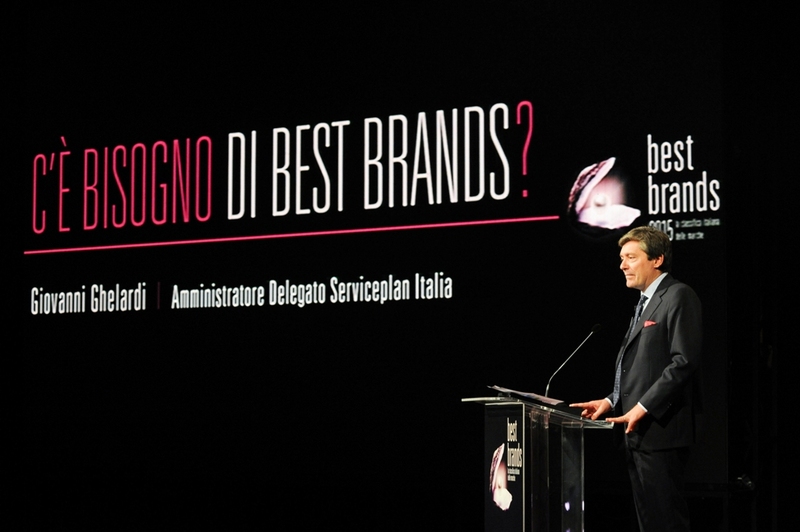 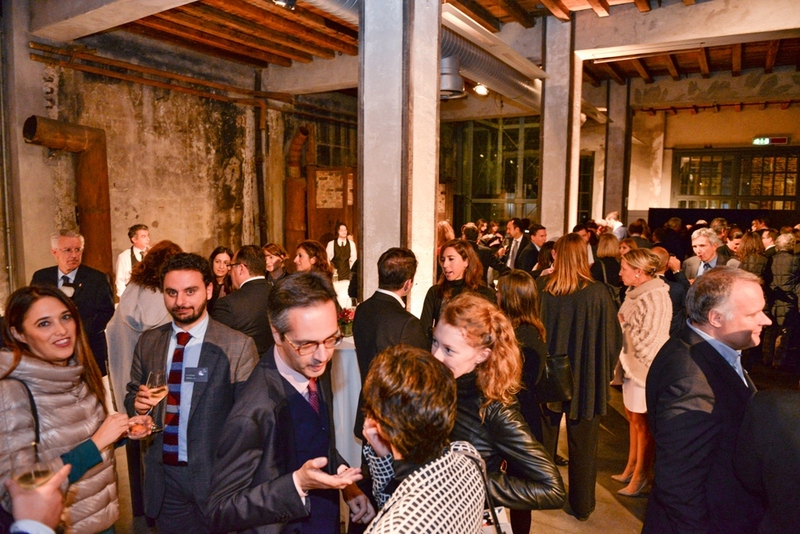 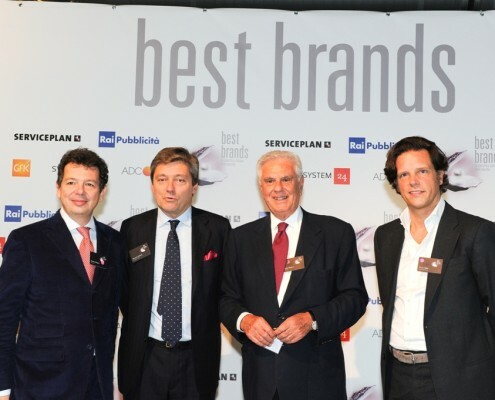 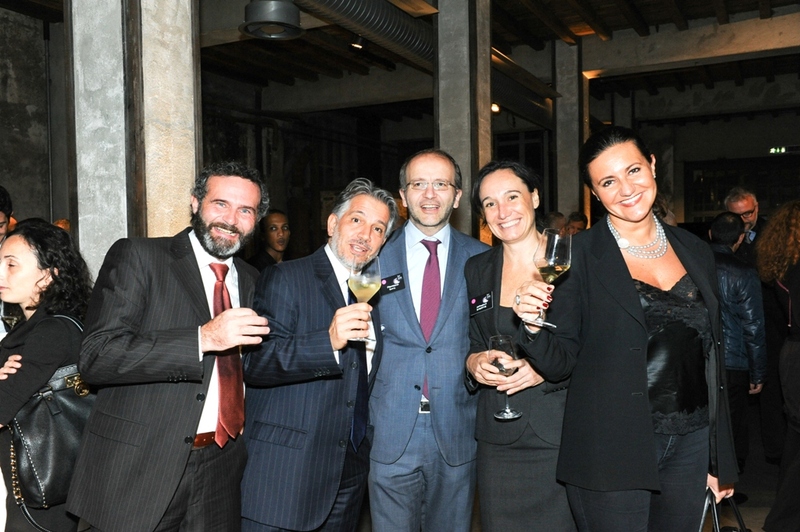 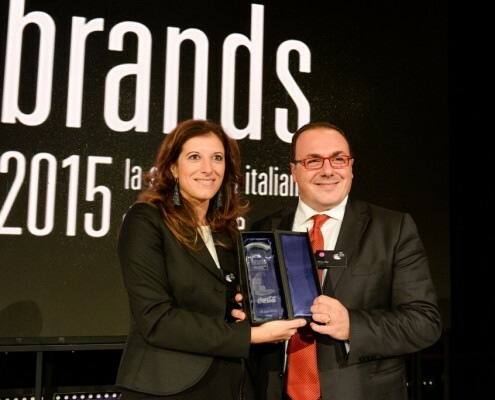 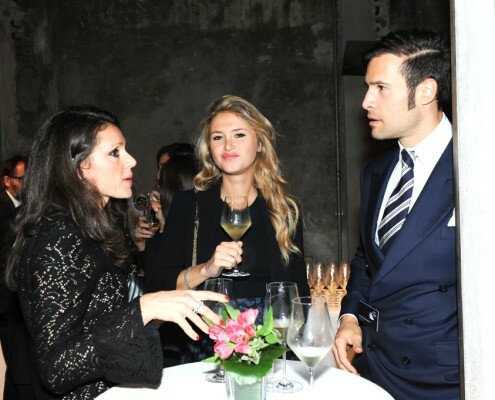 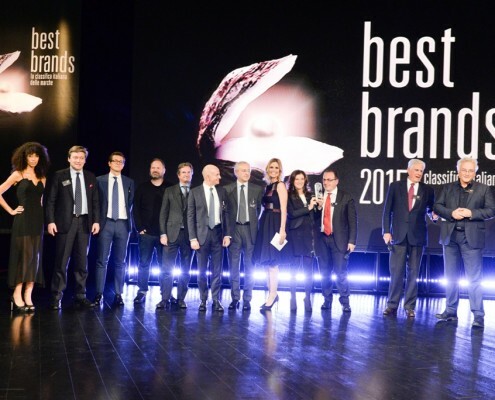 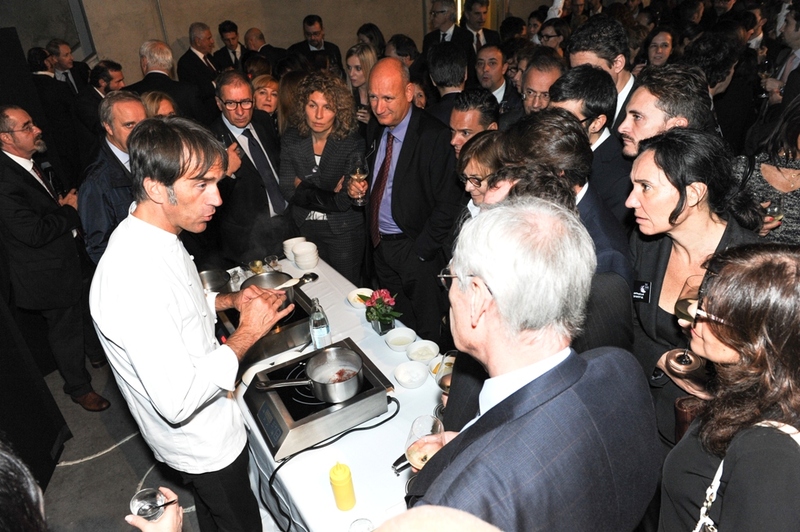 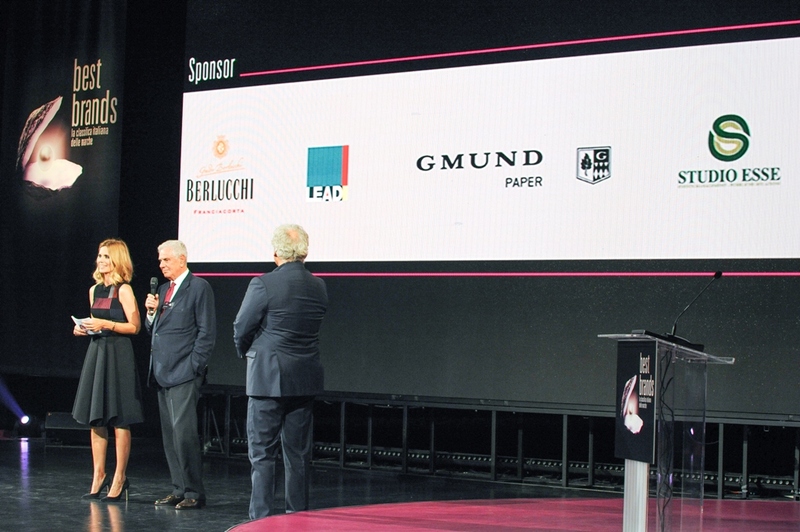 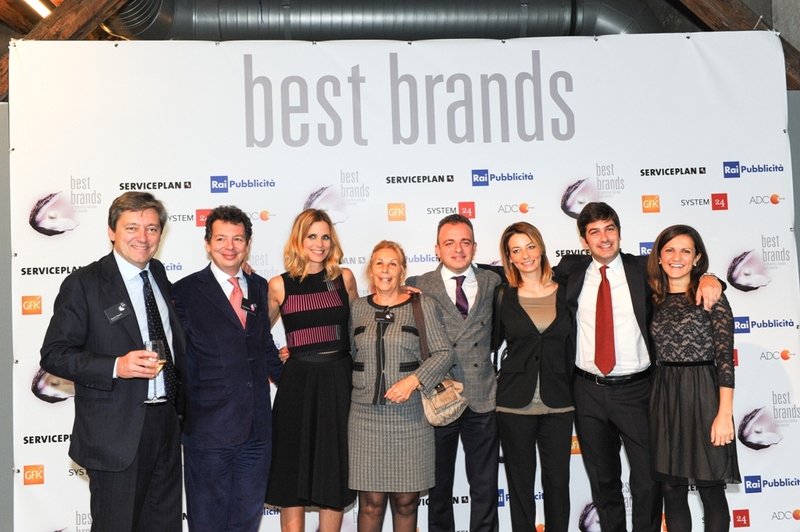 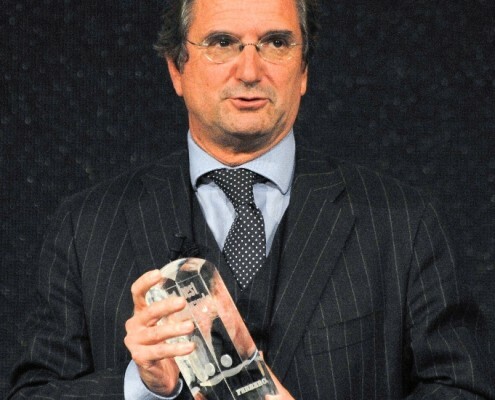 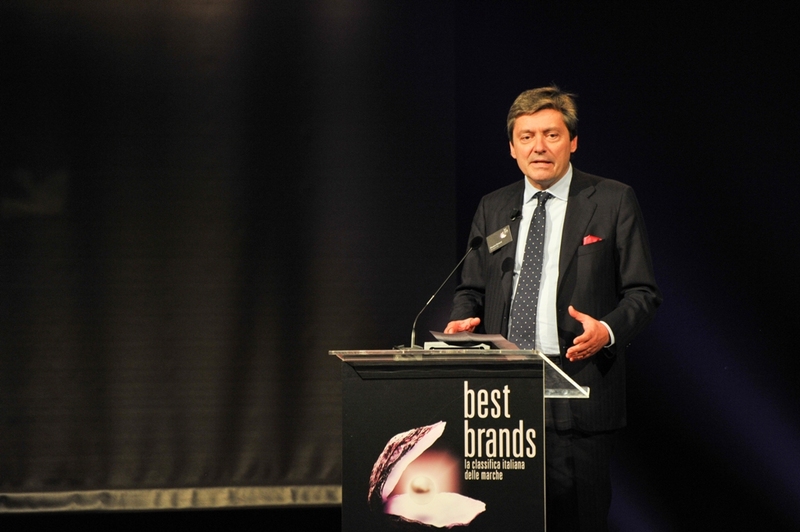 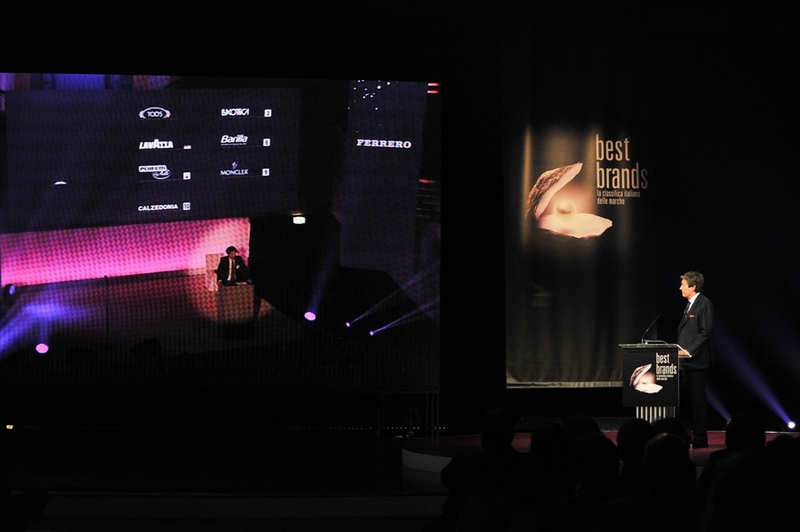 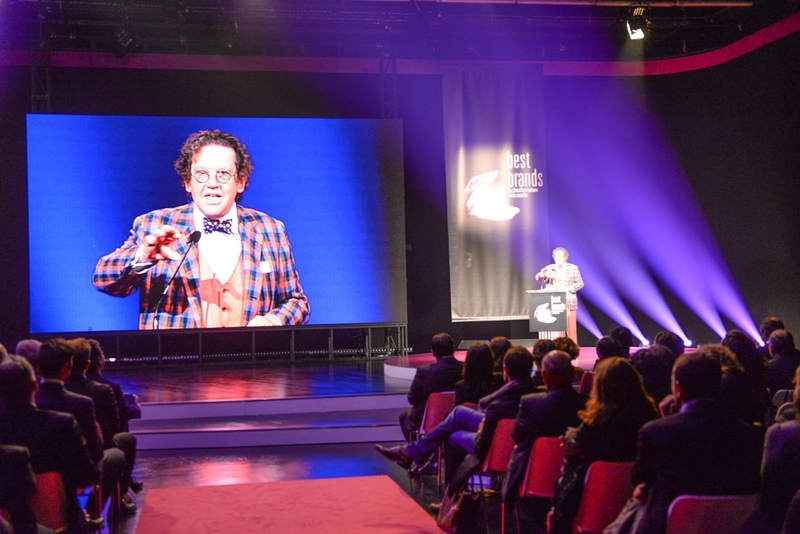 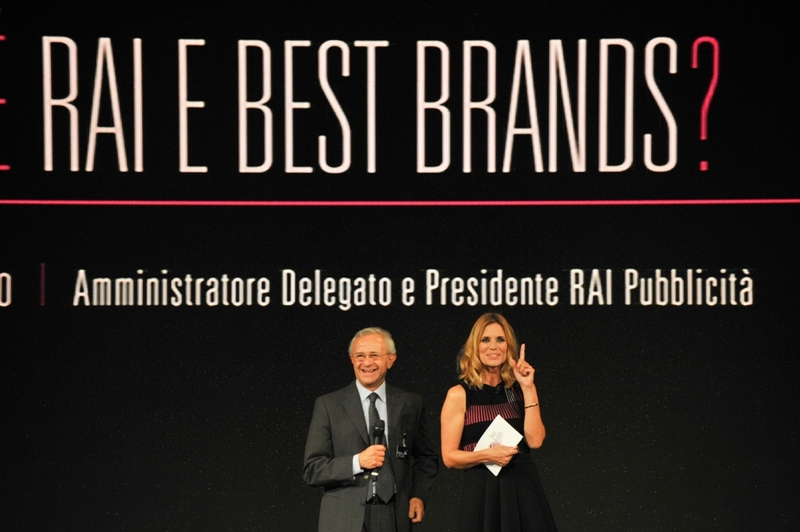 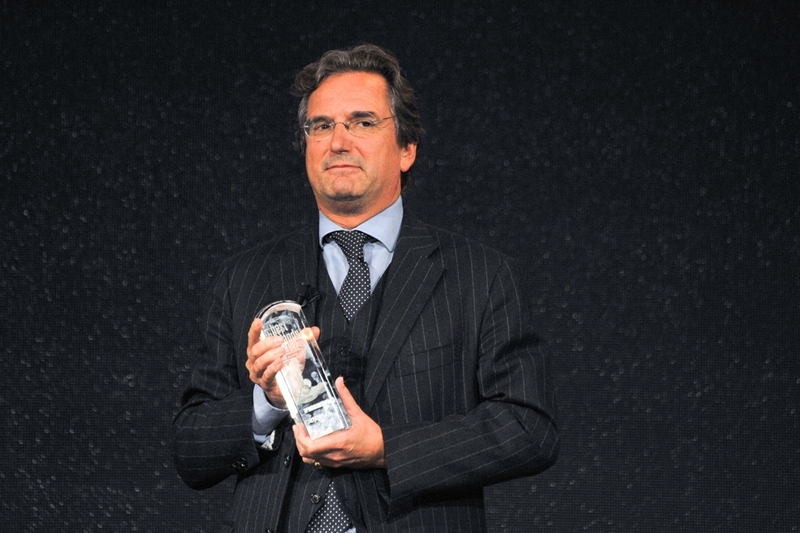 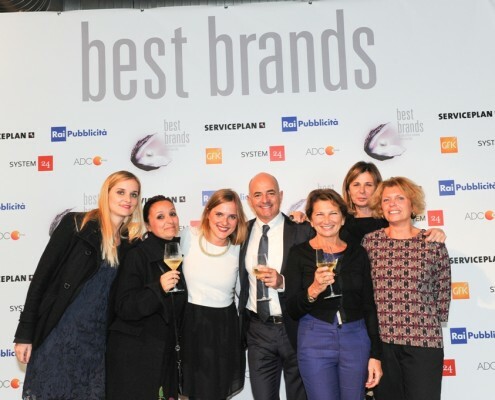 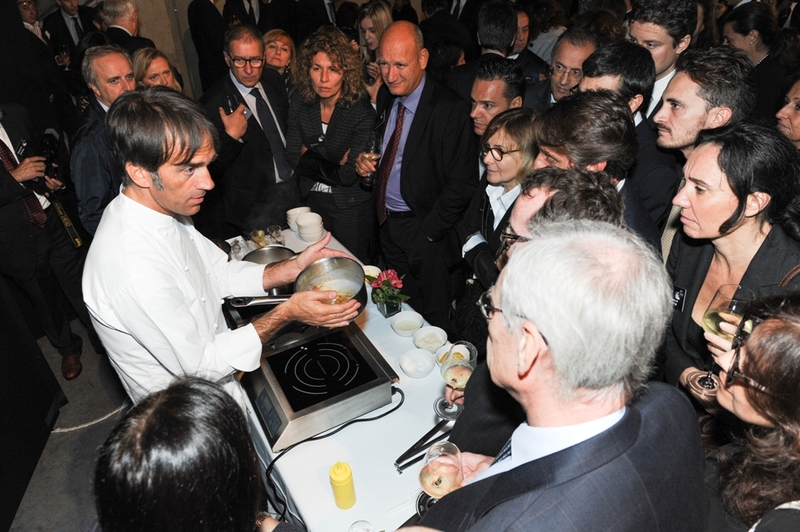 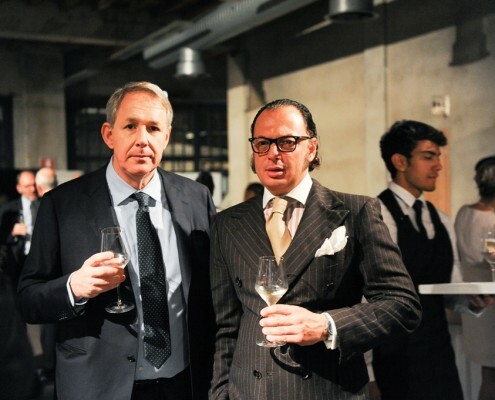 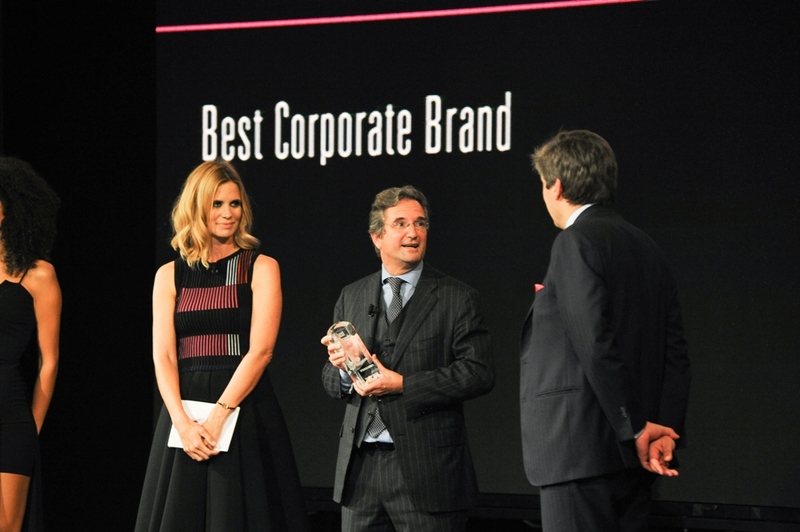 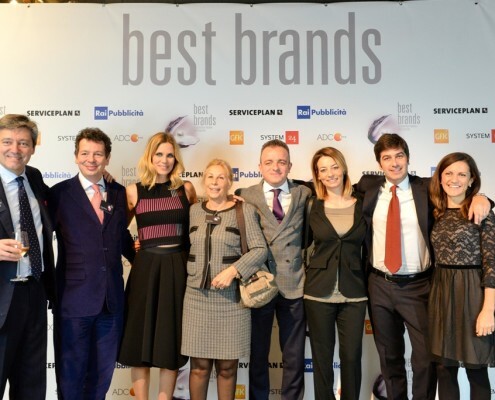 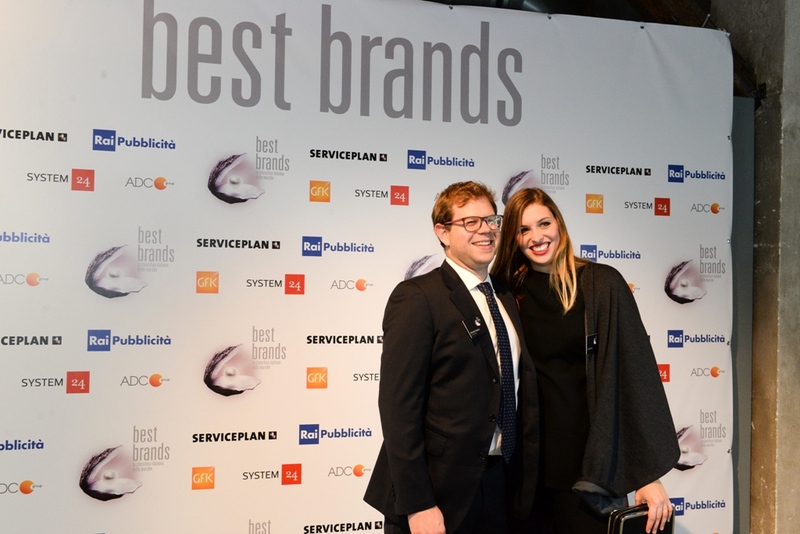 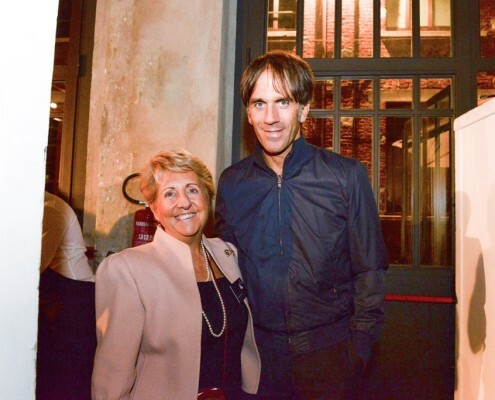 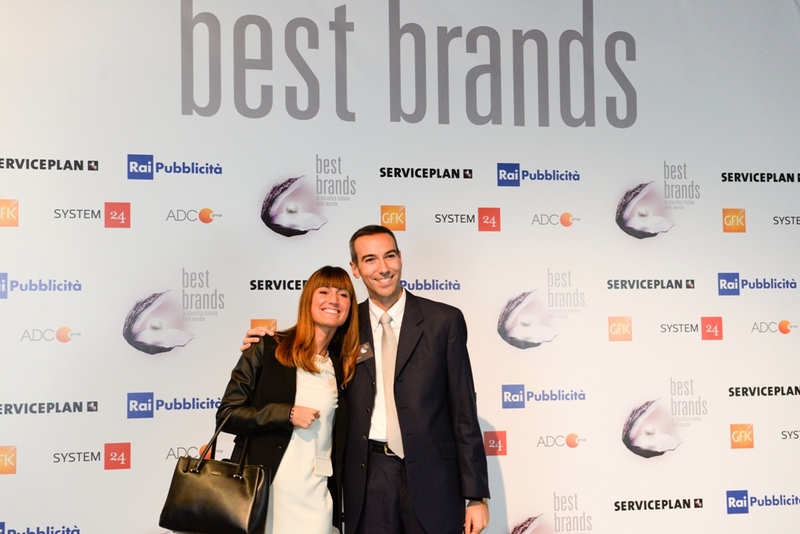 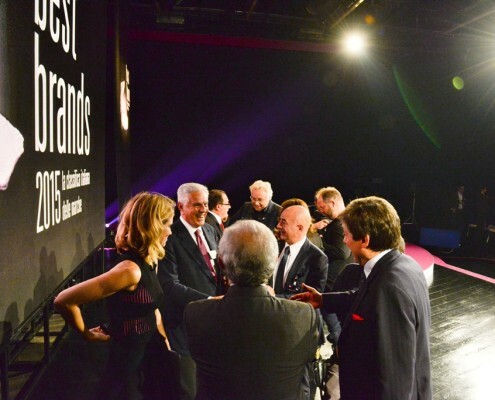 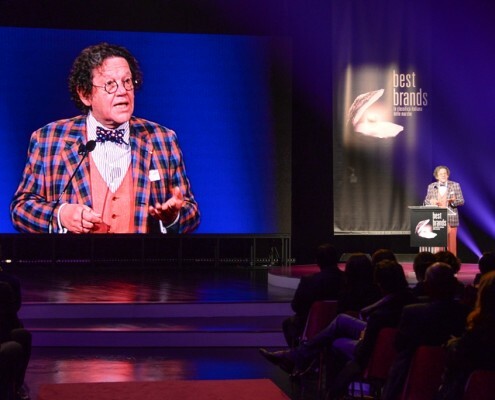 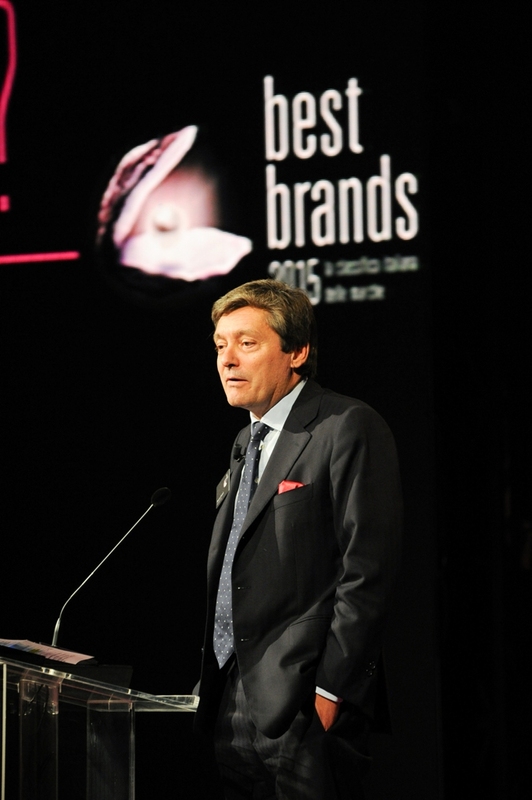 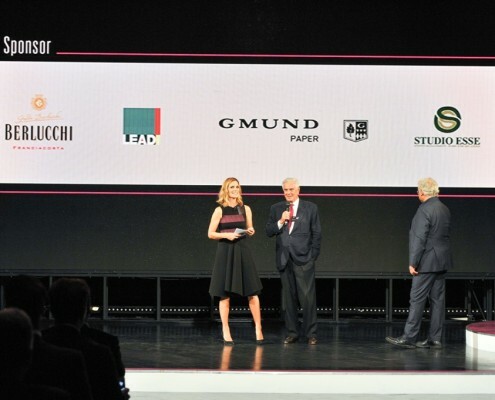 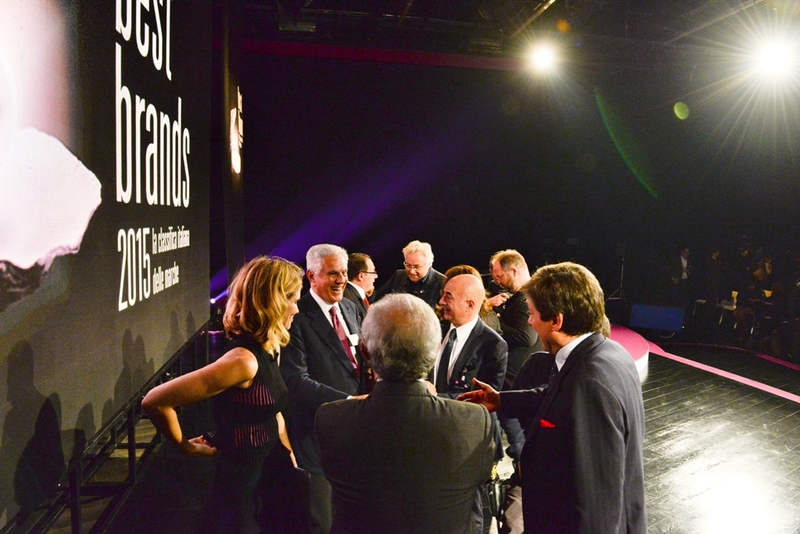 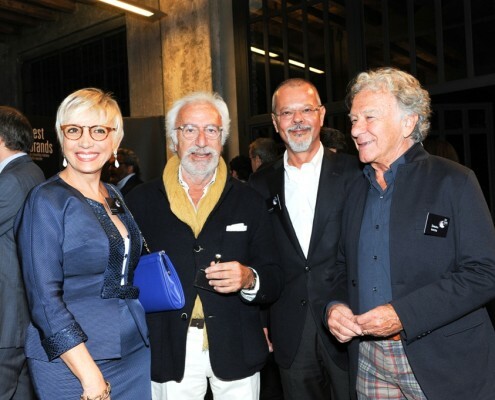 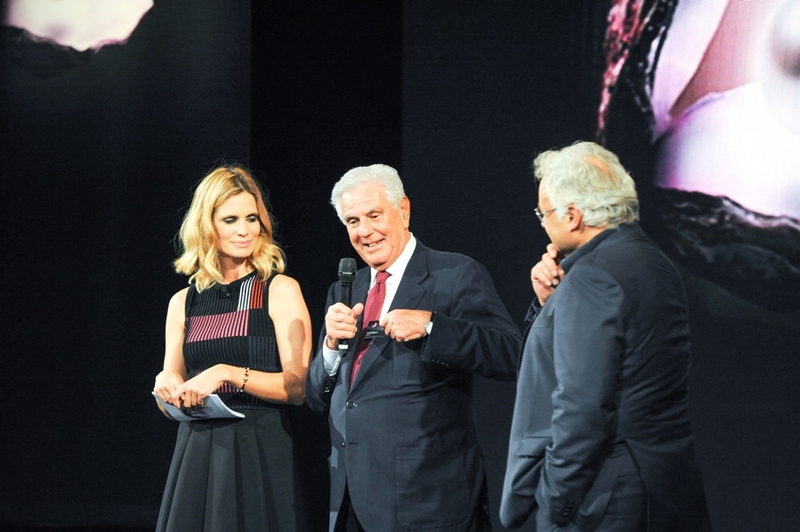 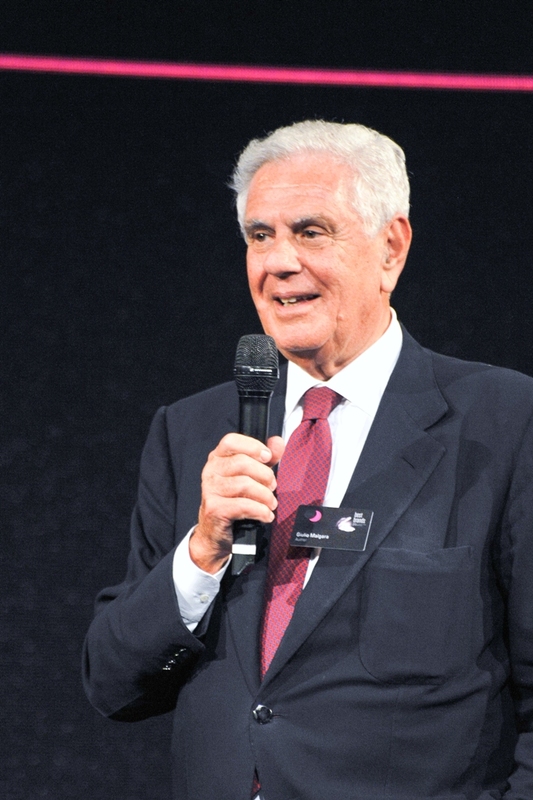 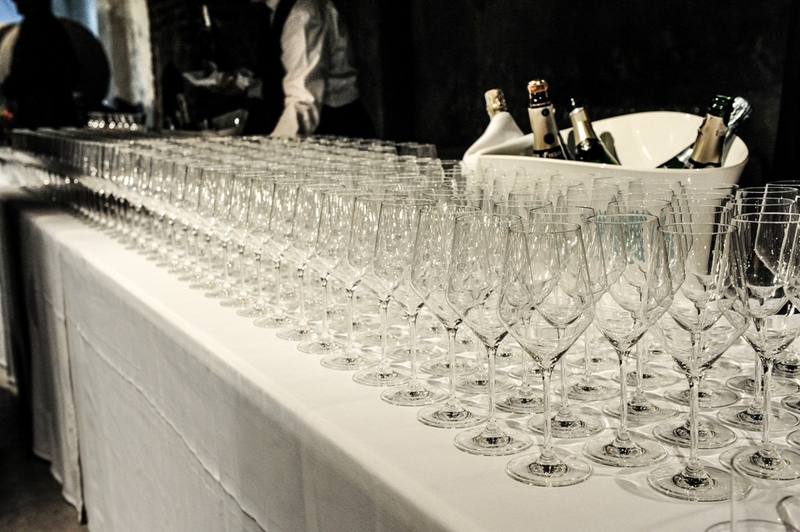 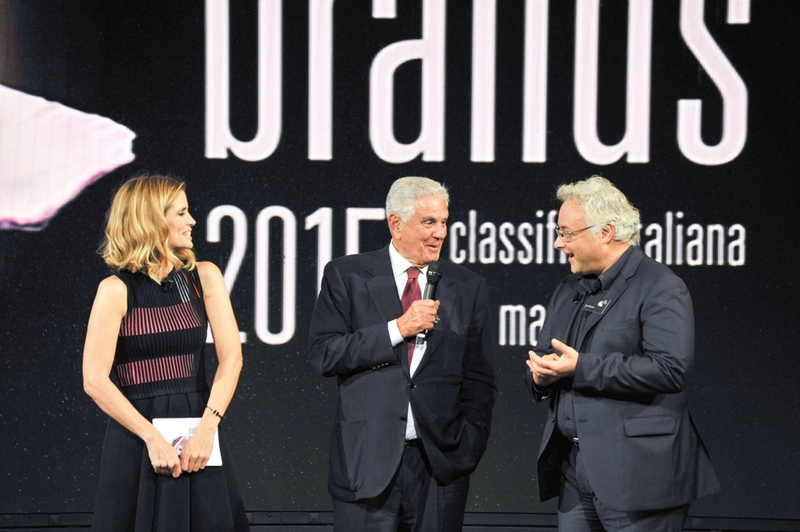 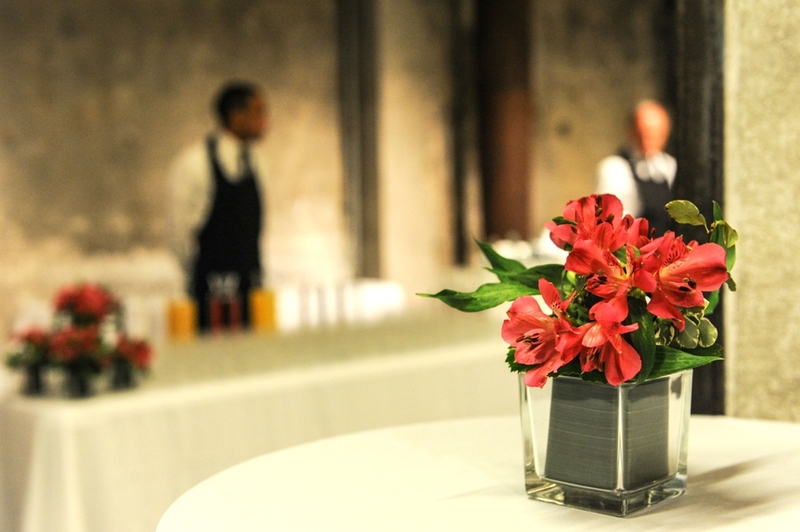 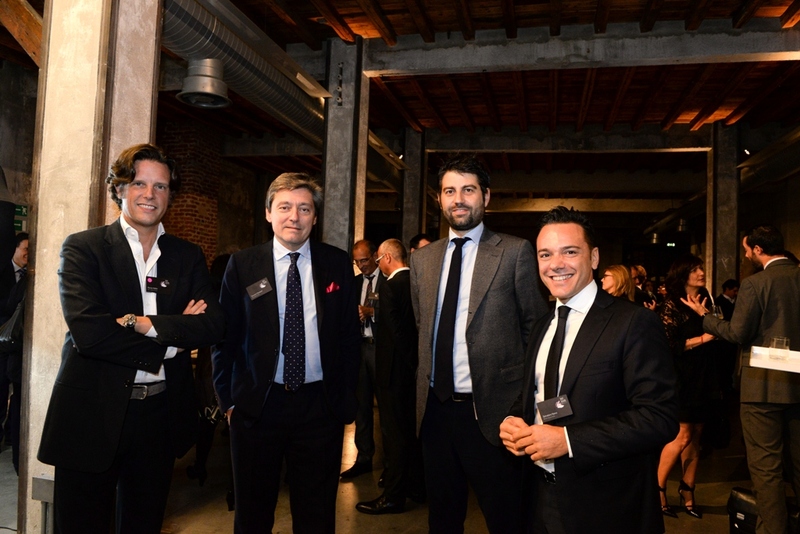 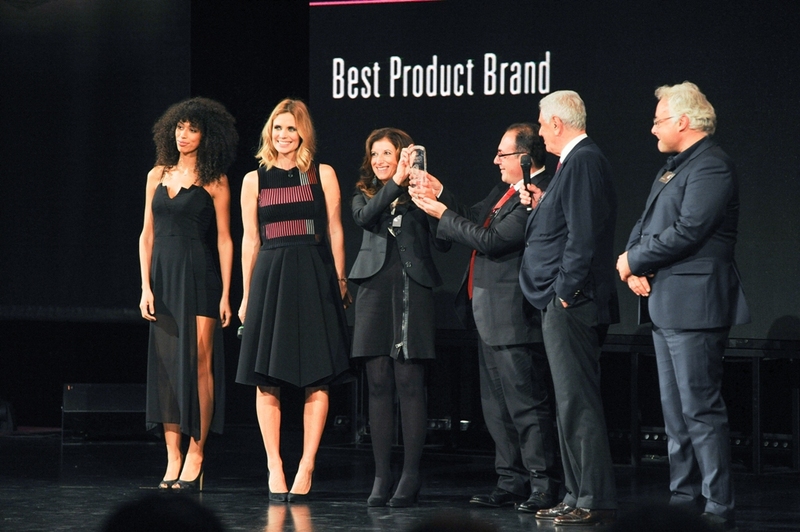 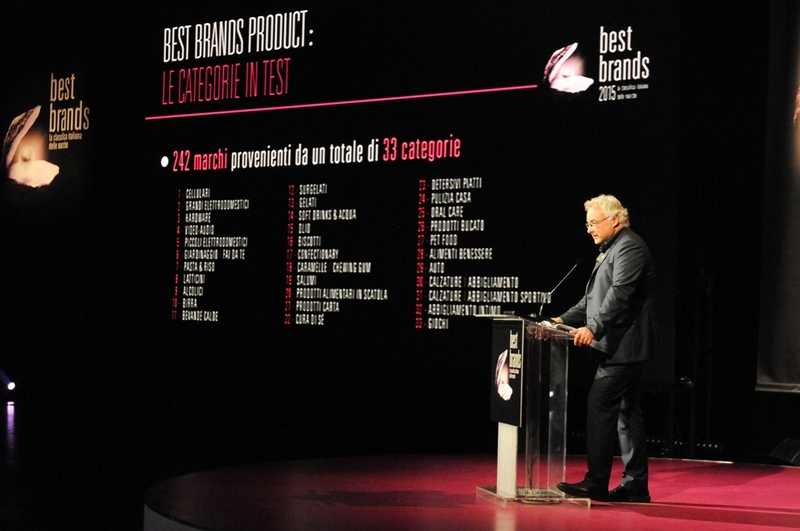 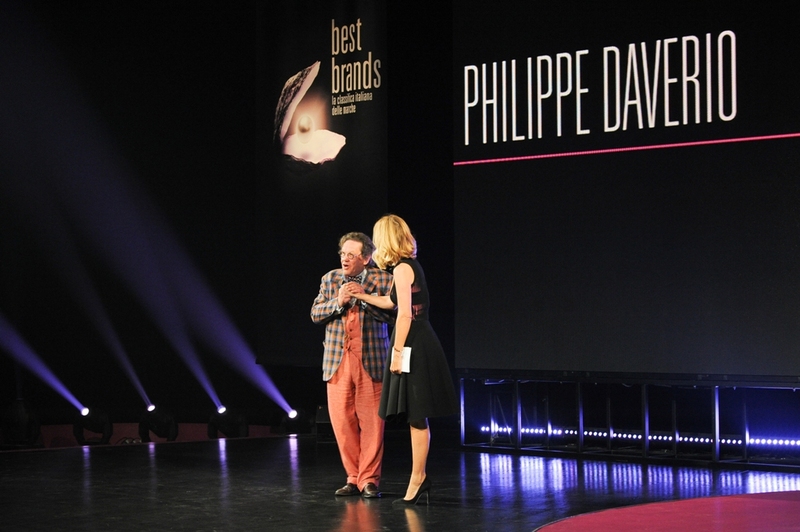 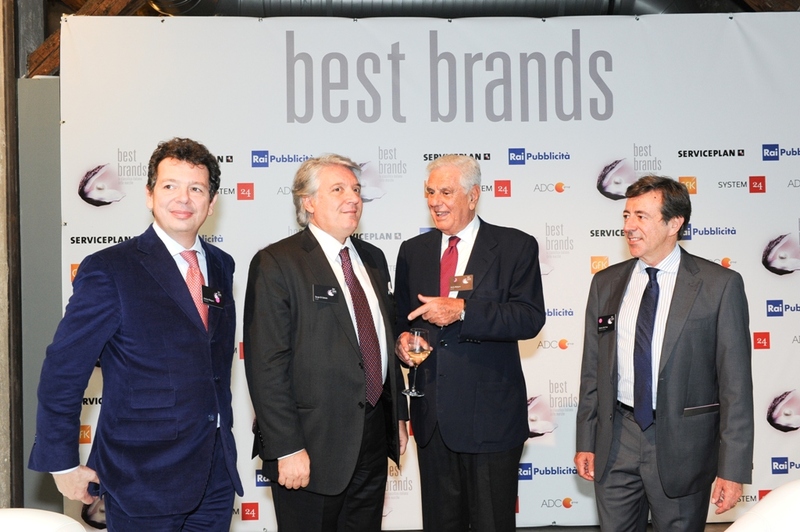 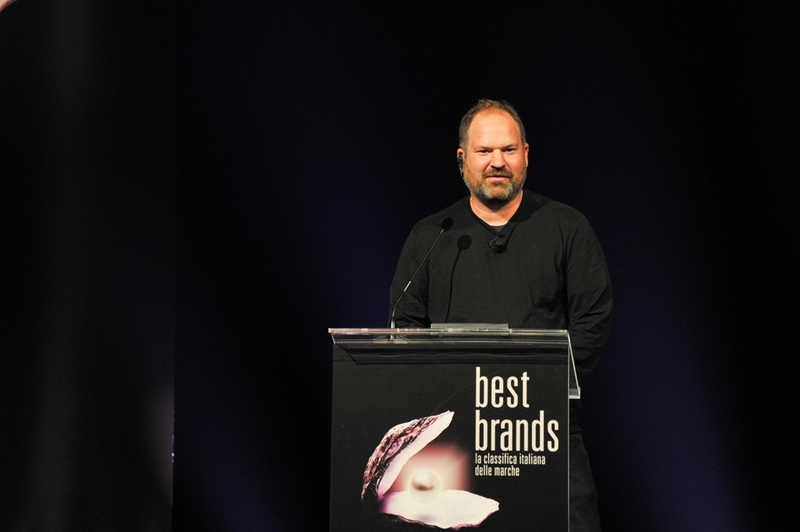 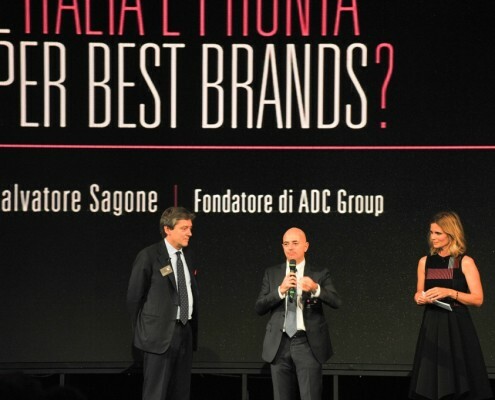 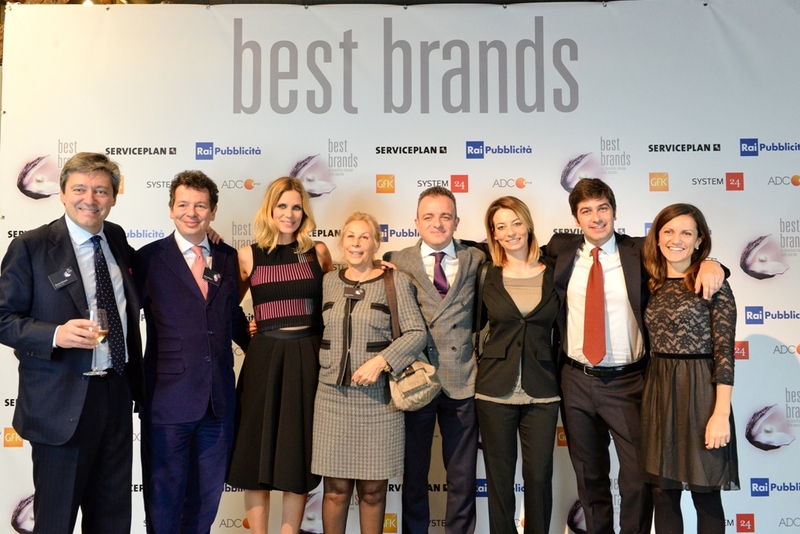 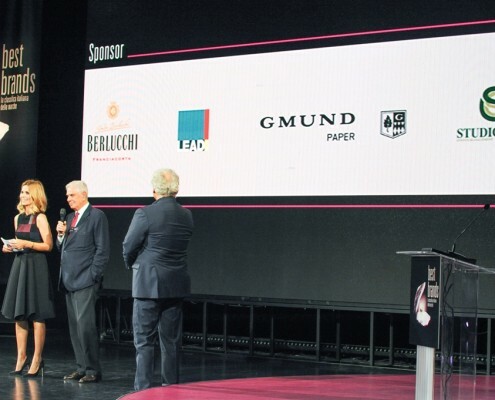 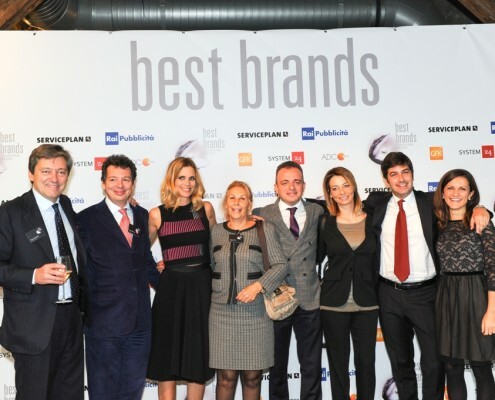 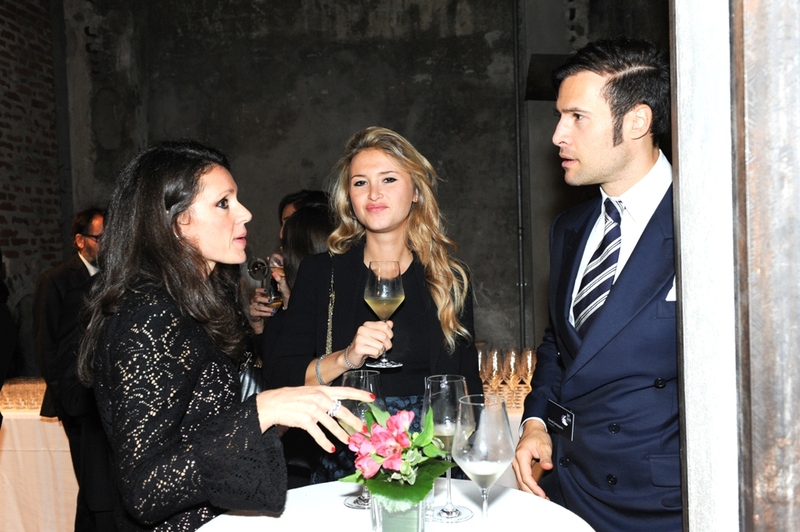 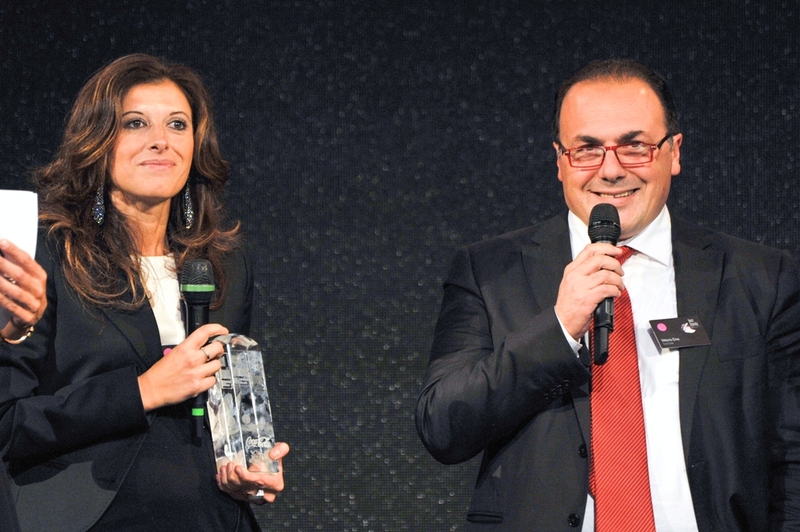 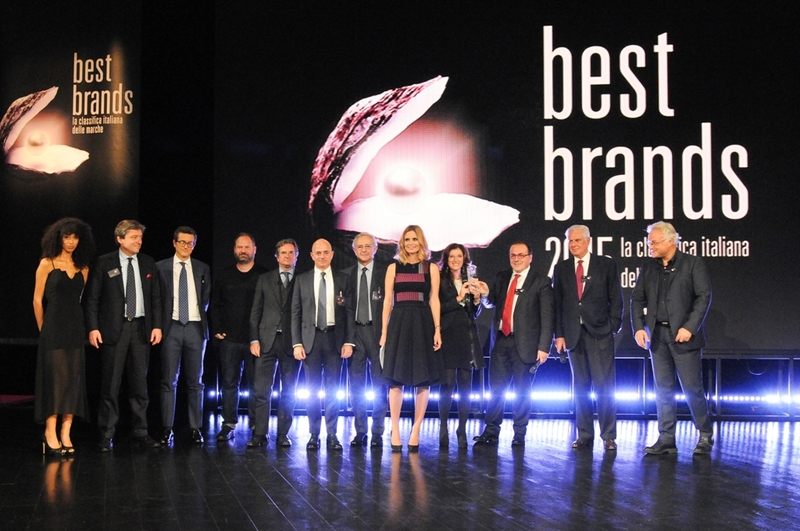 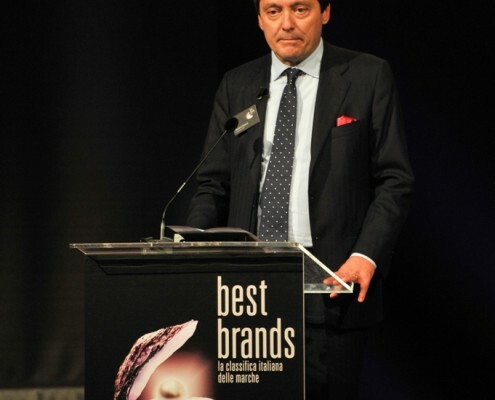 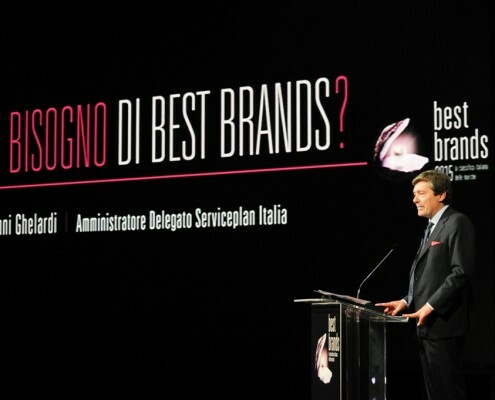 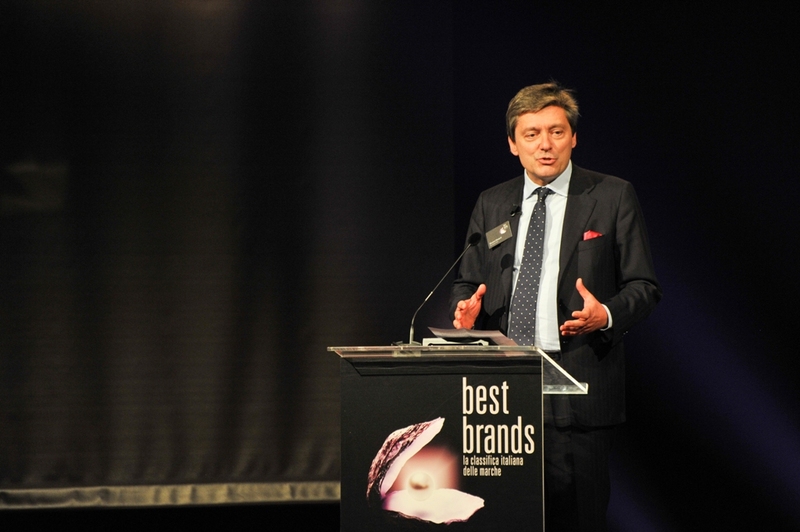 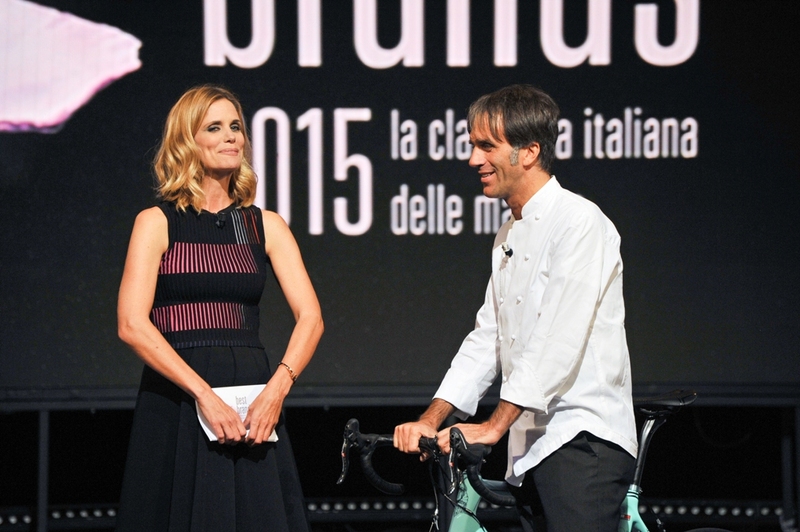 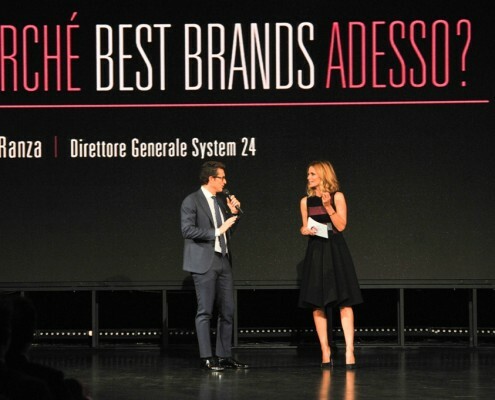 On November 15th there has been the Italian Best Brands gala. 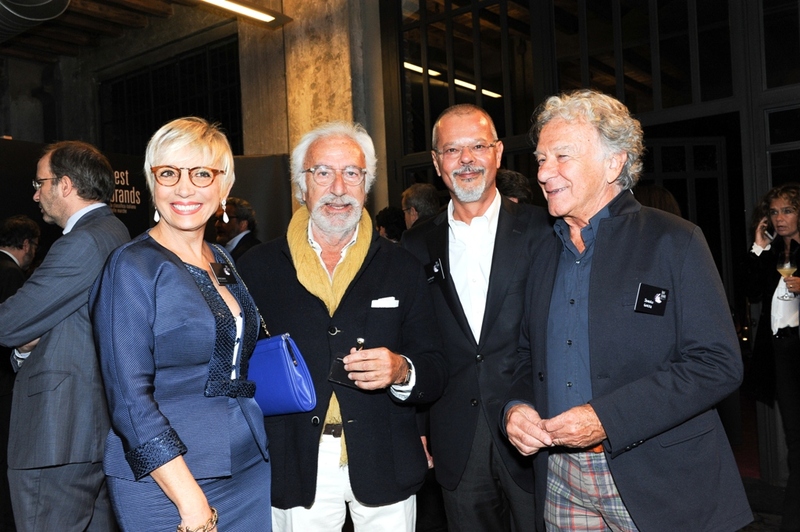 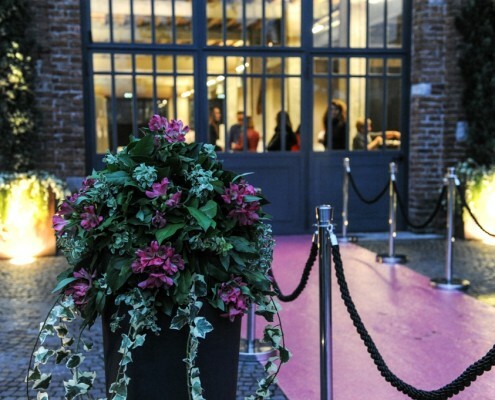 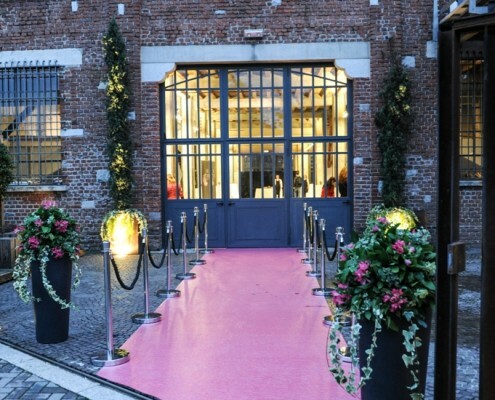 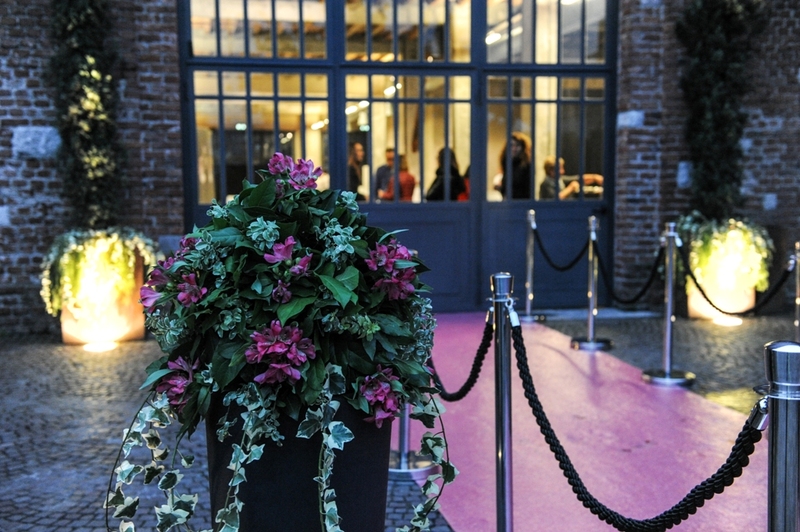 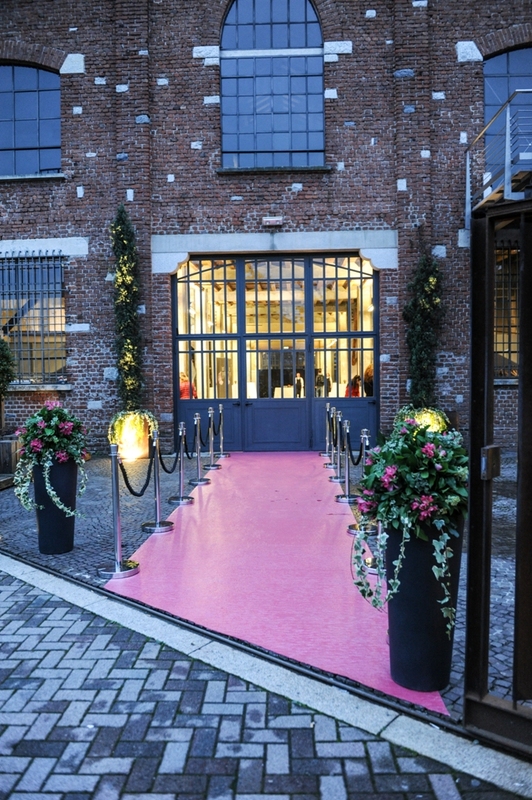 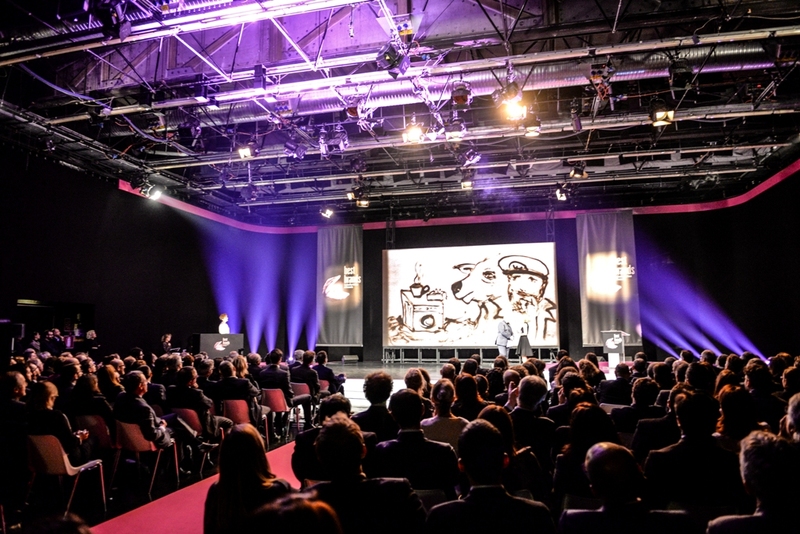 The Gala has been hosted by Filippa Lagerback at the RAI Studios in Milan. 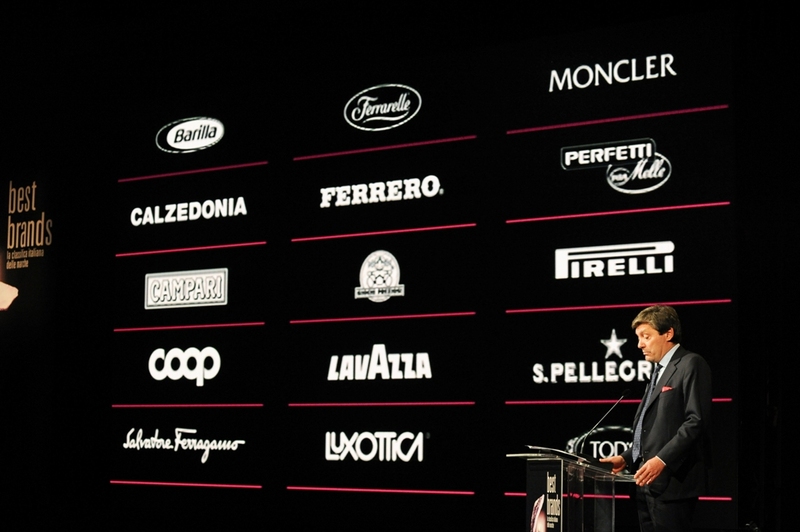 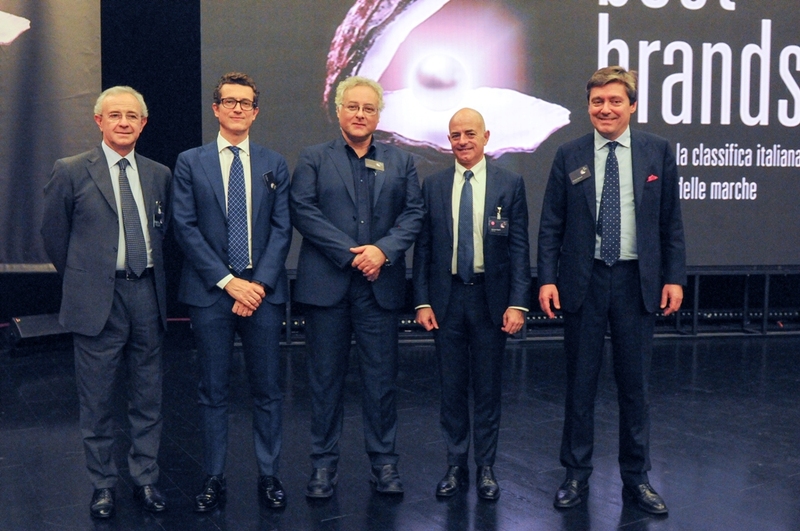 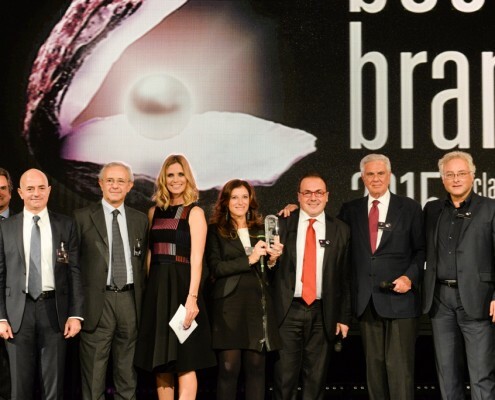 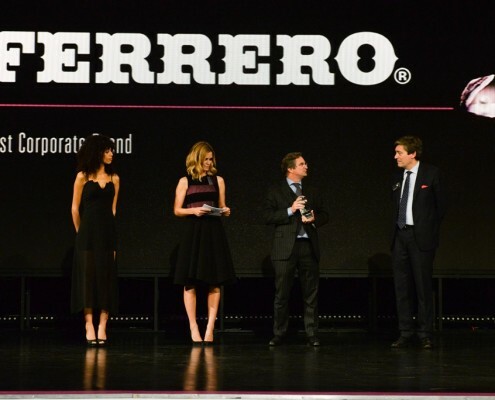 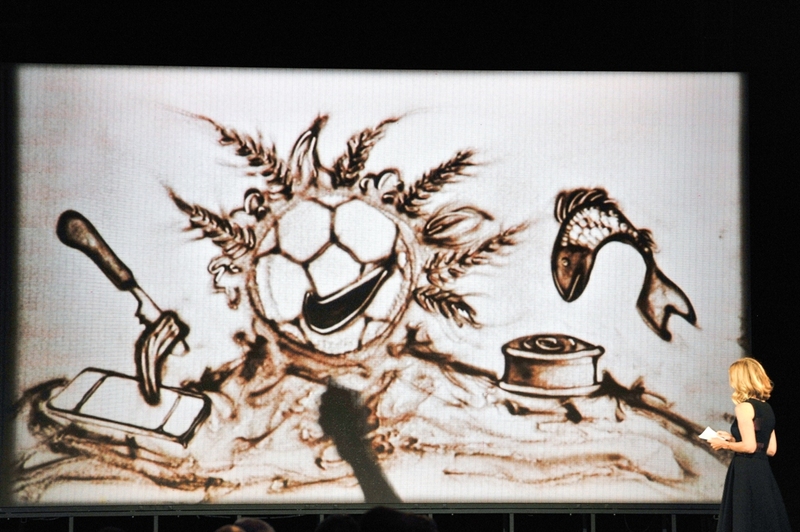 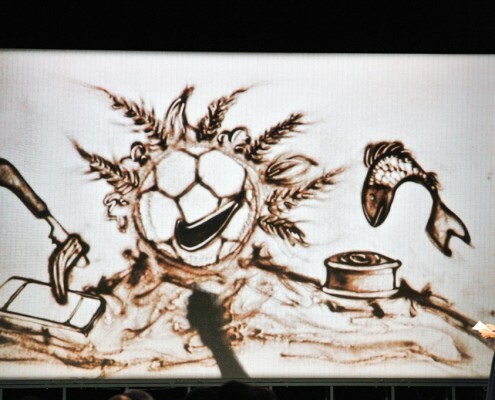 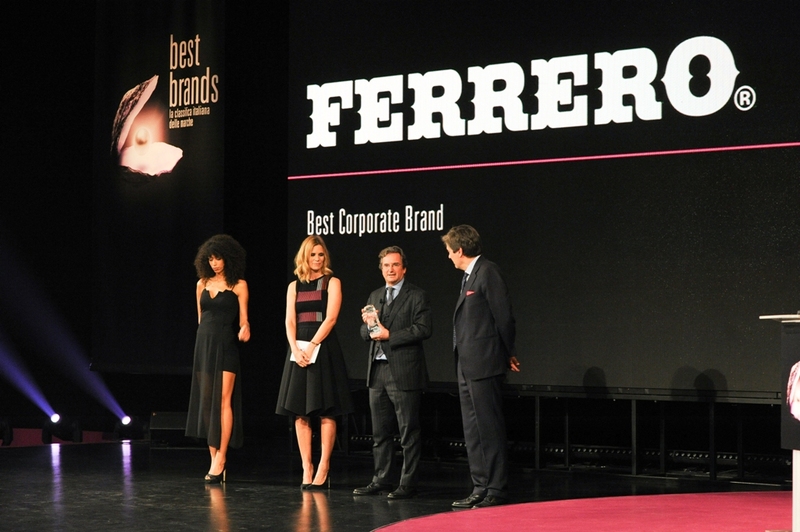 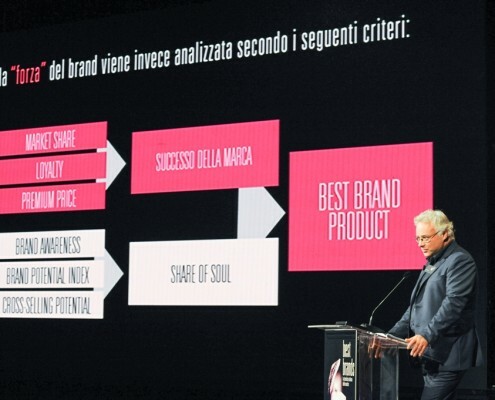 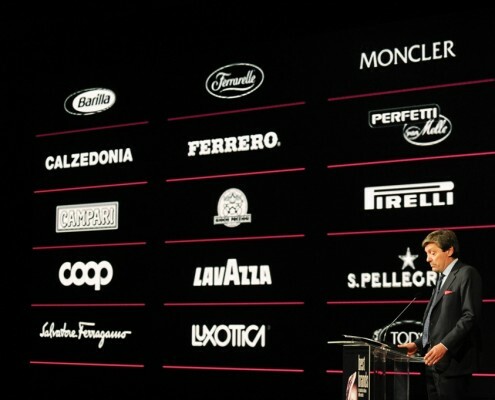 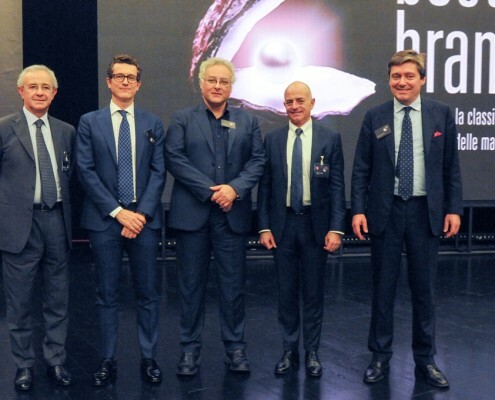 During the evente the four pearls have been revealed: Best Corporate Brand: Ferrero, Best Product Brand: Samsung, Best Growth Brand: Huawei and Best Millennials Brand: Mulino Bianco. 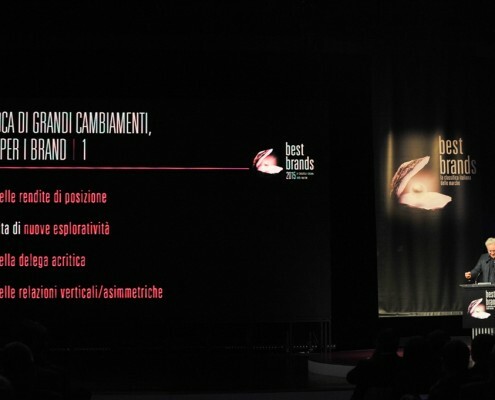 The partners of Best Brands assigned also this year the Innovation Award, a special recognition to elect the brand that better represents the idea of innovation: the choice is gone to Shazam, the famous app of music recognition born long before the advent of smartphones and that still continues to amaze and reinvent itself. 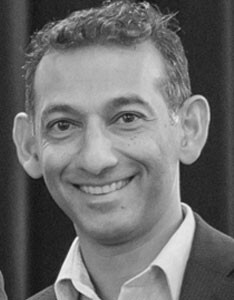 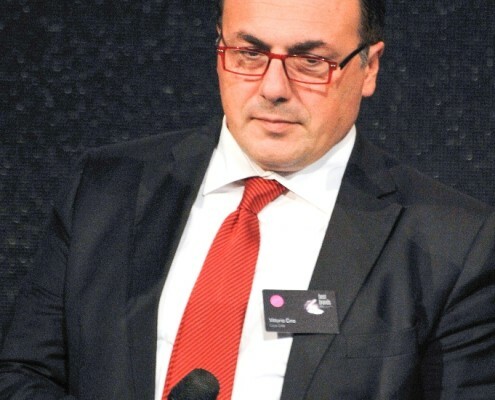 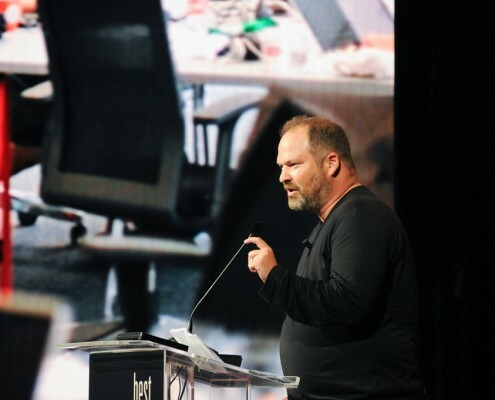 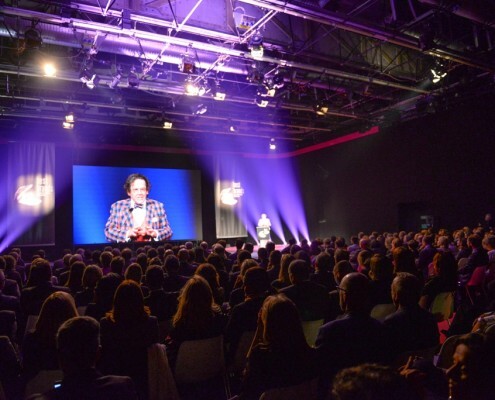 For the occasion, Dhiraj Mukherjee – co-founder of Shazam – held his first public speech in Italy on the topic of innovation. 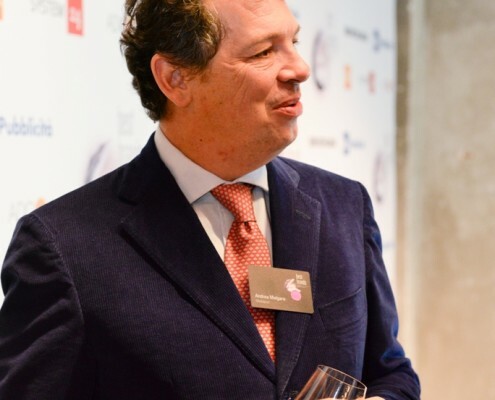 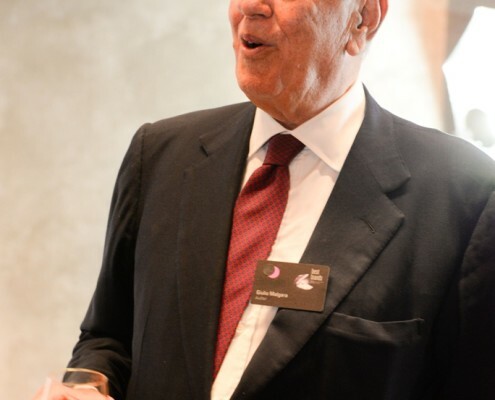 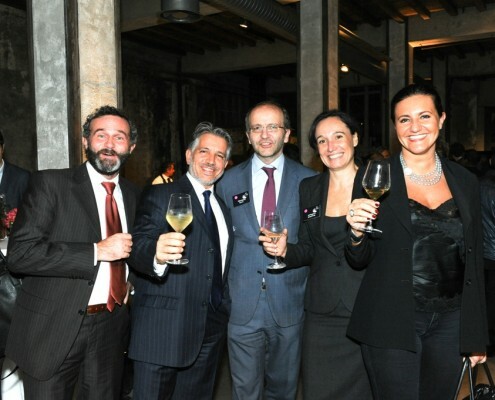 The evening ended with the refreshments “Red, Green & Bollicine” where the culinary art of Pietro Leemann, chef of Joia, the first European vegetarian restaurant to receive a Michelin star, met Rossorapa‘s exclusive art in cultivating the best organic vegetables. 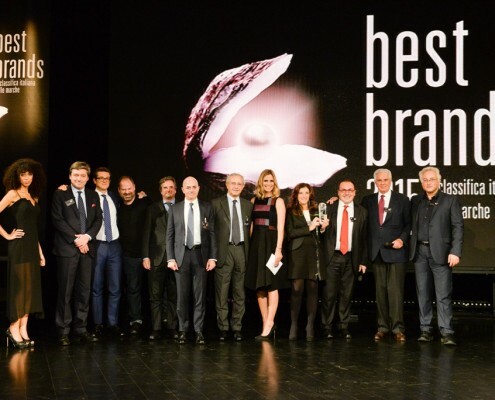 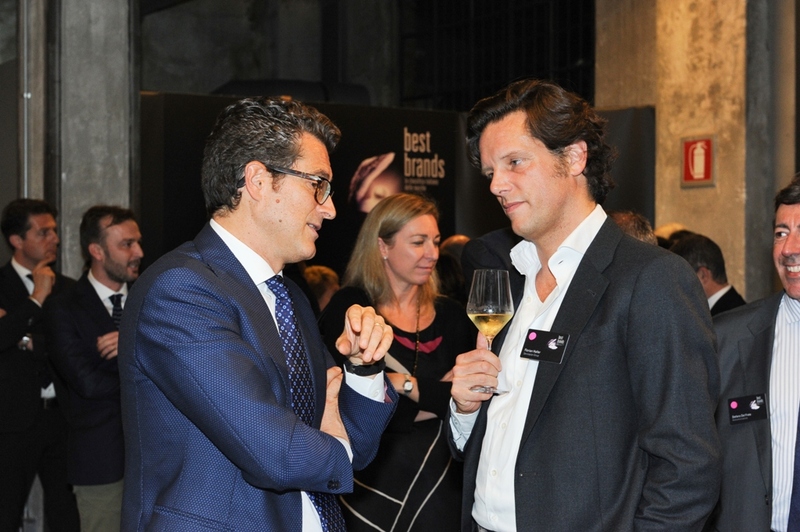 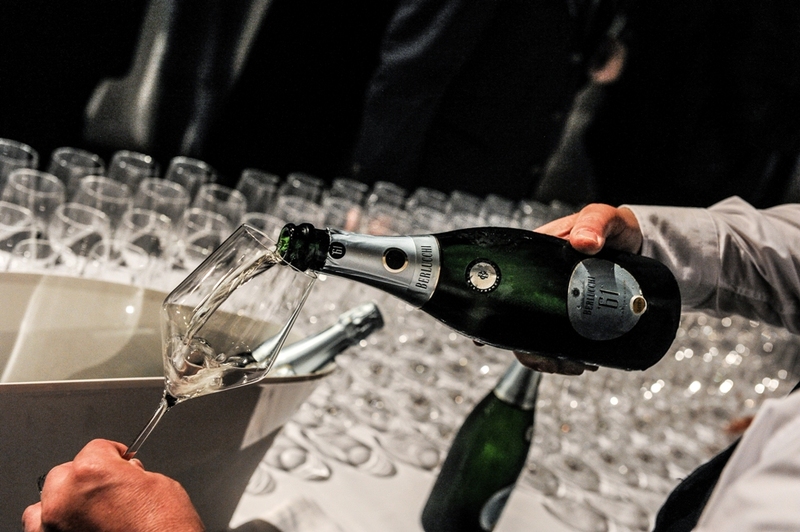 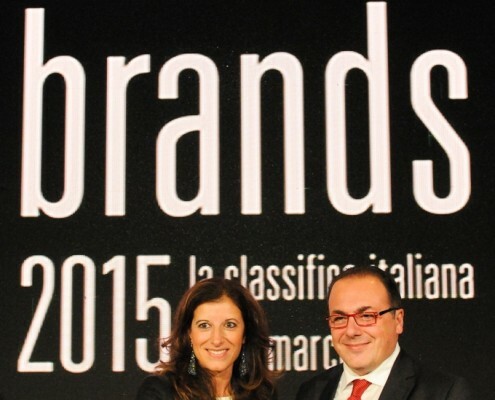 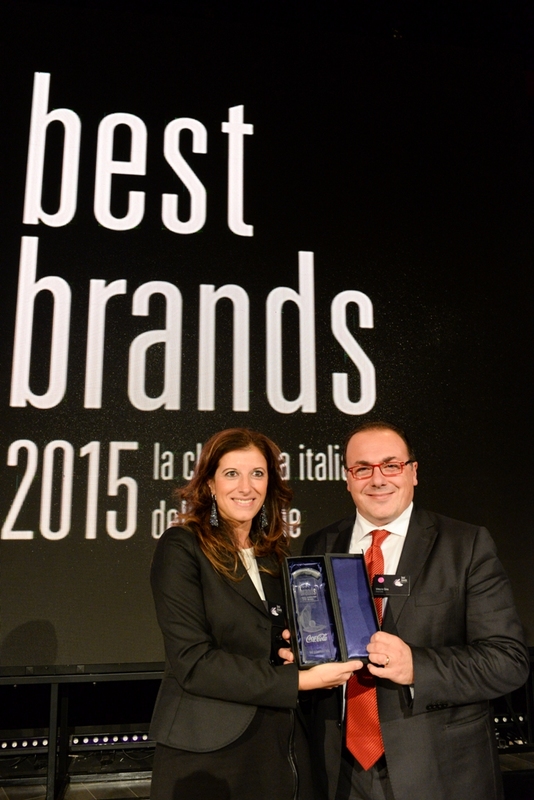 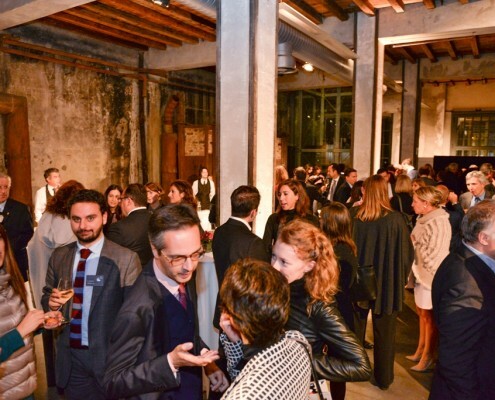 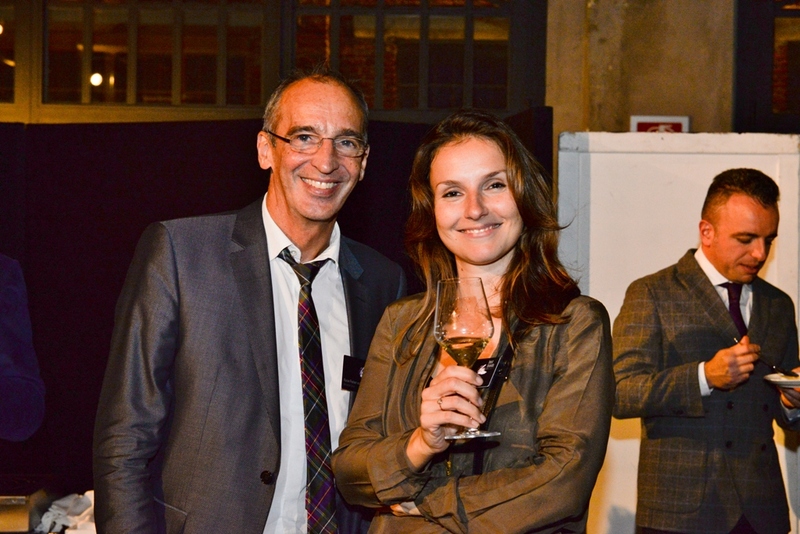 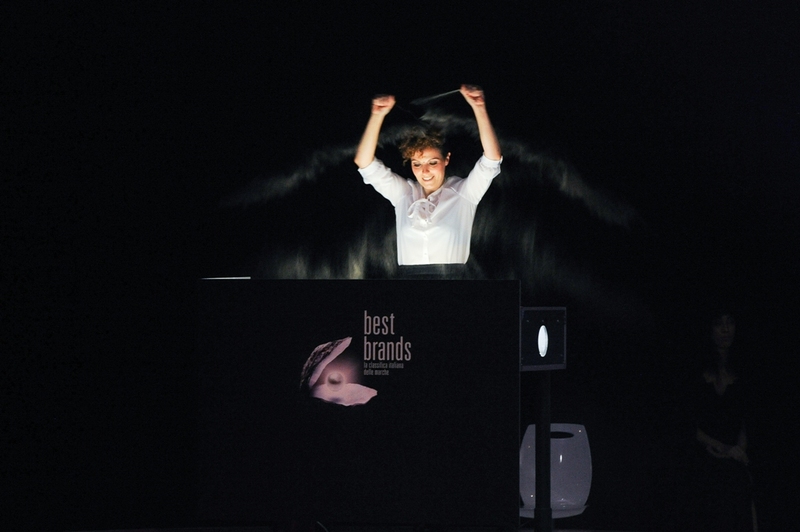 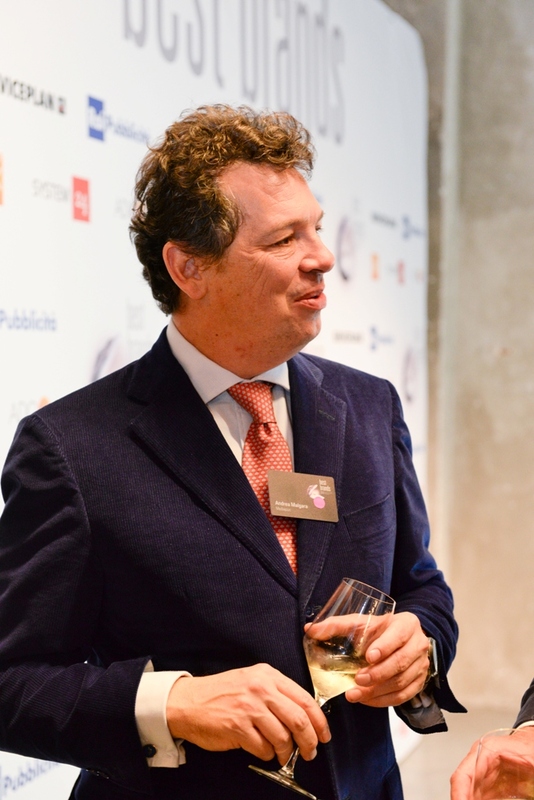 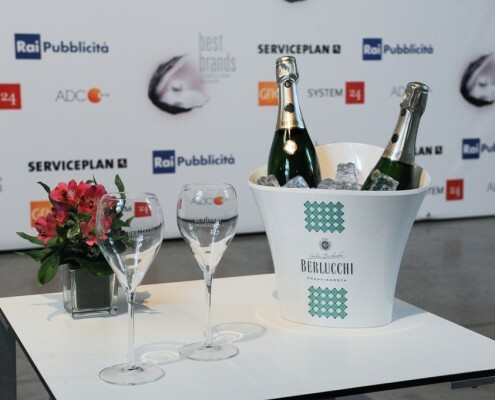 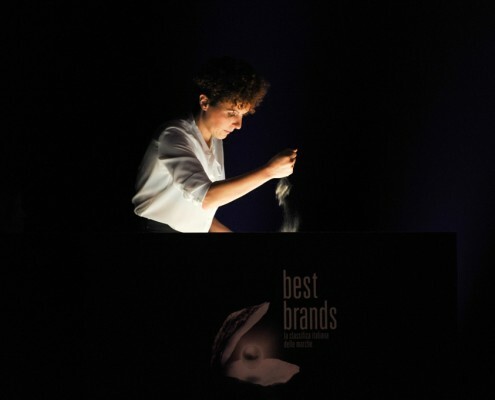 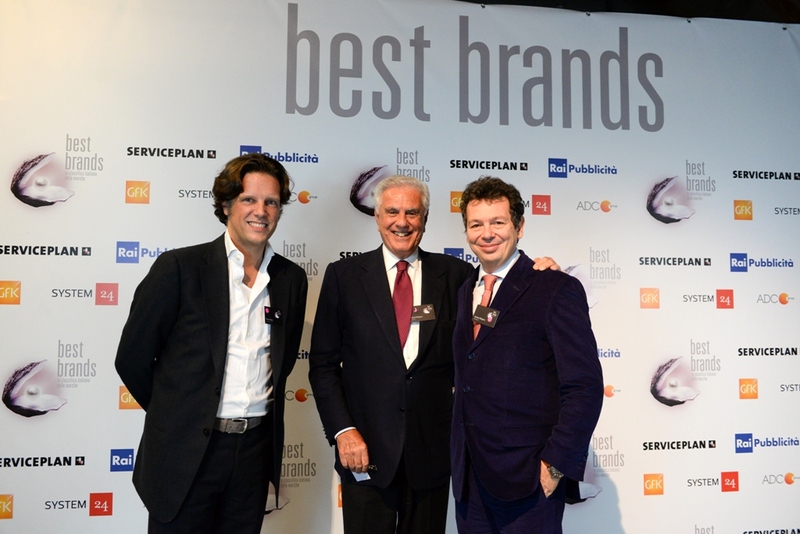 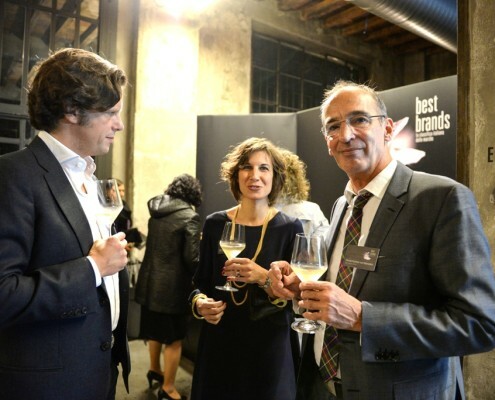 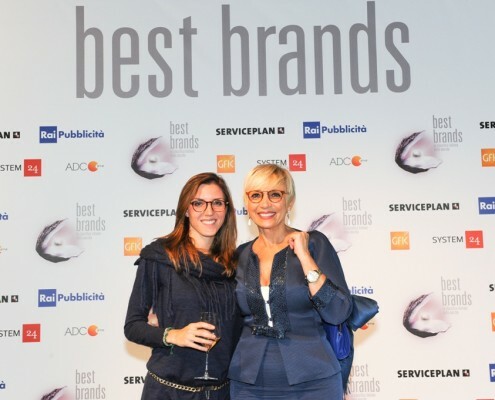 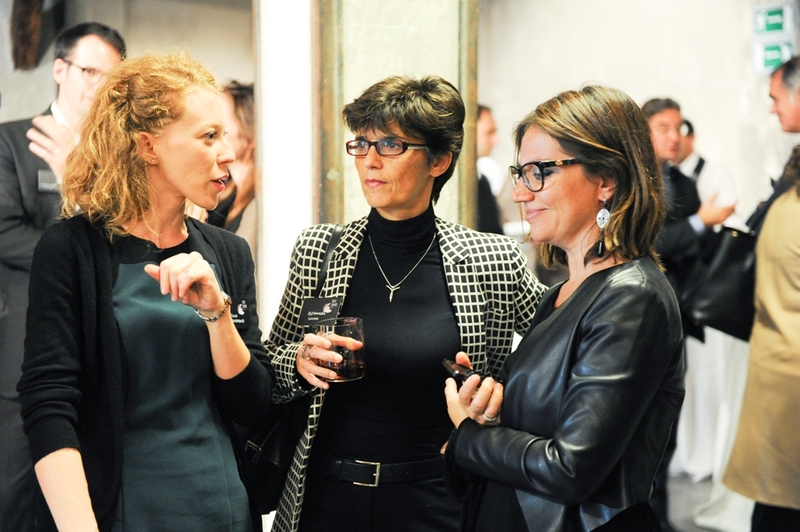 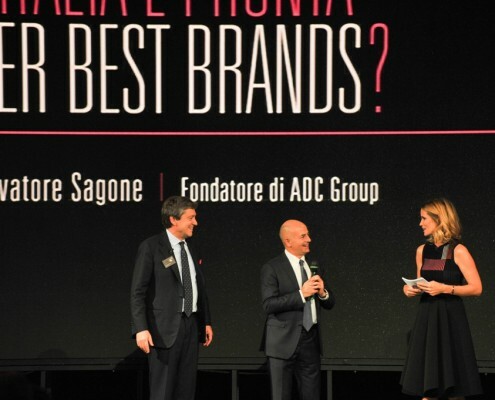 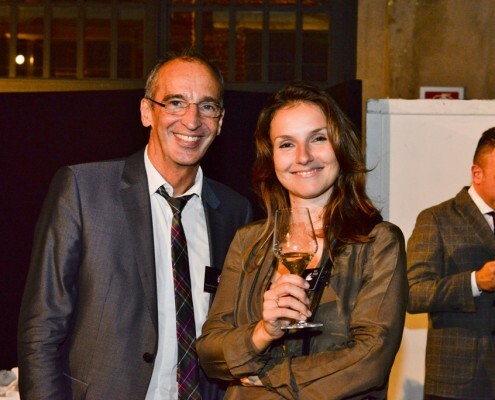 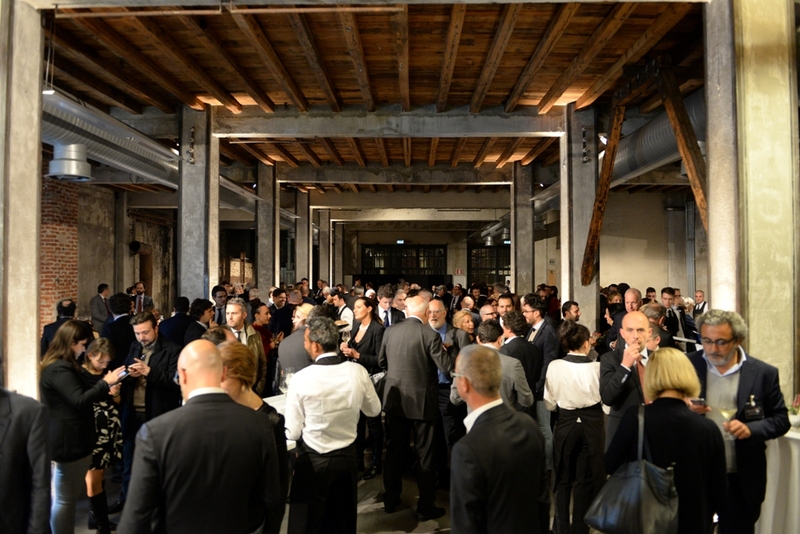 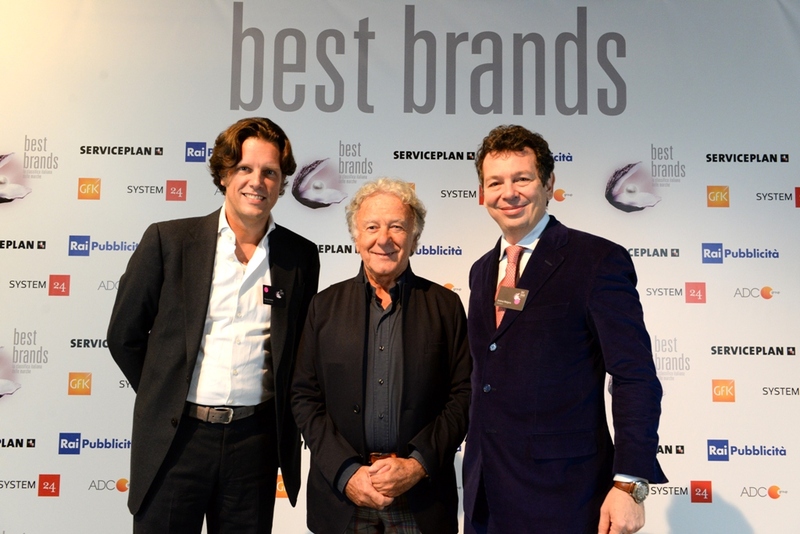 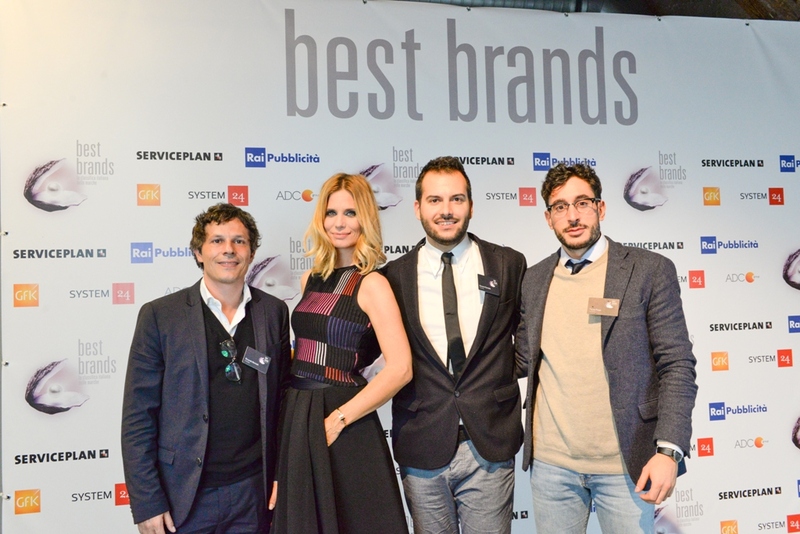 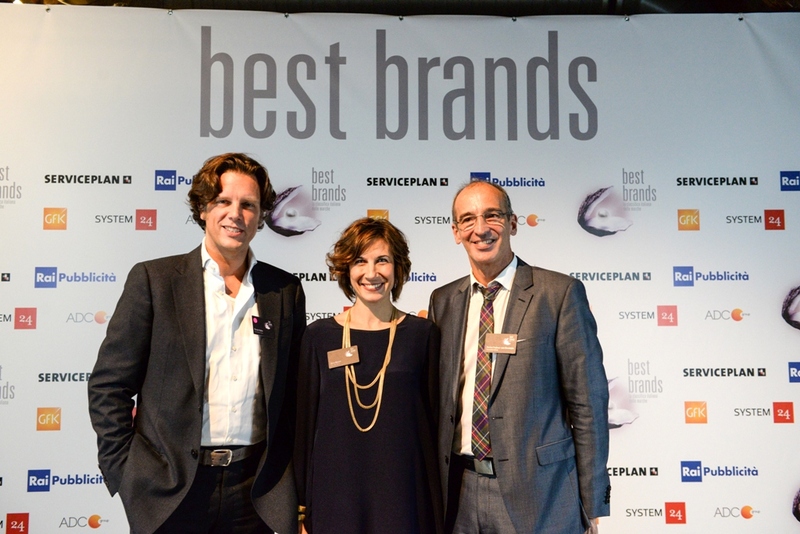 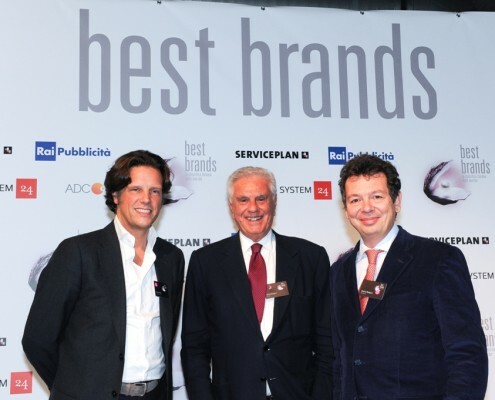 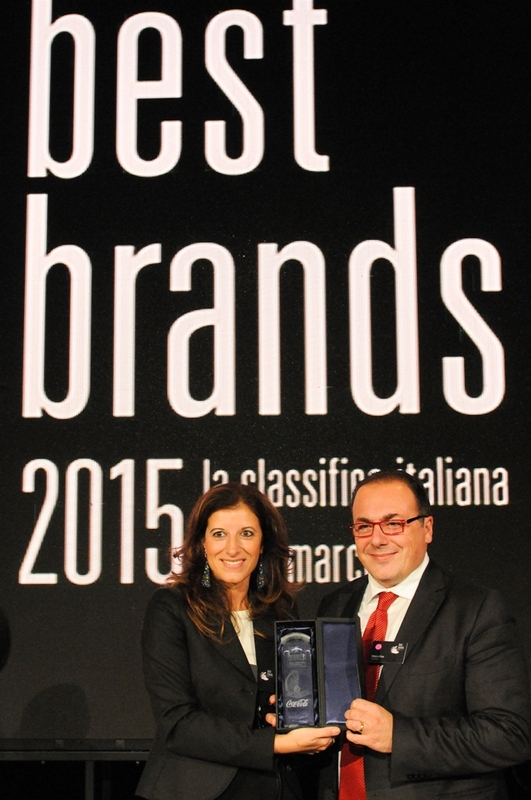 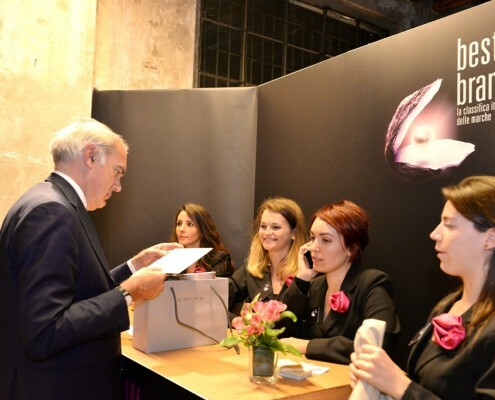 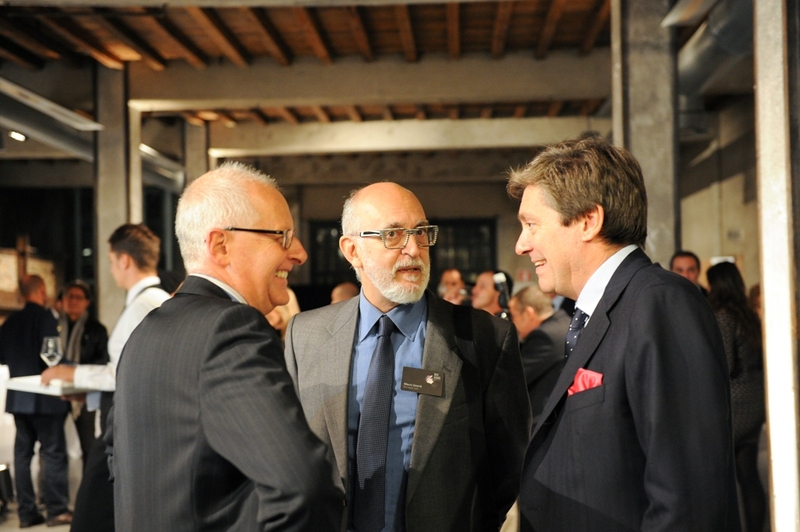 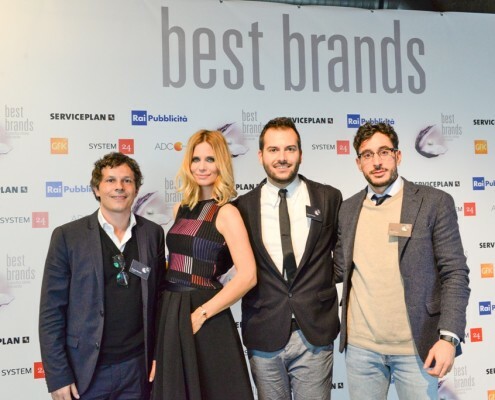 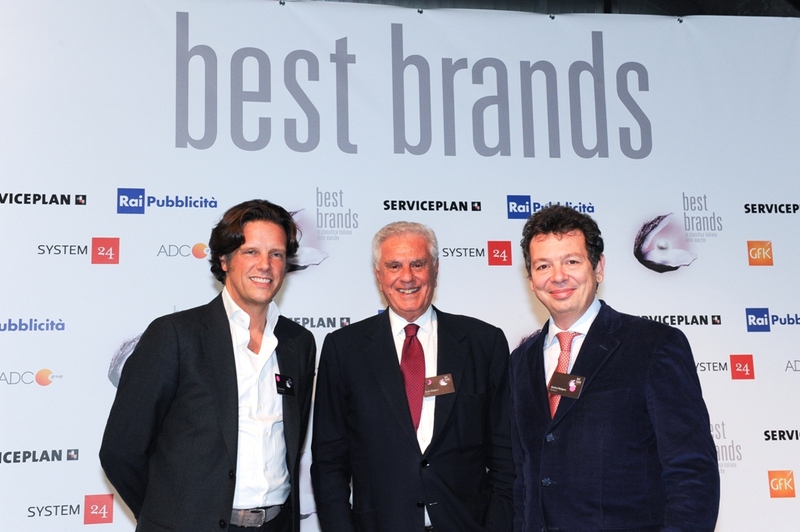 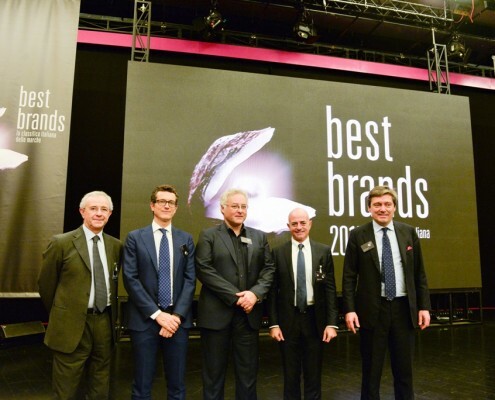 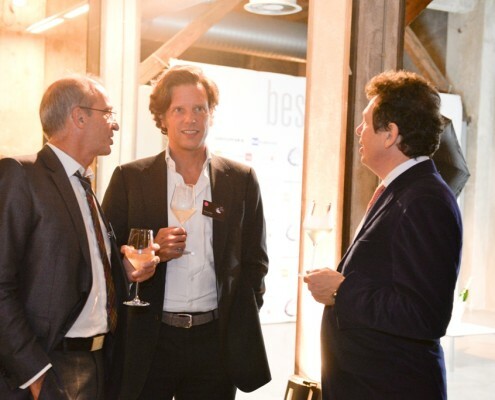 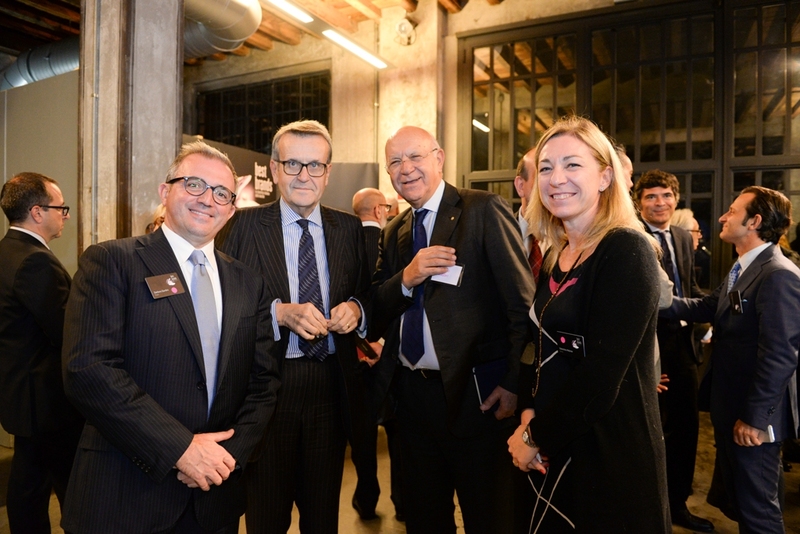 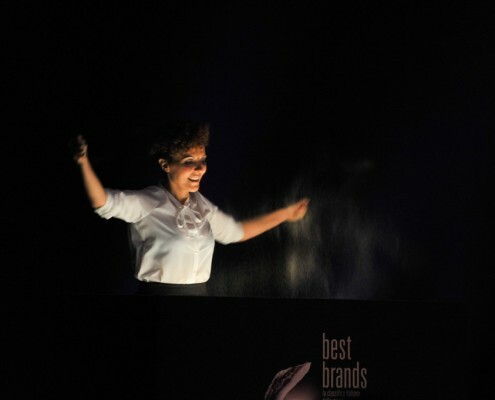 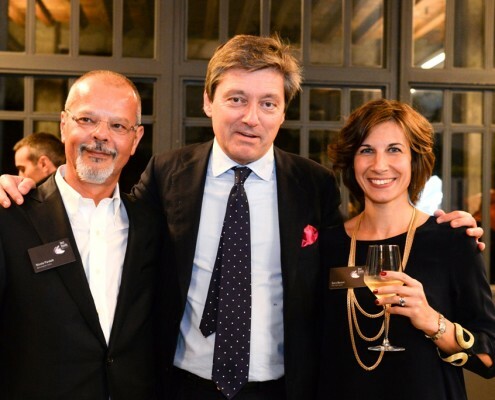 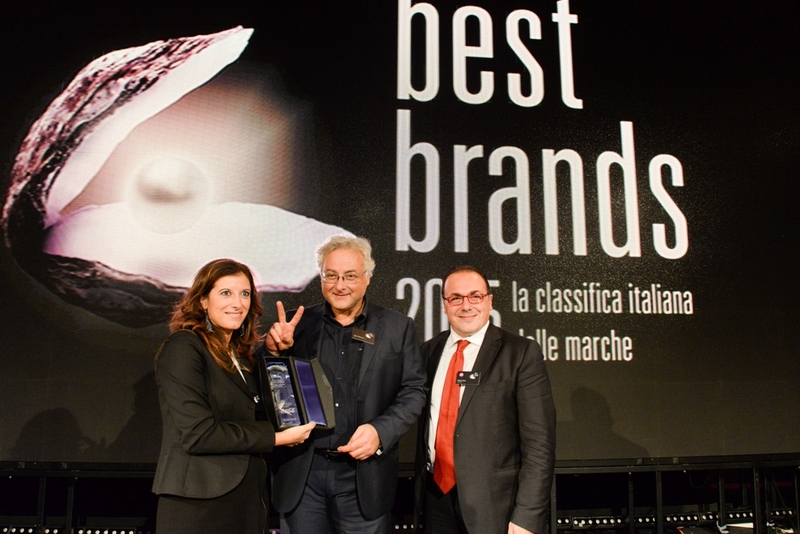 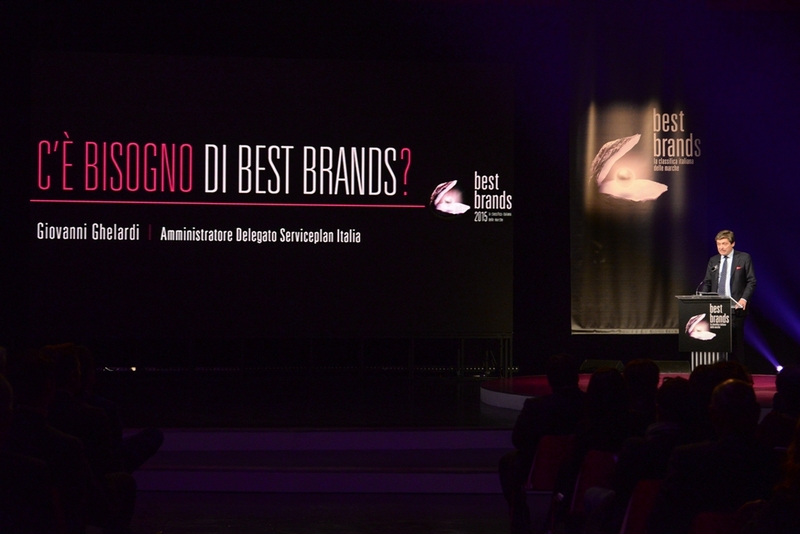 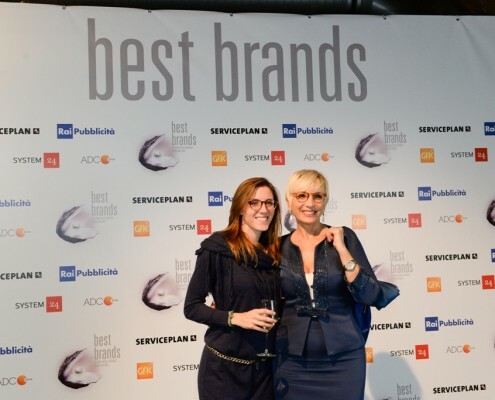 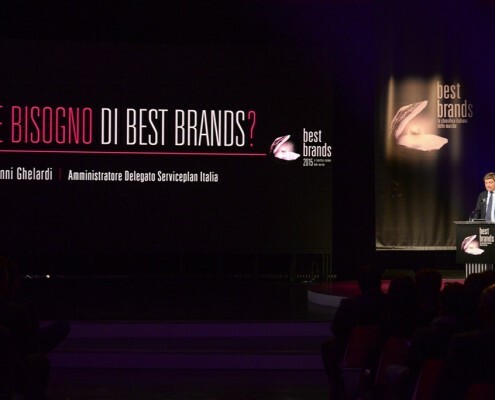 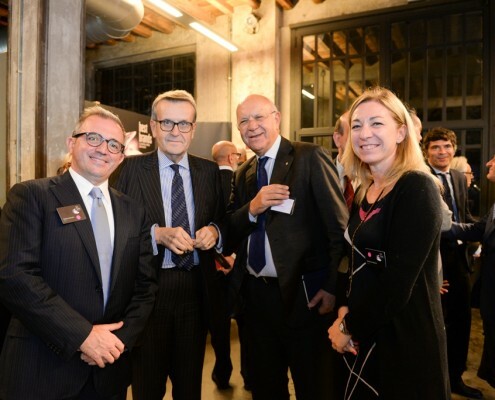 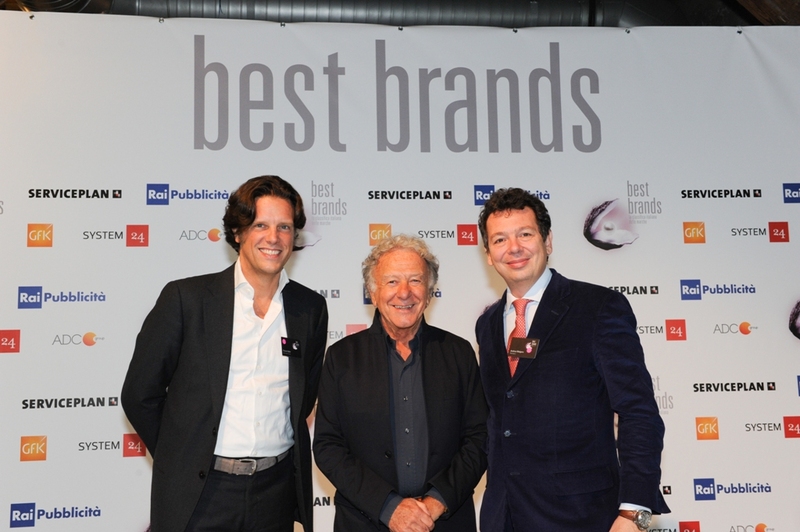 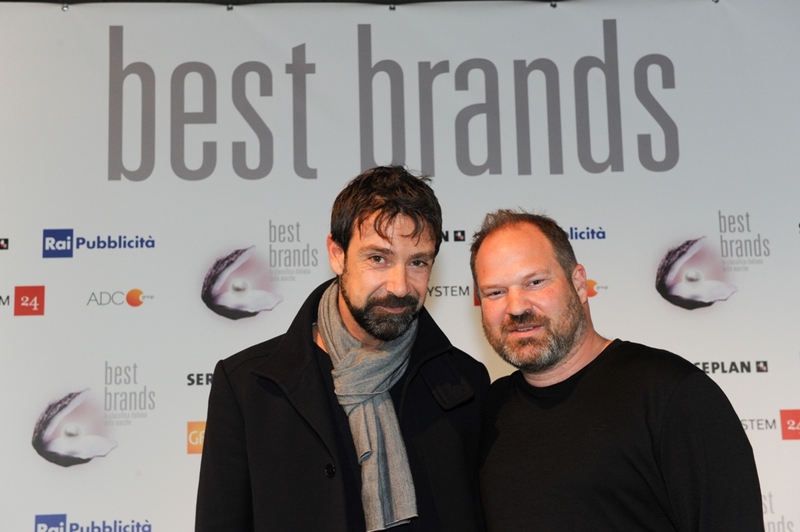 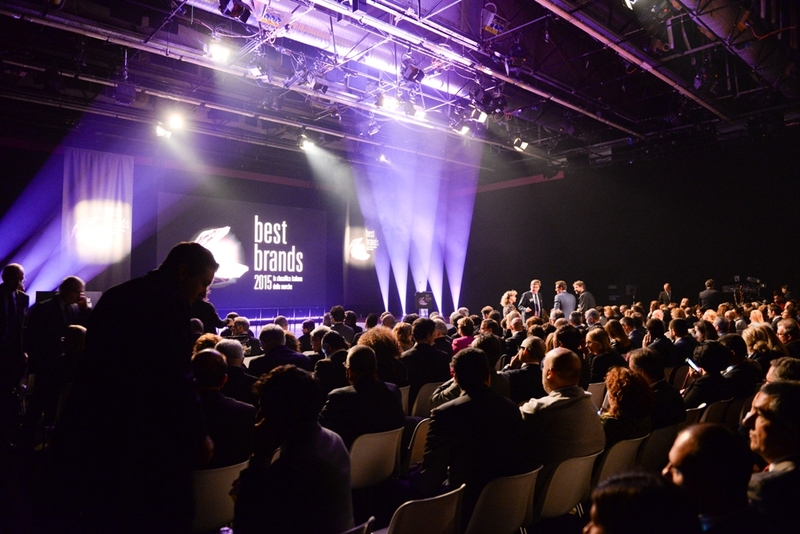 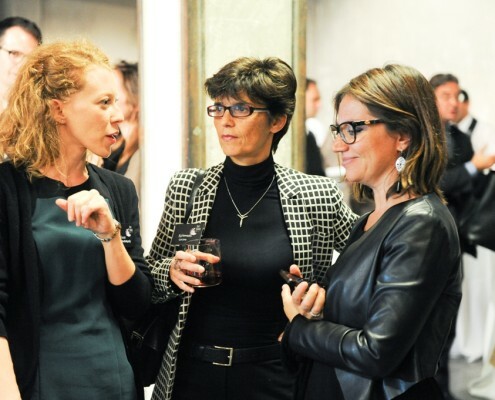 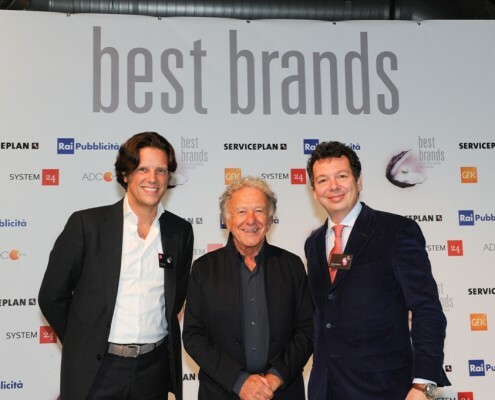 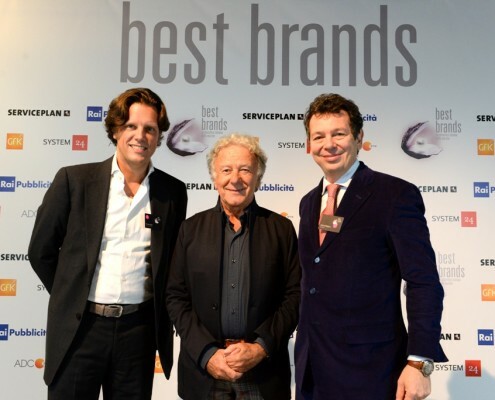 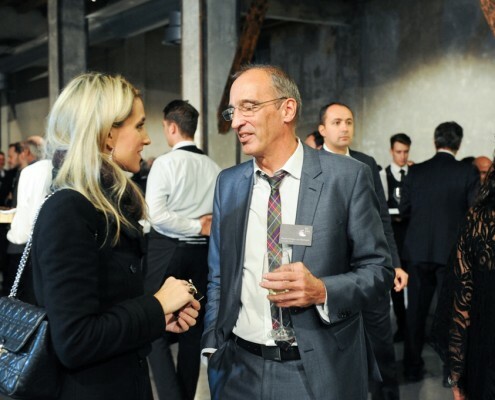 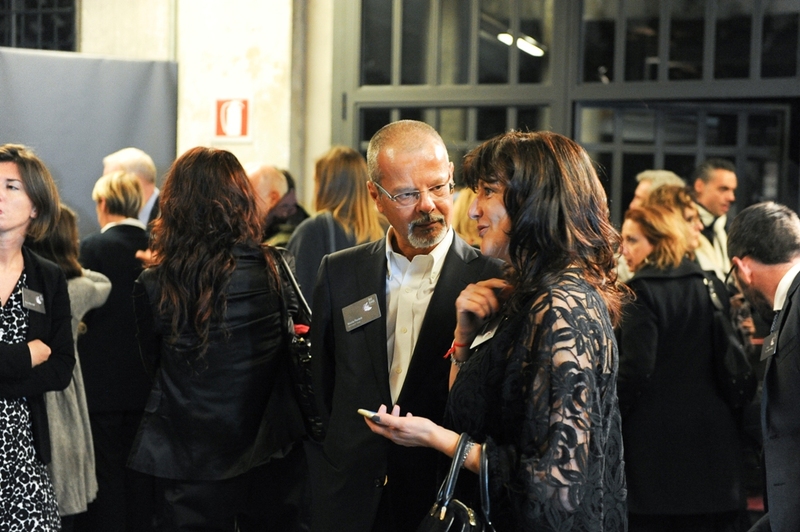 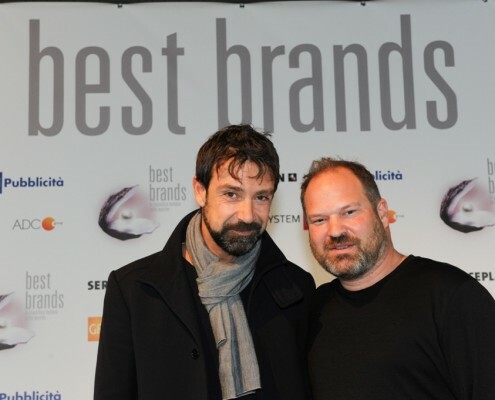 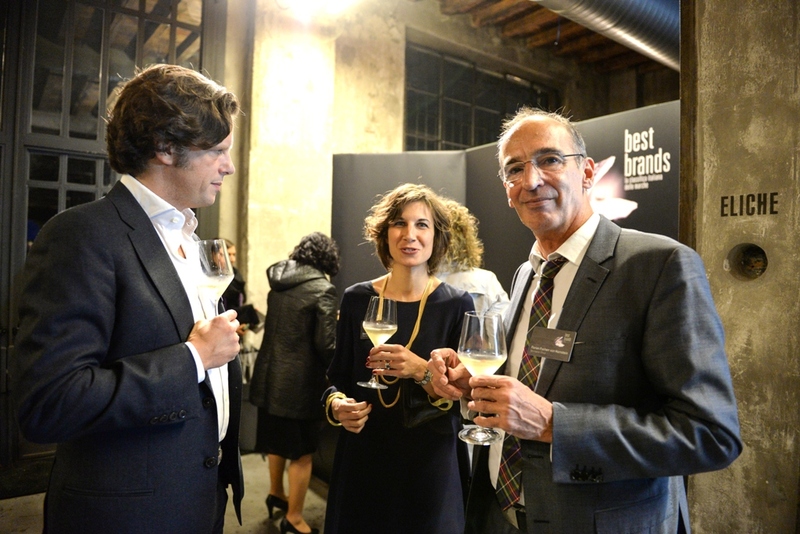 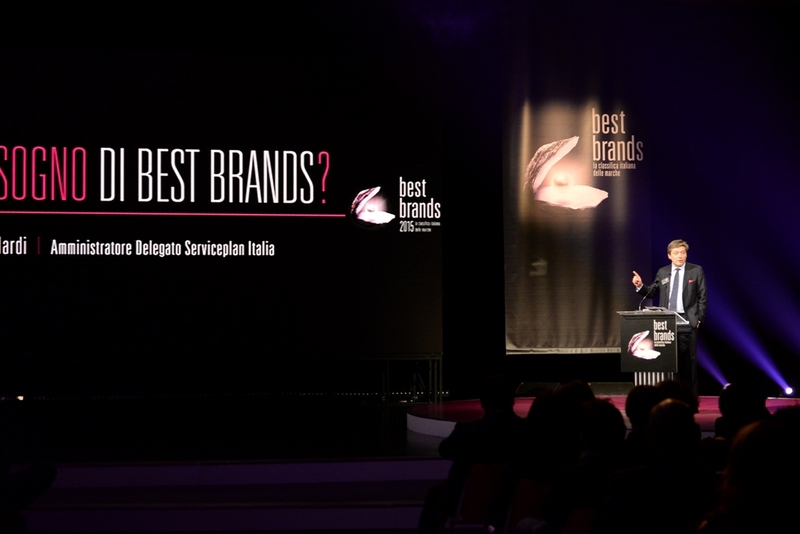 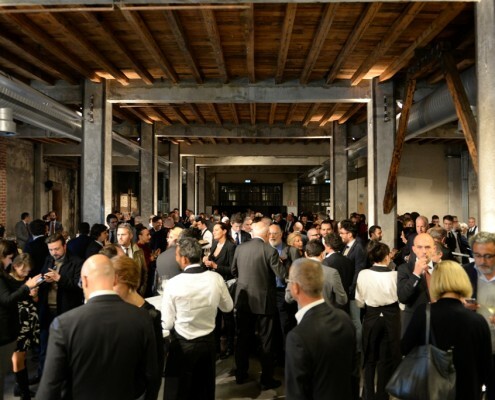 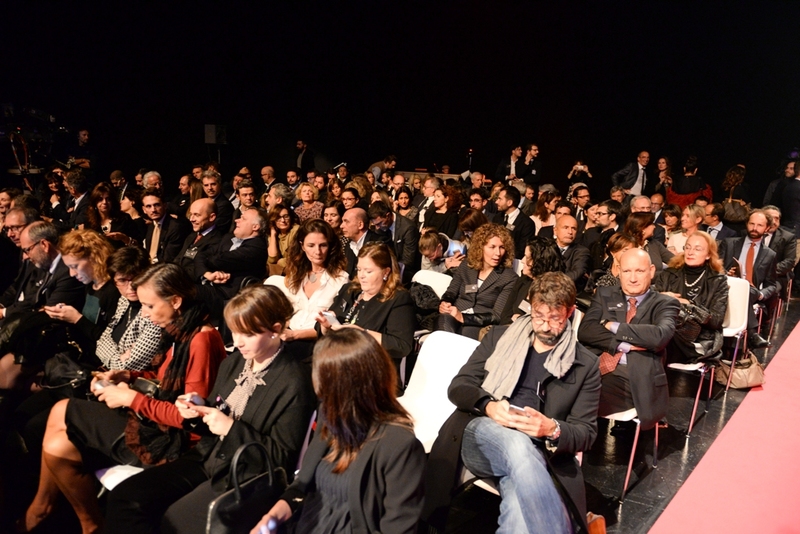 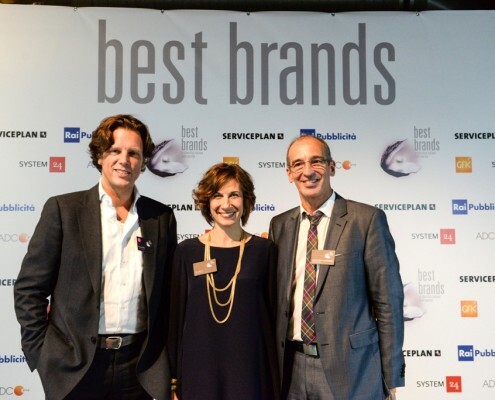 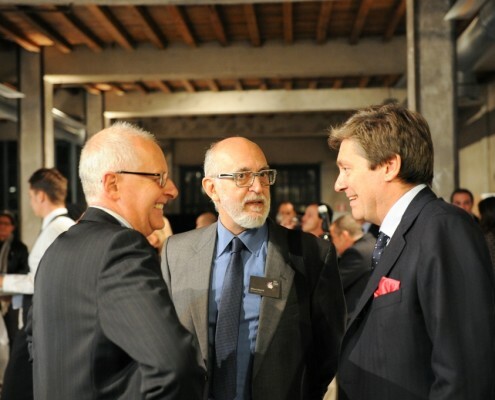 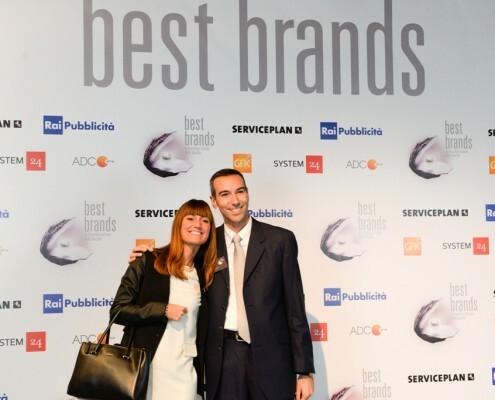 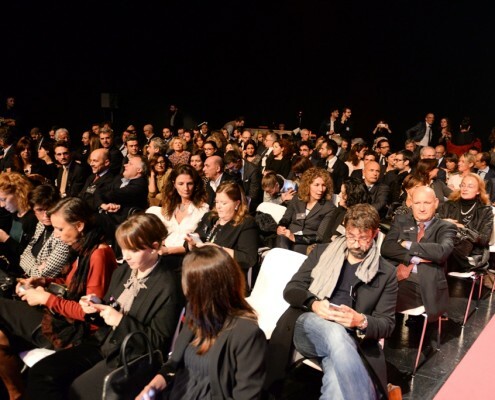 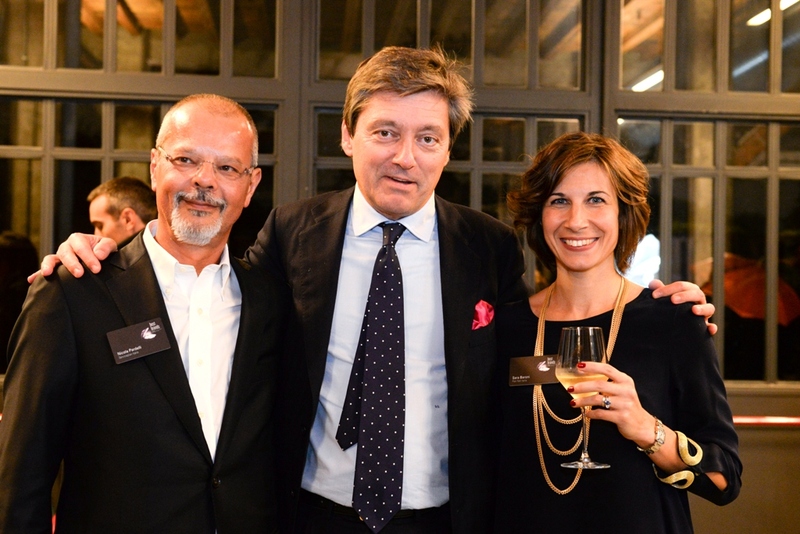 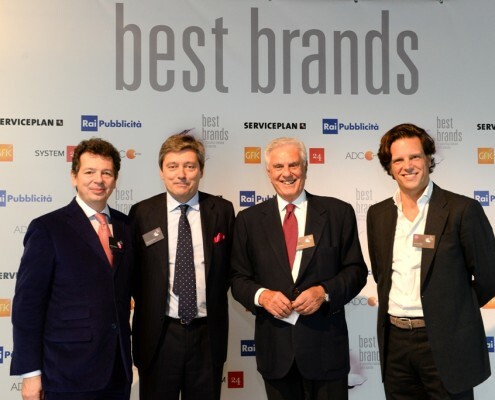 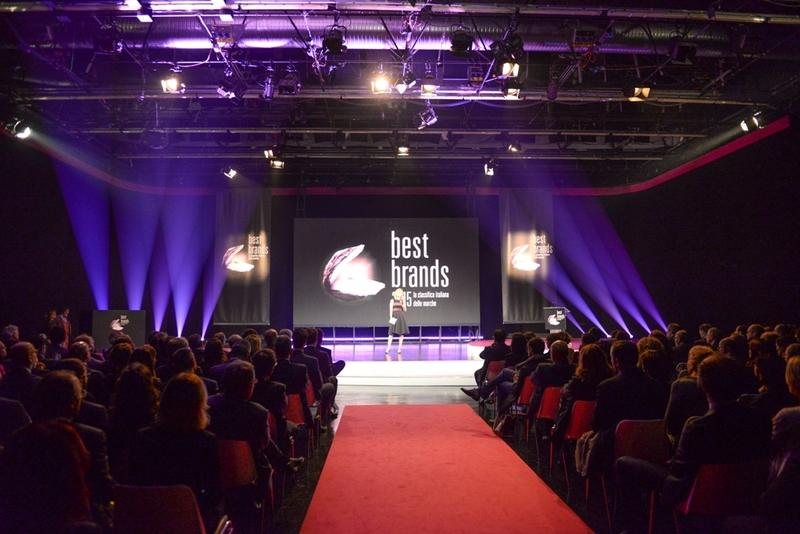 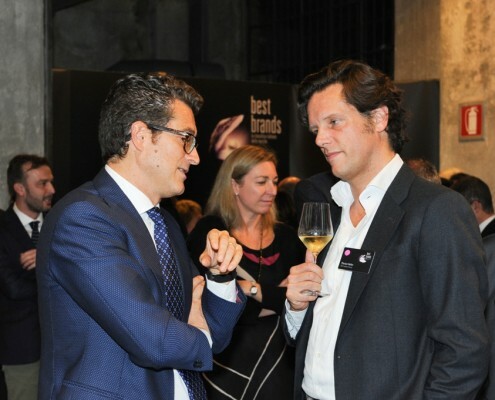 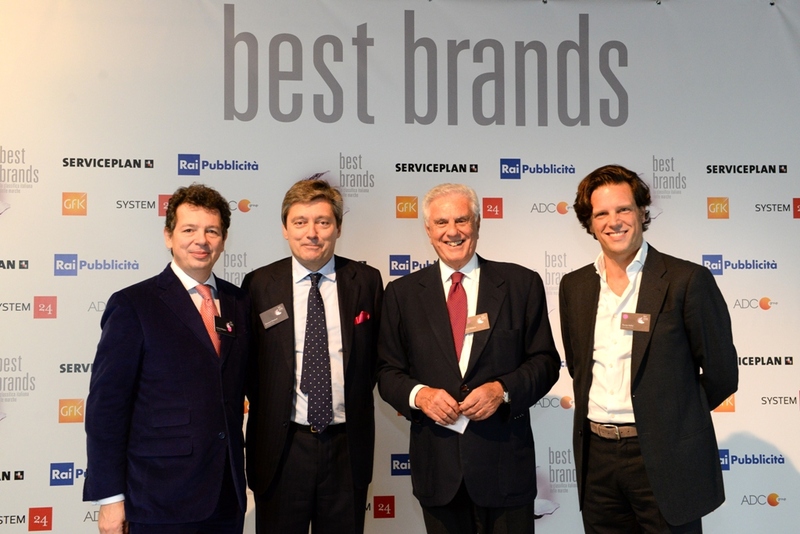 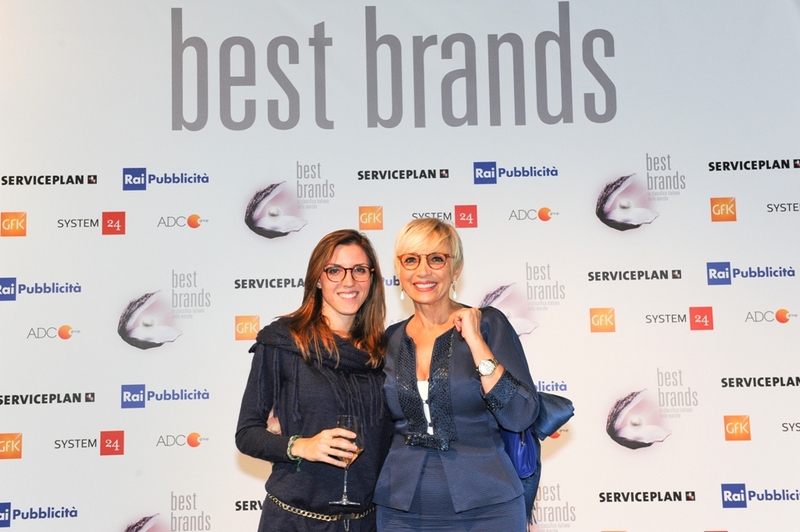 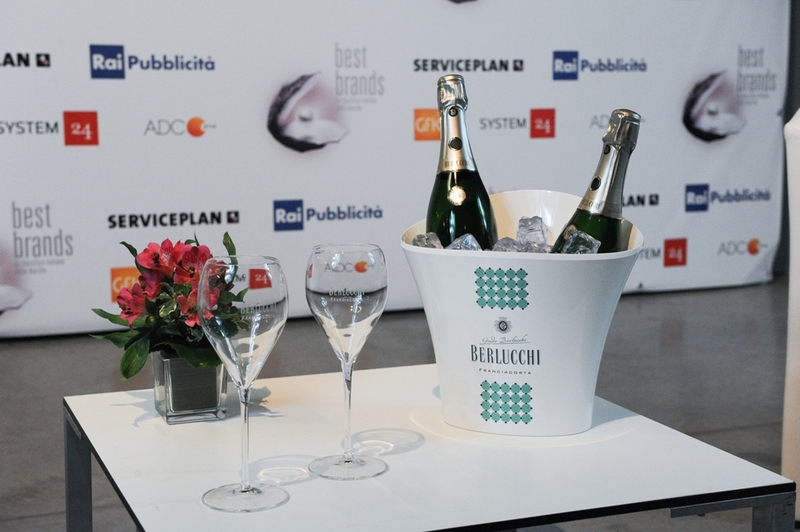 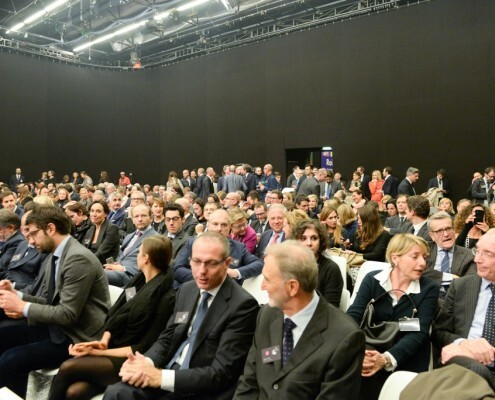 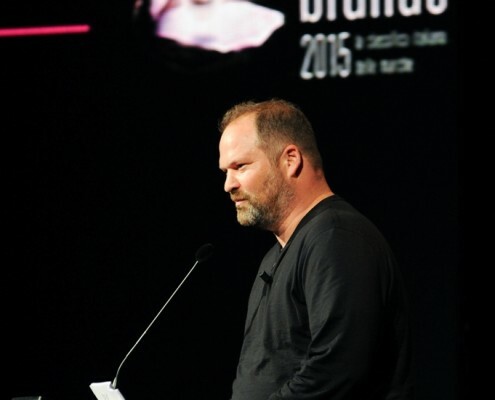 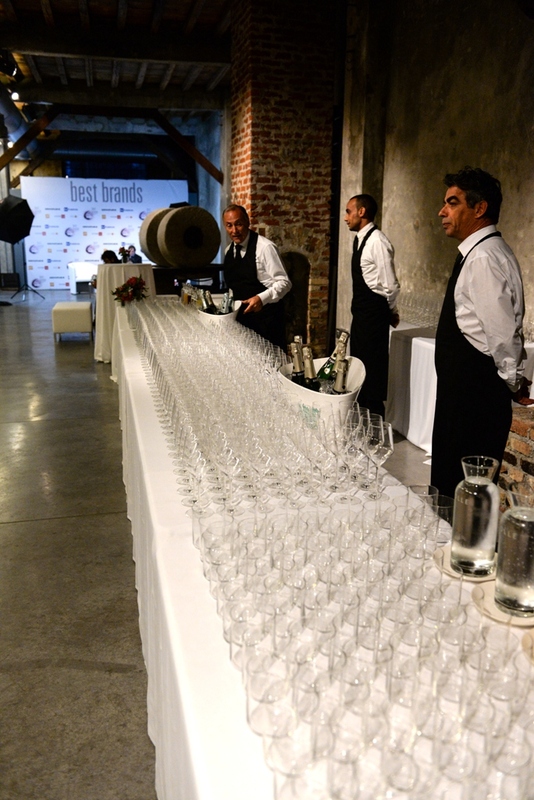 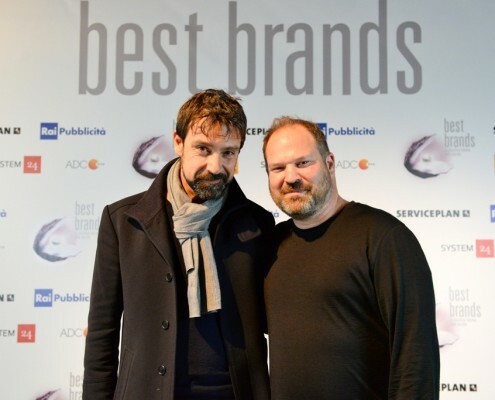 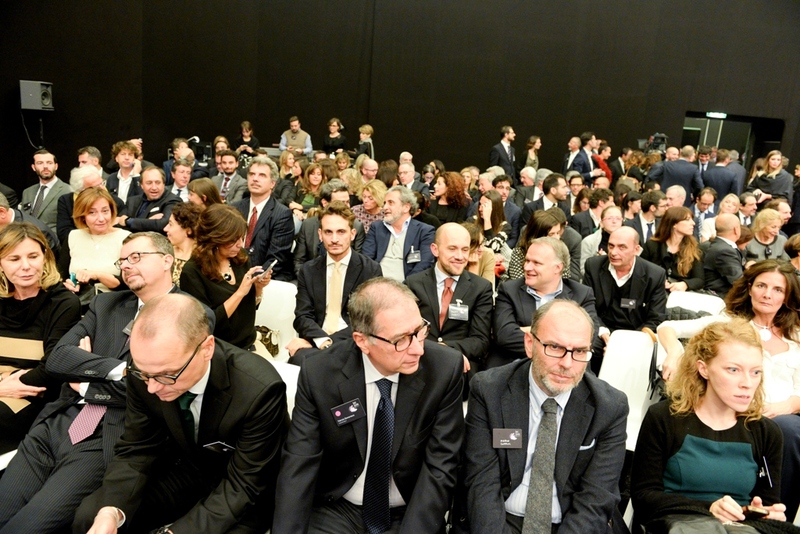 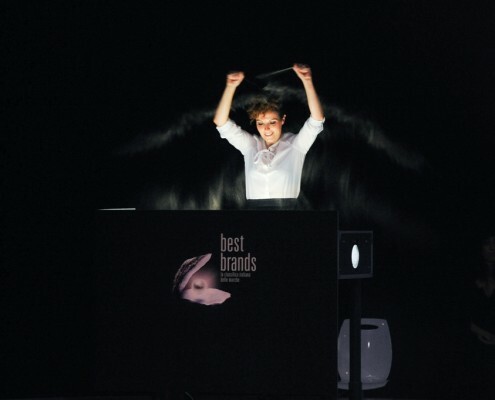 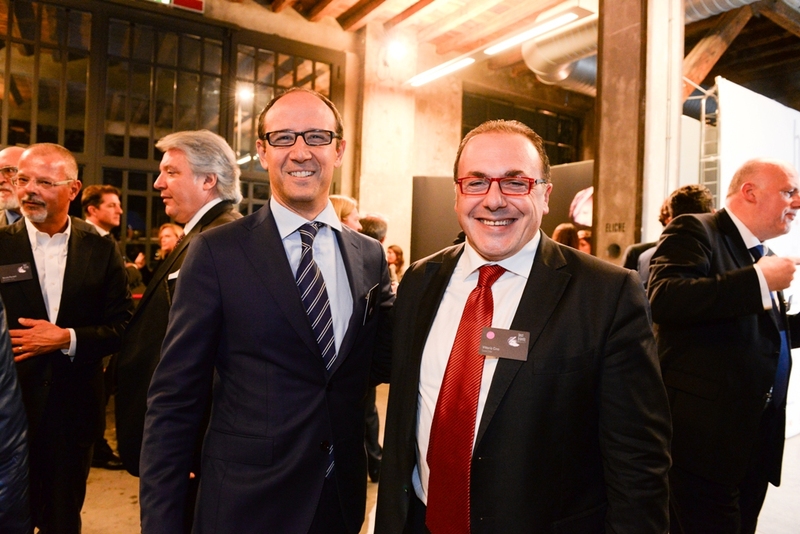 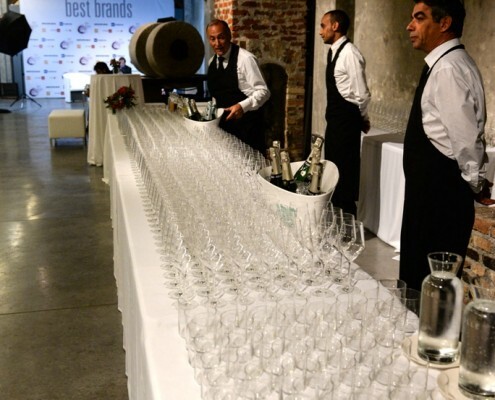 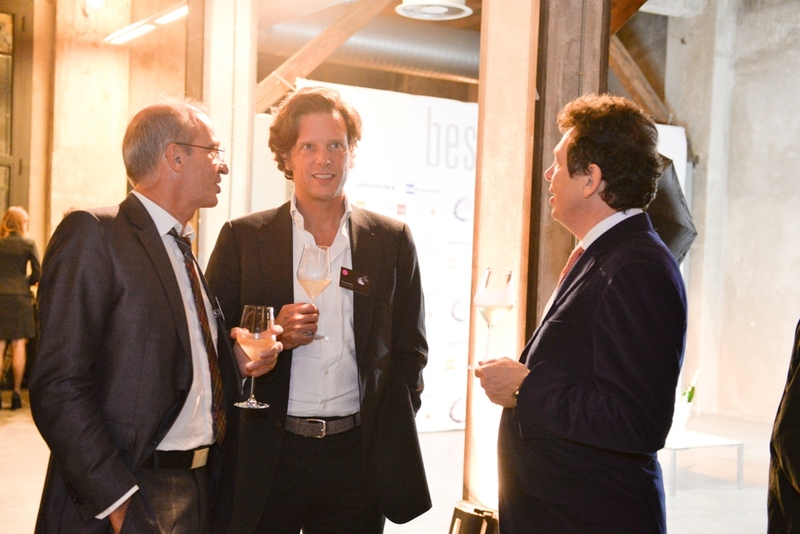 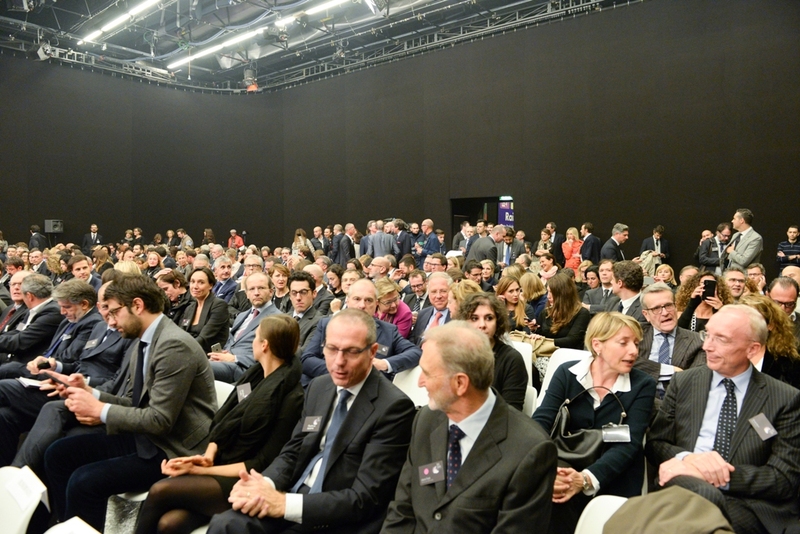 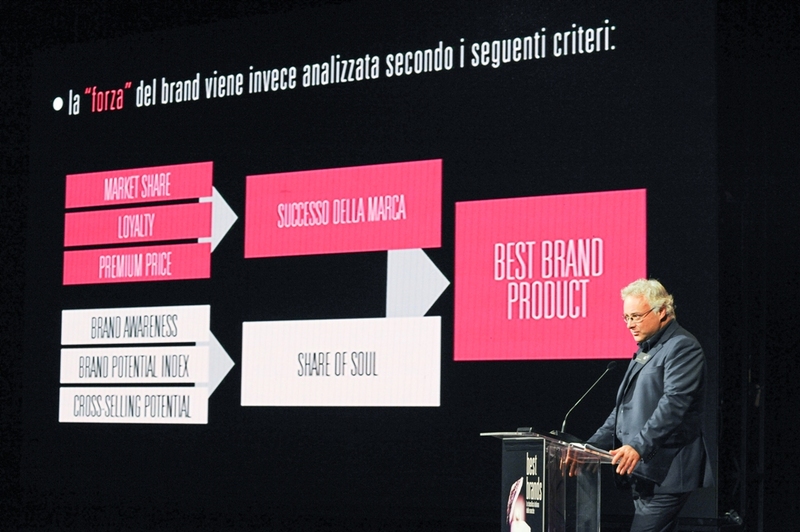 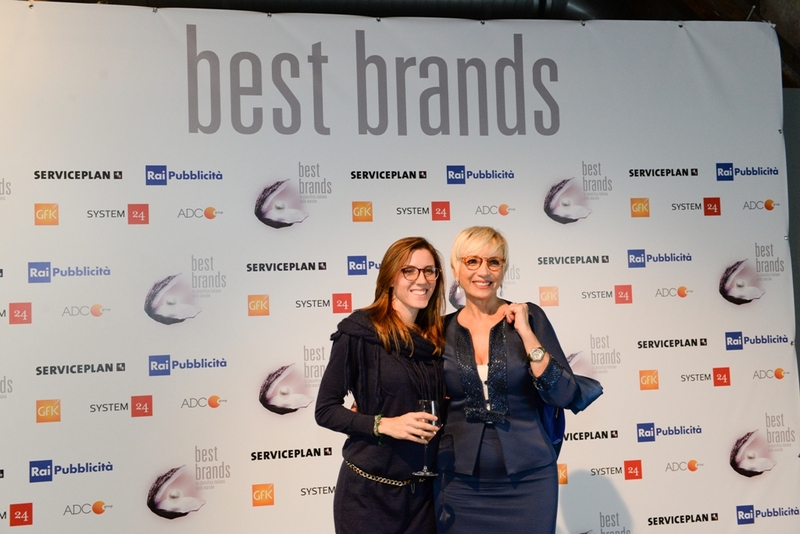 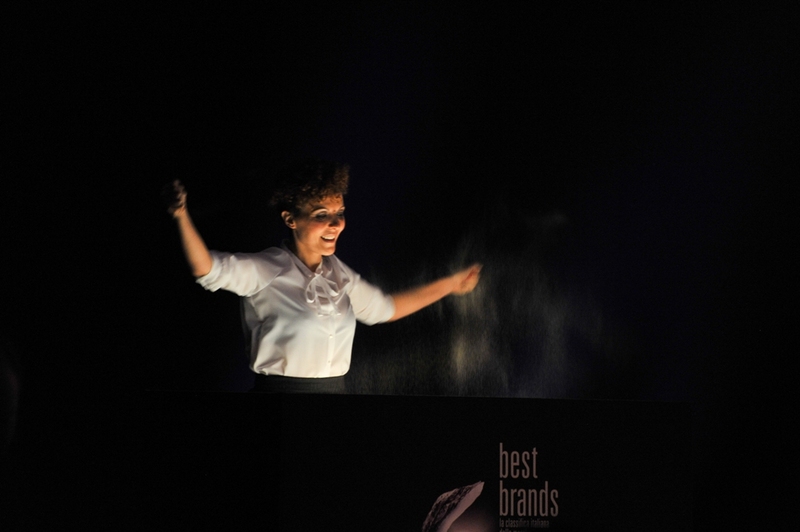 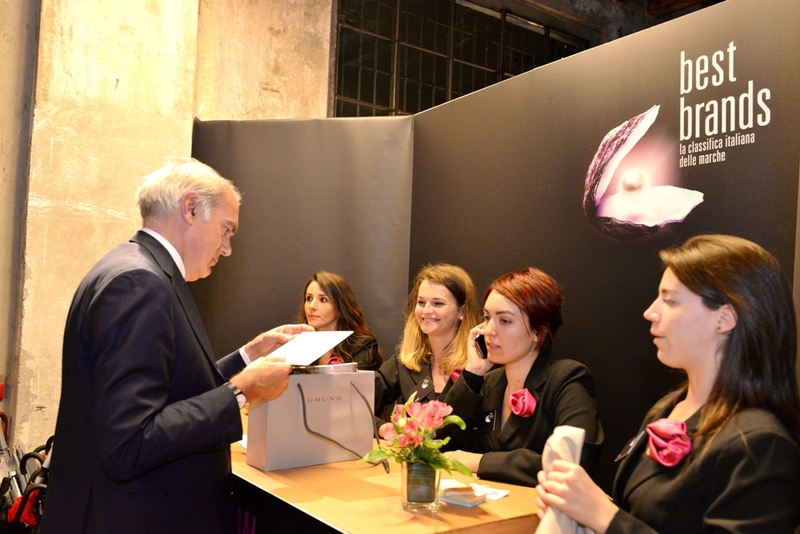 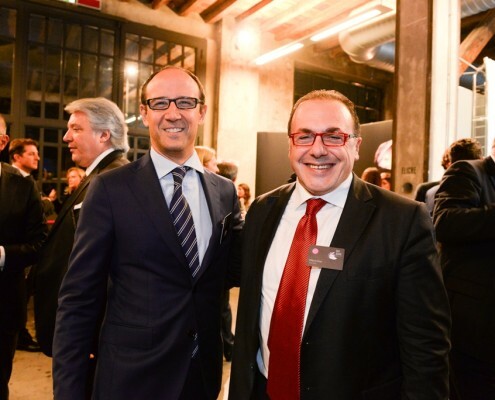 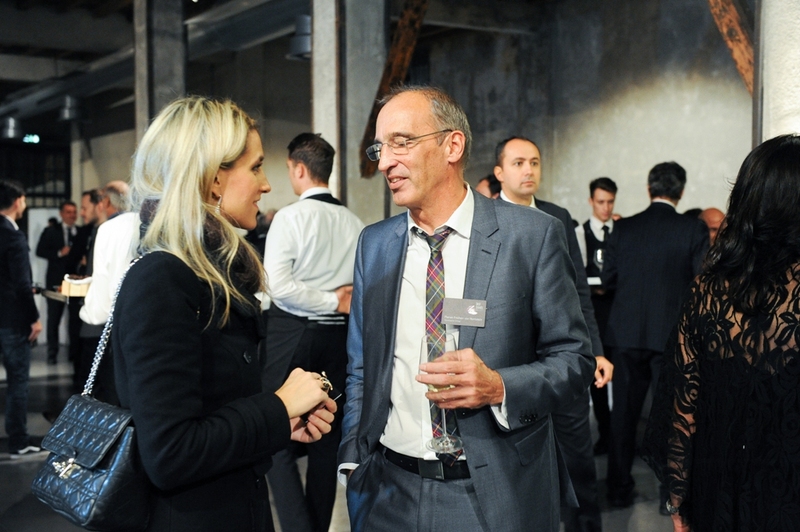 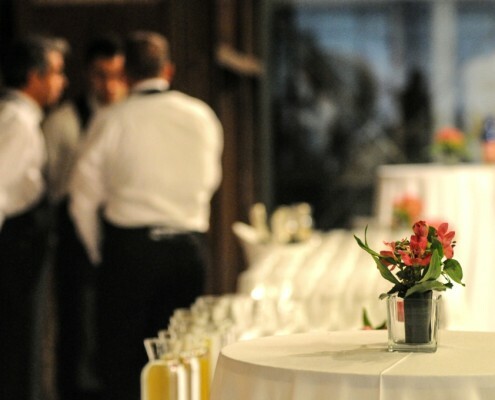 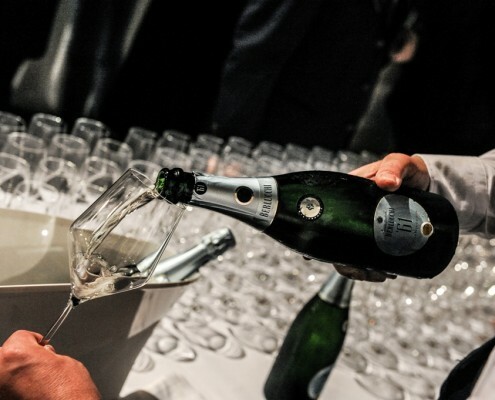 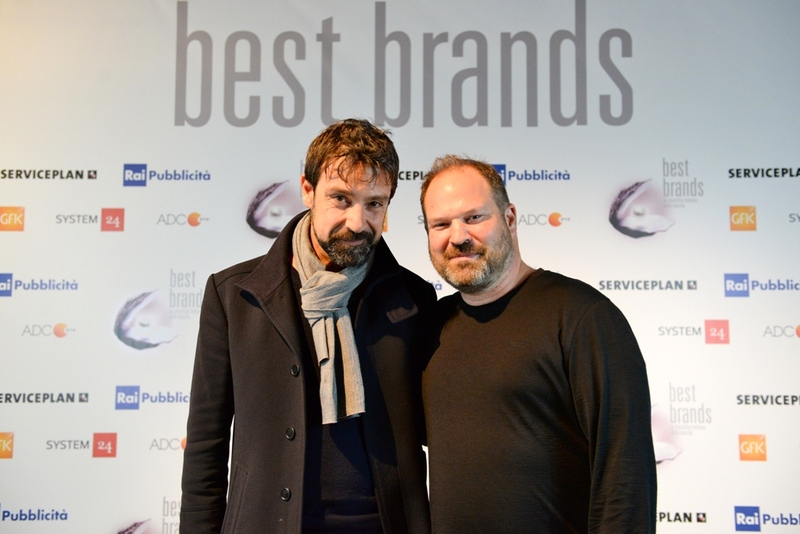 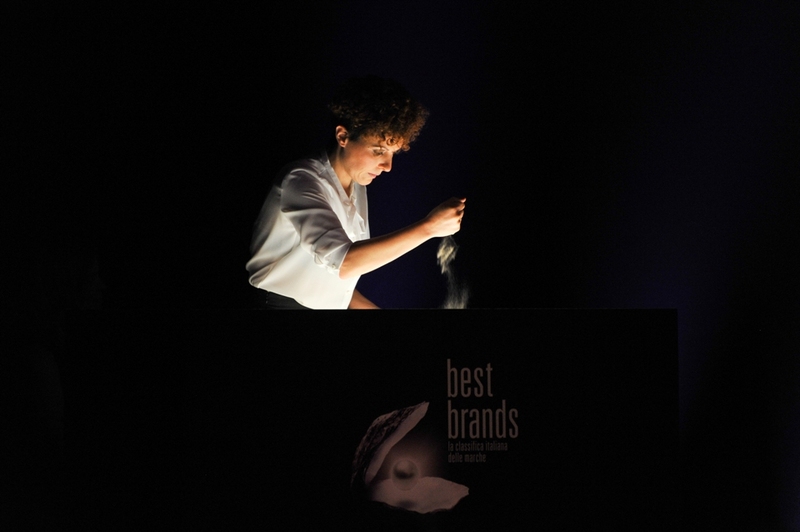 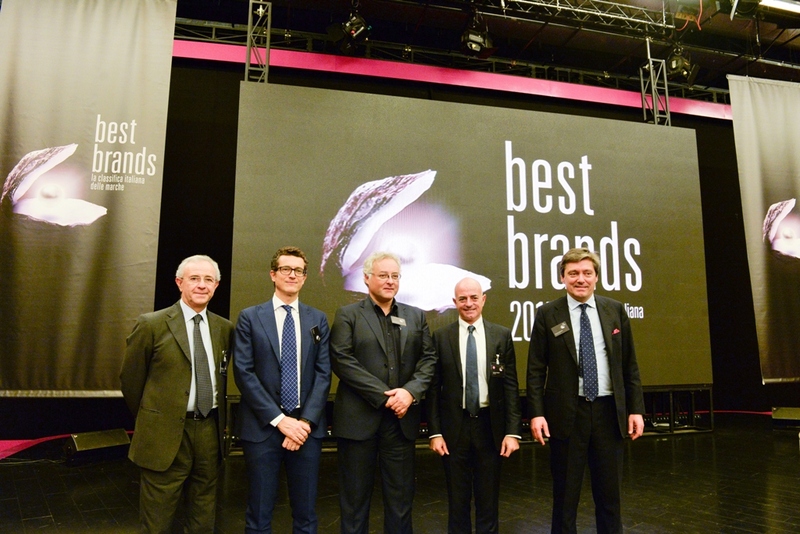 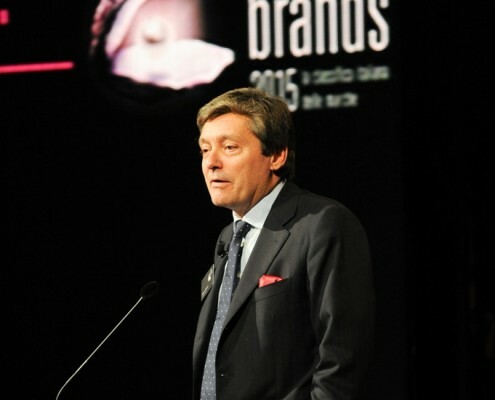 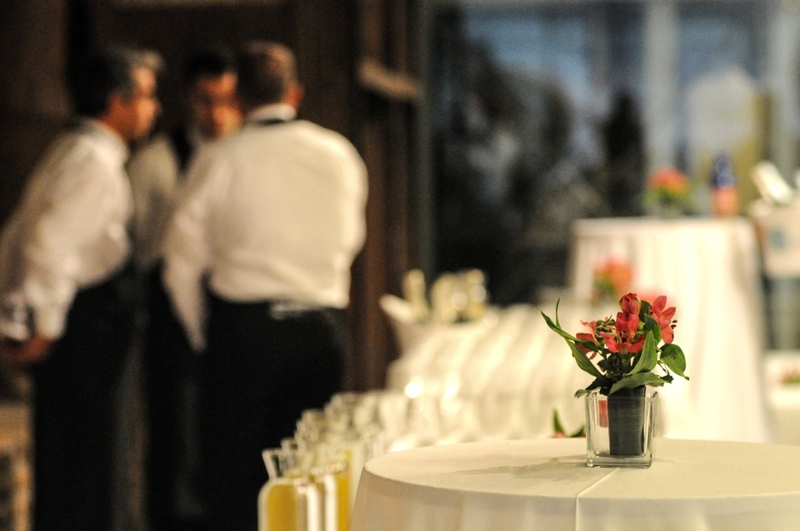 After the great success of the first edition in 2015, on the November 9th there was Best Brands event in Italy. 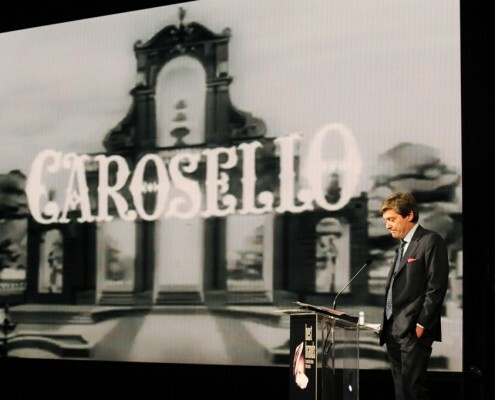 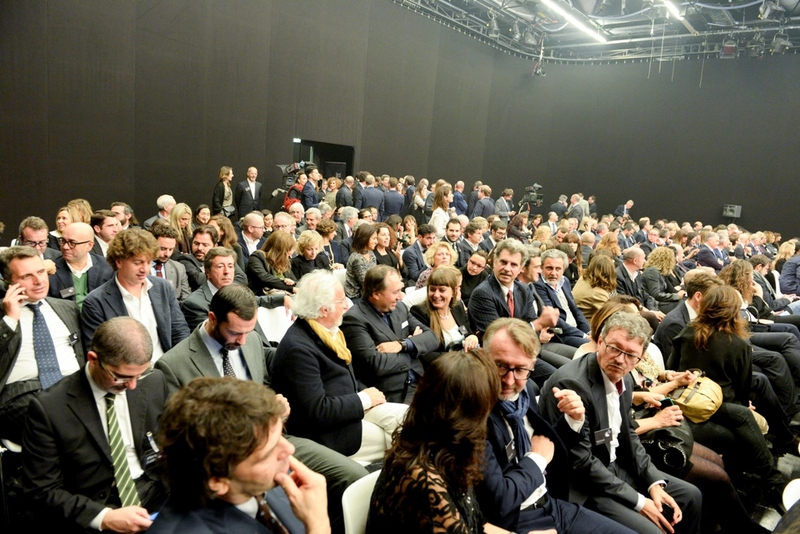 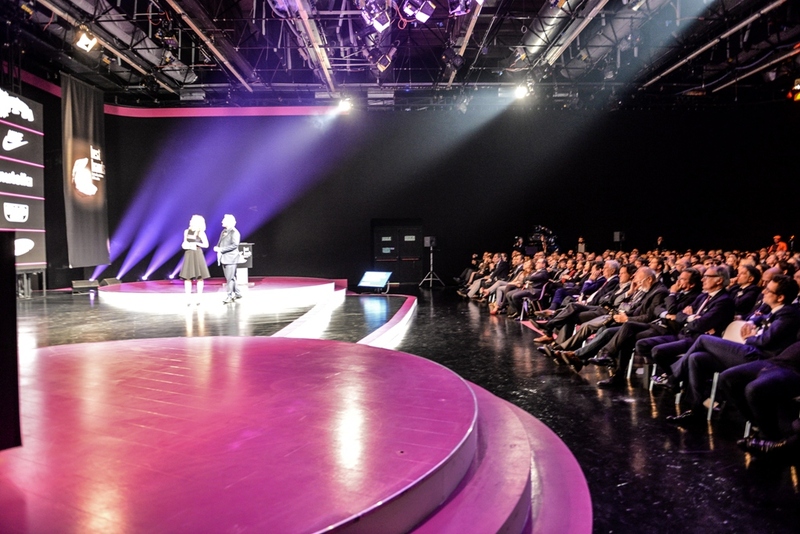 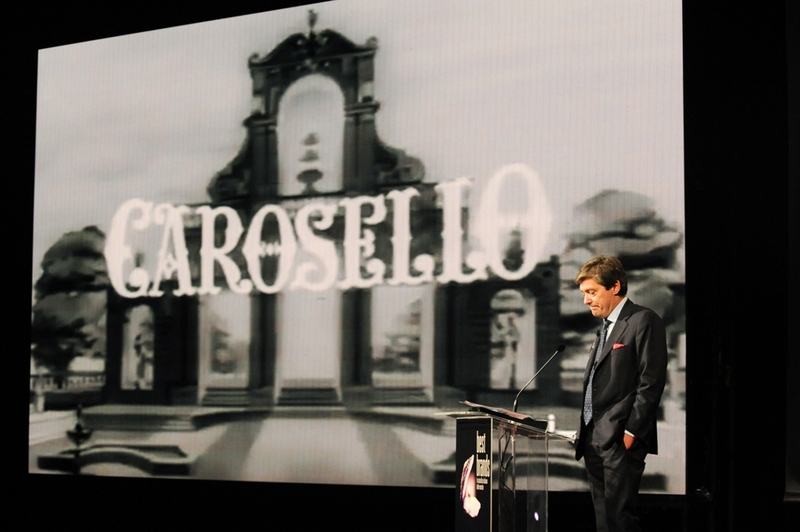 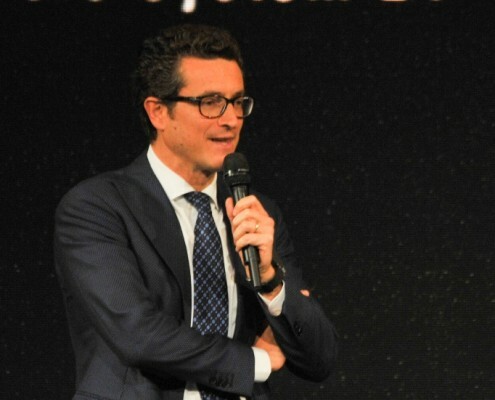 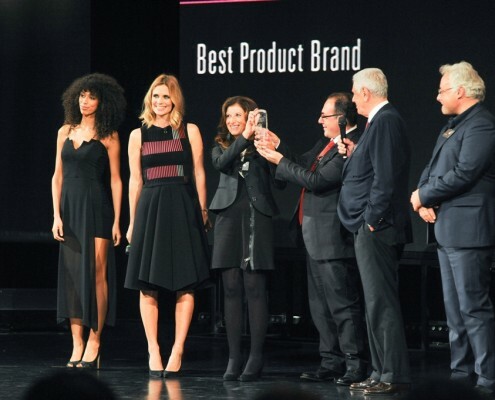 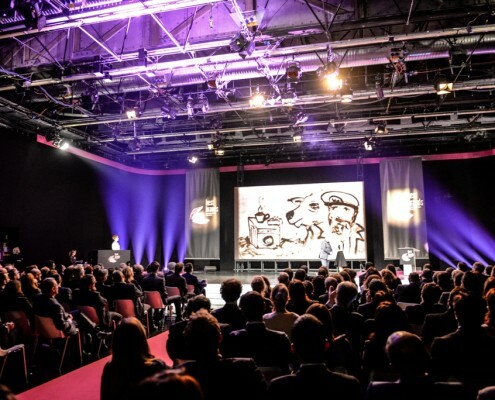 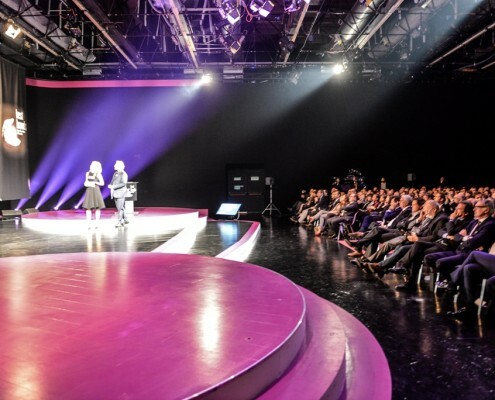 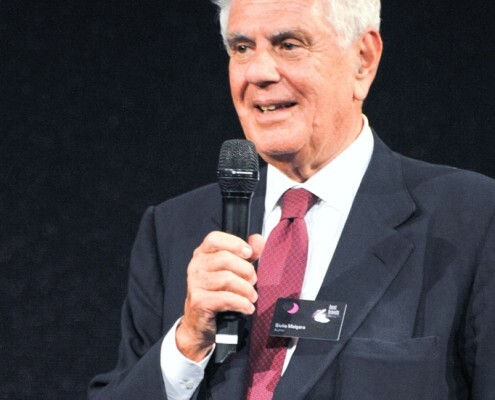 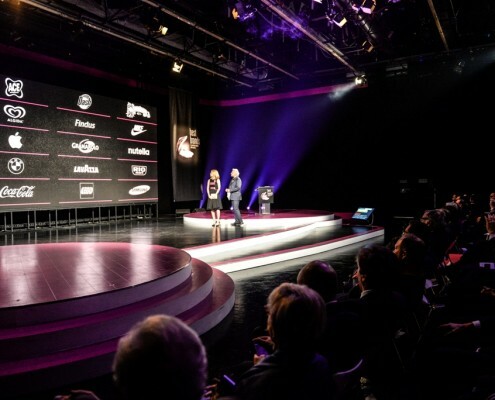 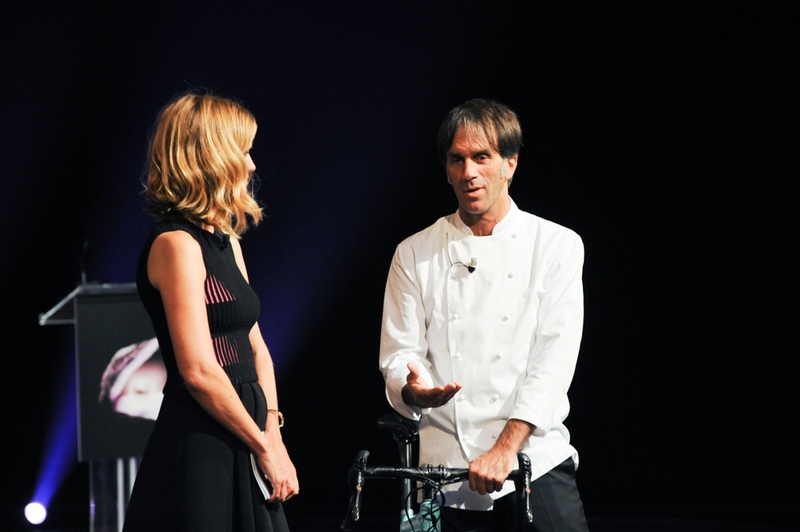 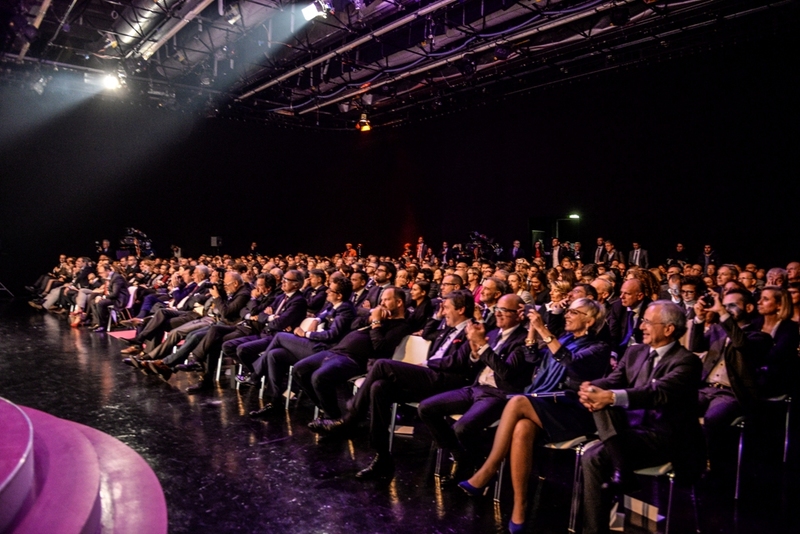 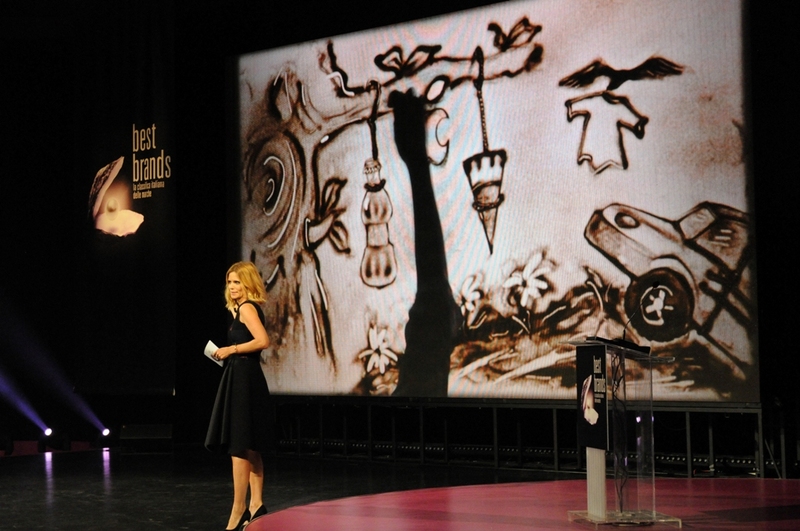 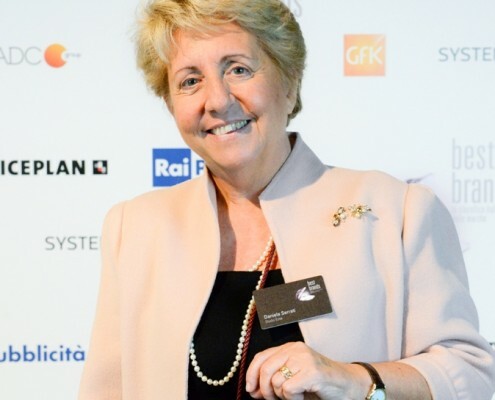 The gala, hosted by Filippa Lagerback in the RAI Studios in Milan, has been a unique occasion to make a point about the Italian brand system. 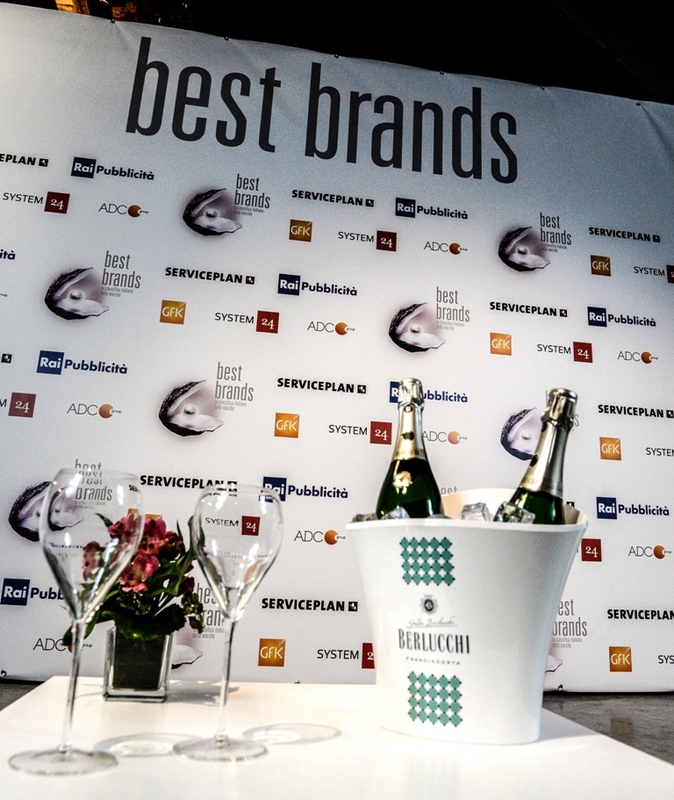 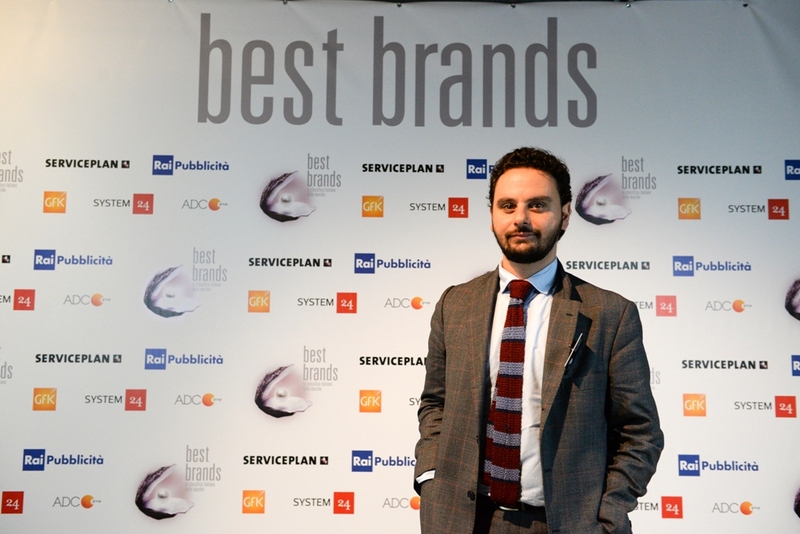 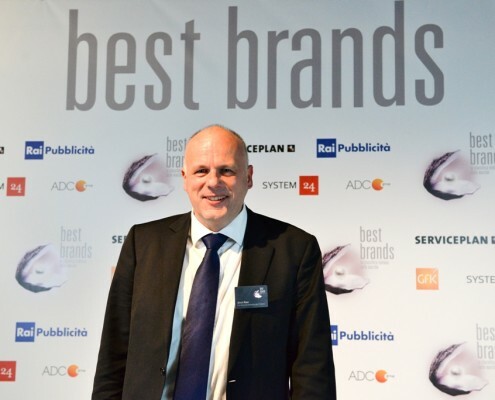 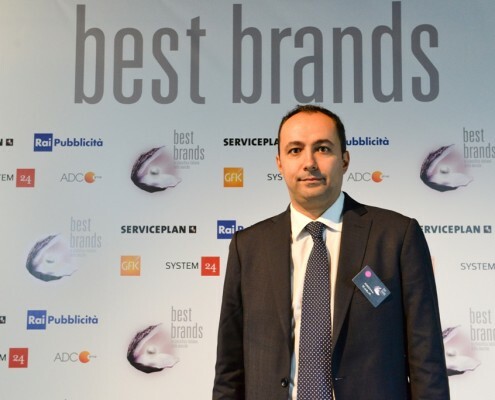 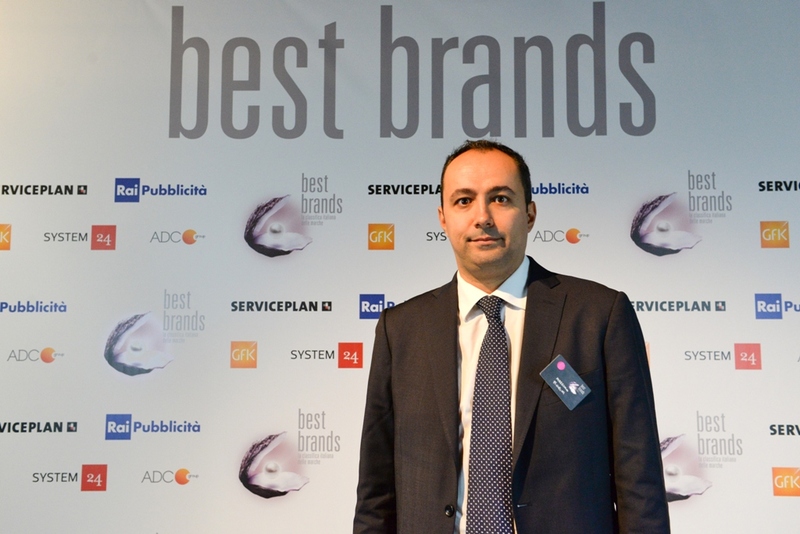 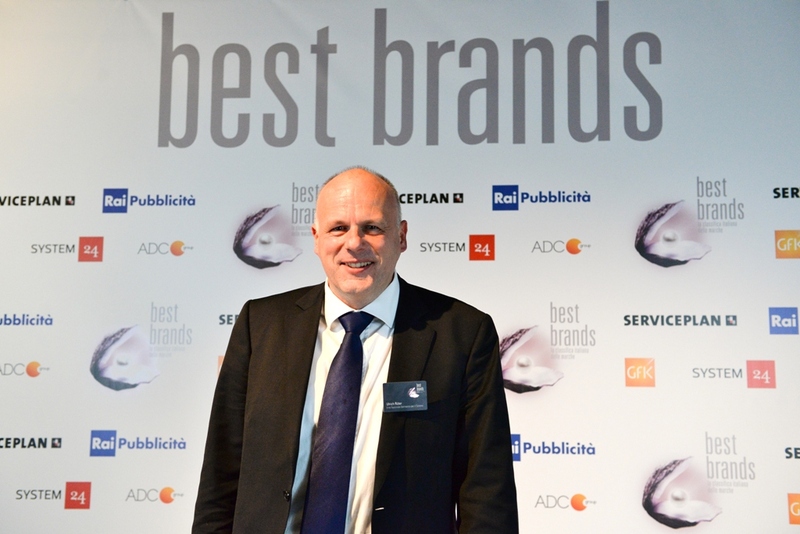 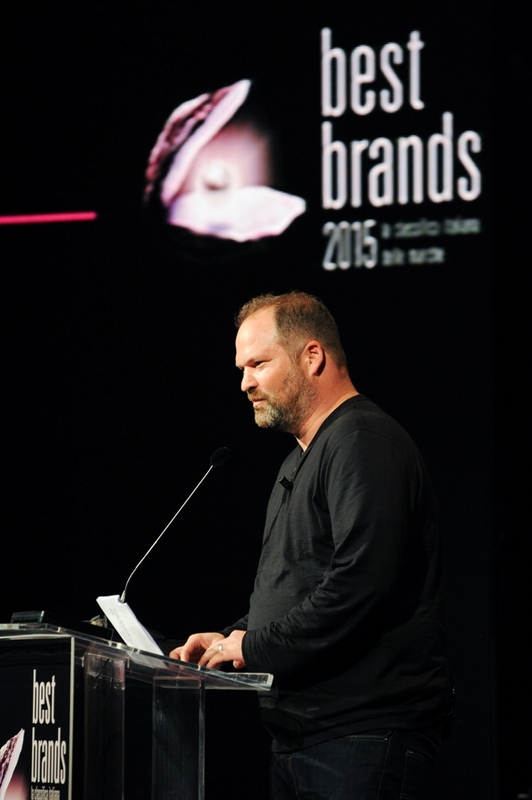 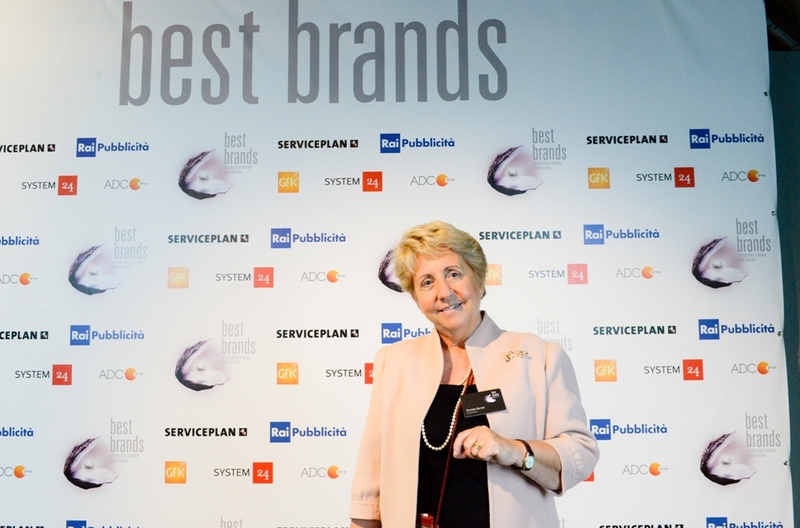 After a wide and accurate survey managed by GfK on 4.500 cases, the three pearls of this year: Best Corporate Brand, Best Product Brand and Best Growth Brand have been discovered. 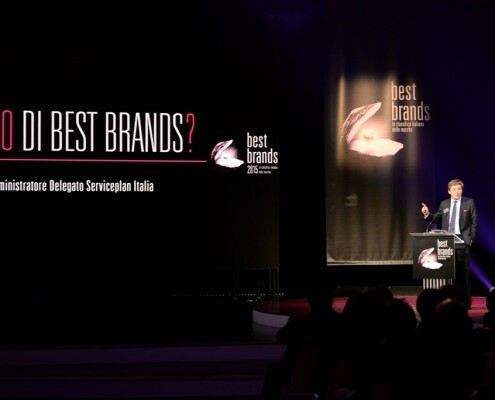 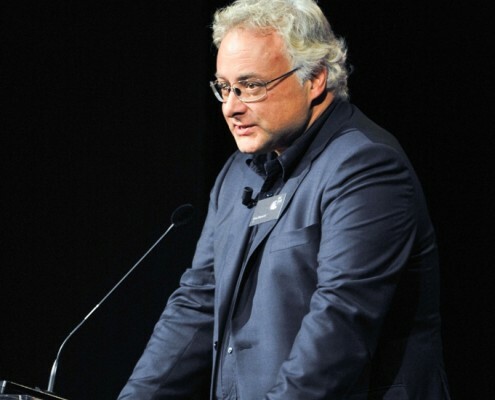 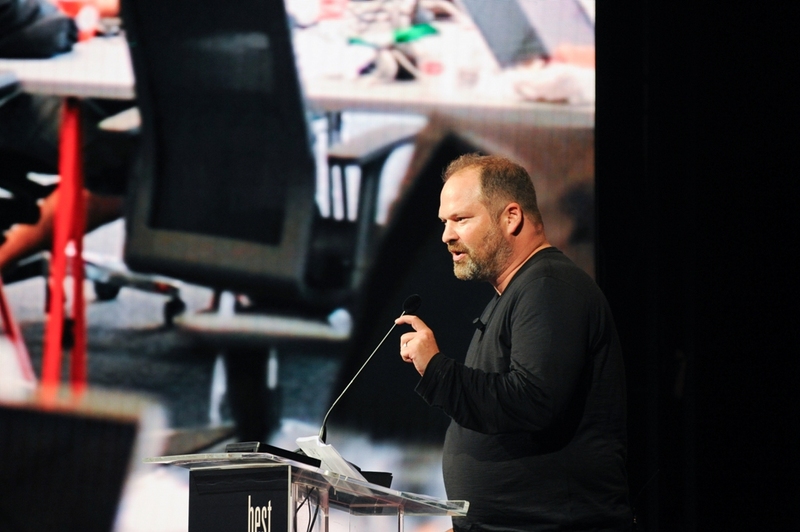 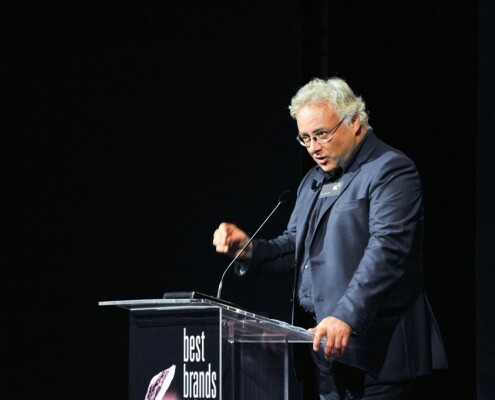 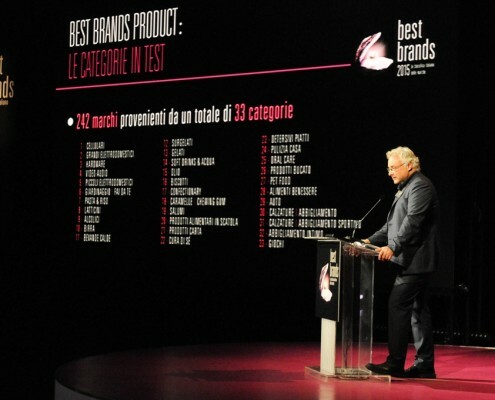 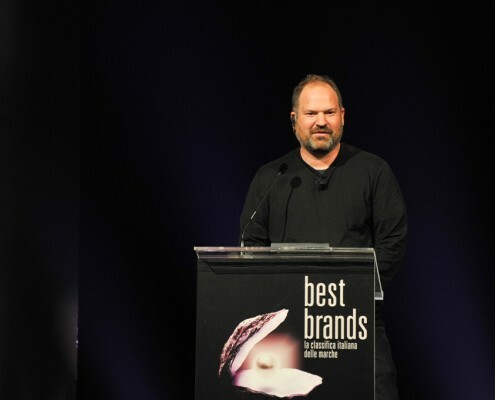 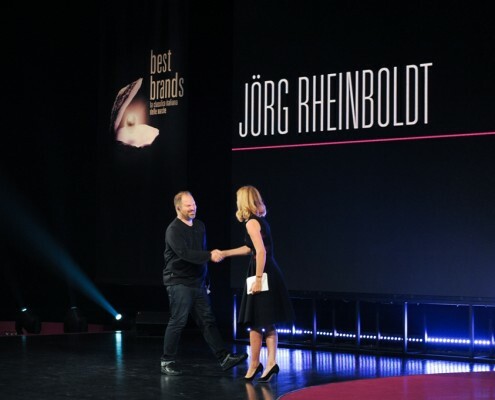 Starting from this edition, the partners of Best Brands have created the Innovation Award, a special recognition to elect the brand that better represents the idea of innovation: the choice is gone to Airbnb, that, from its born in 2008, has become one of the most revolutionary and relevant brand of the world. 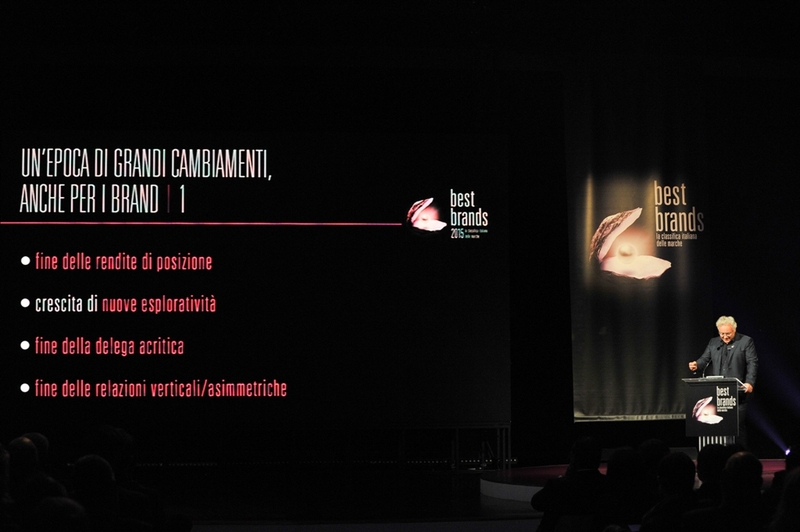 Alexandra Dimiziani, Head of Airbnb global marketing, collected the prize and revealed the successful strategy of the brand, disclosing also the next challenges to face. 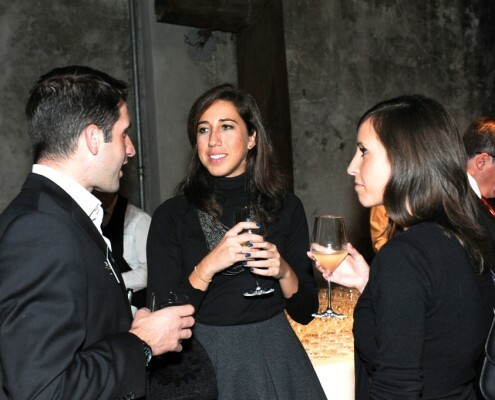 The famous anchorwoman Camila Raznovich interviewed her. 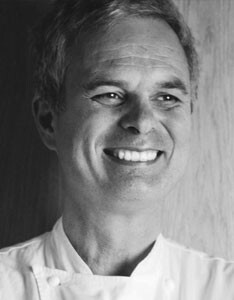 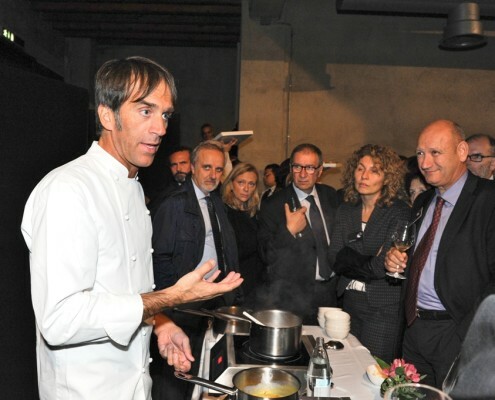 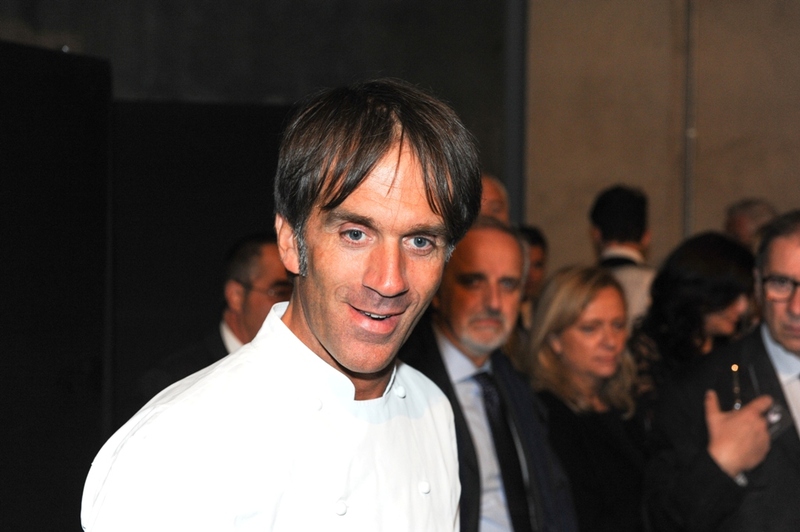 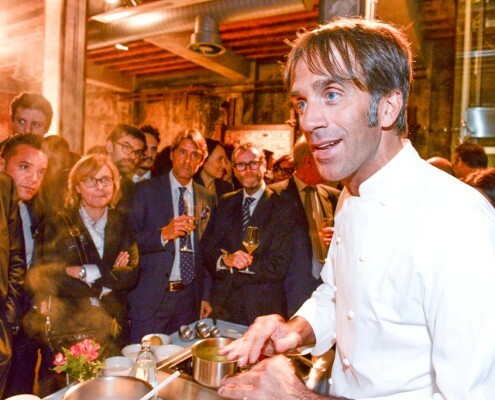 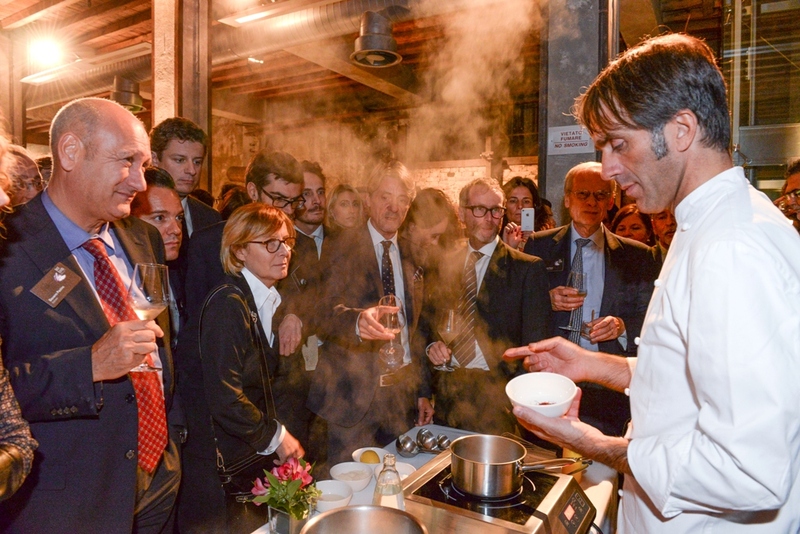 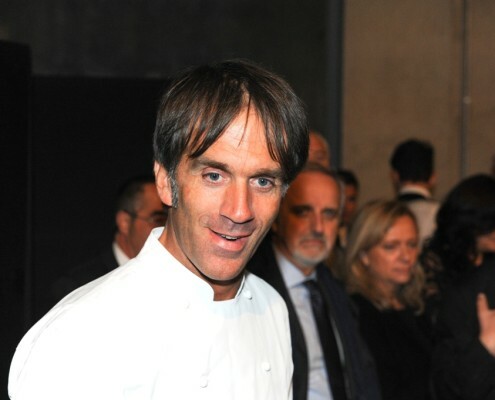 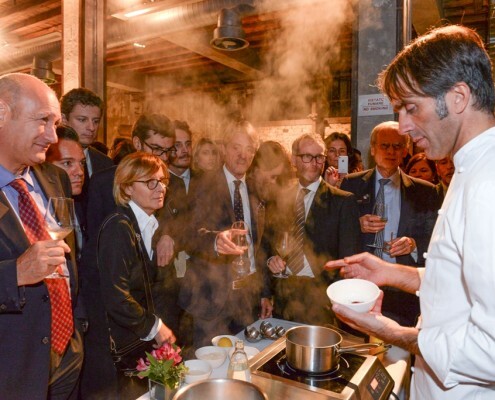 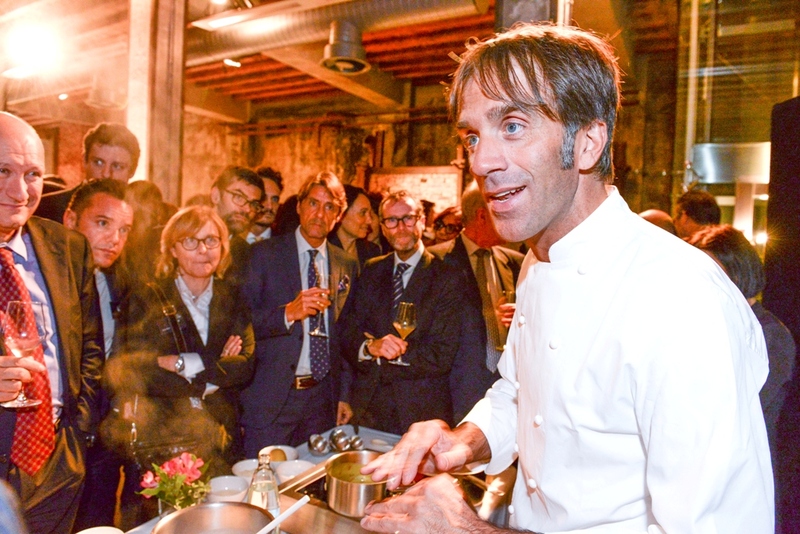 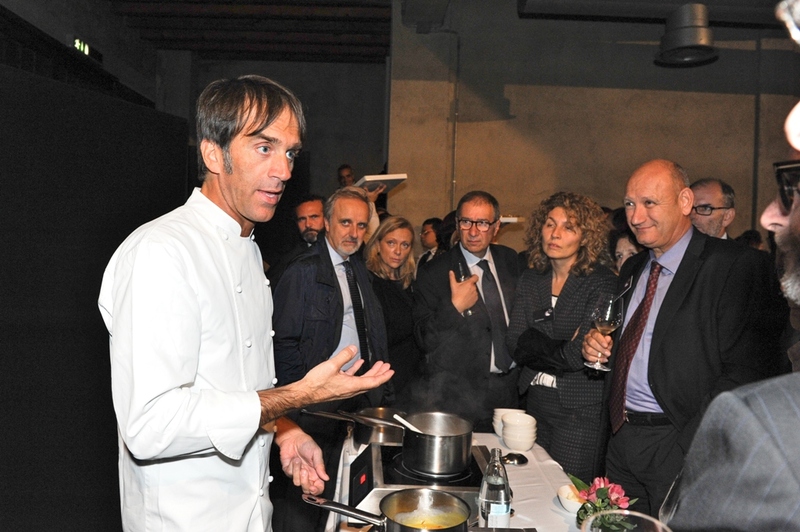 Marco Bianchi, known as “the scientist chef ”, closed the gala offering his specialities on the notes of the Bocconi Jazz Business Unit. 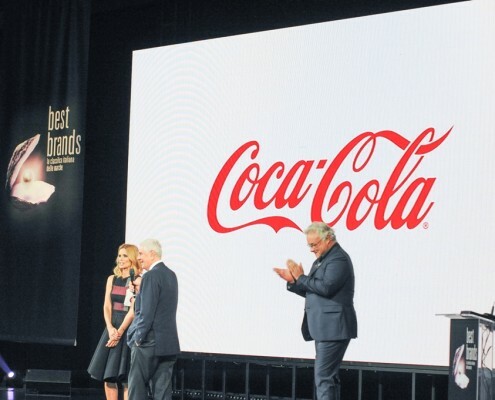 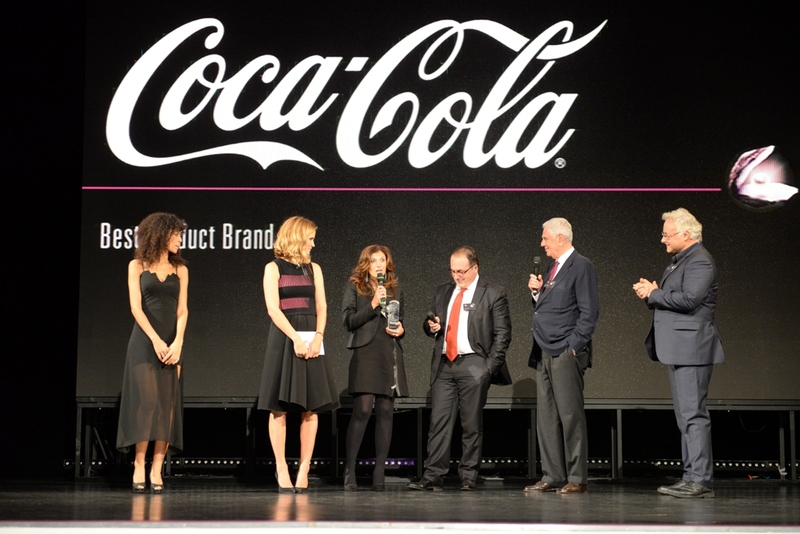 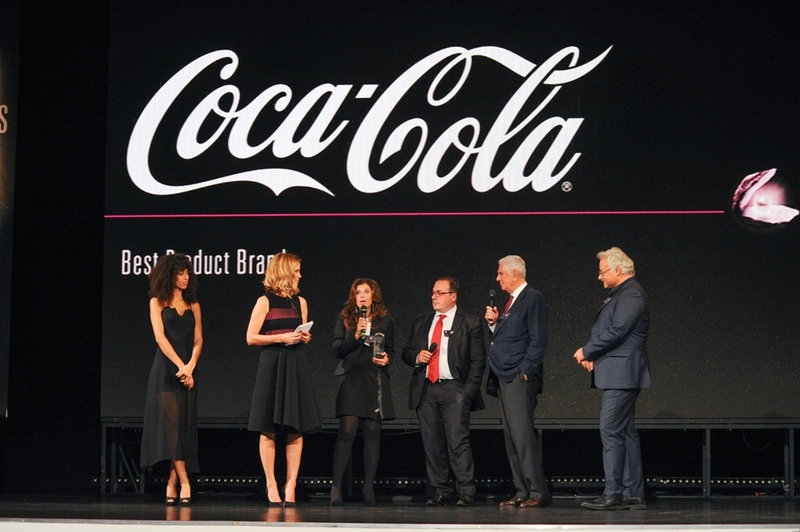 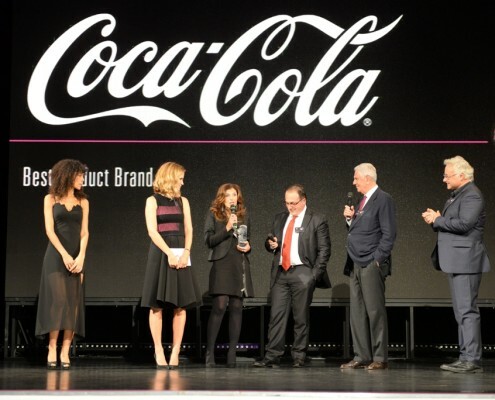 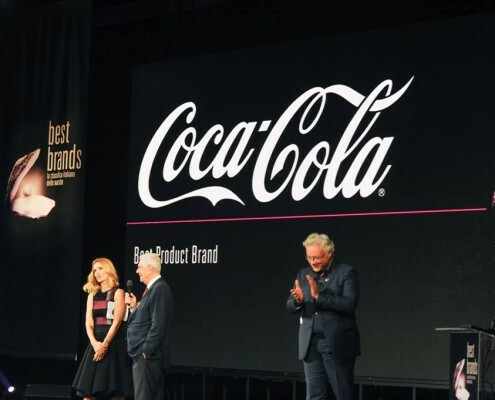 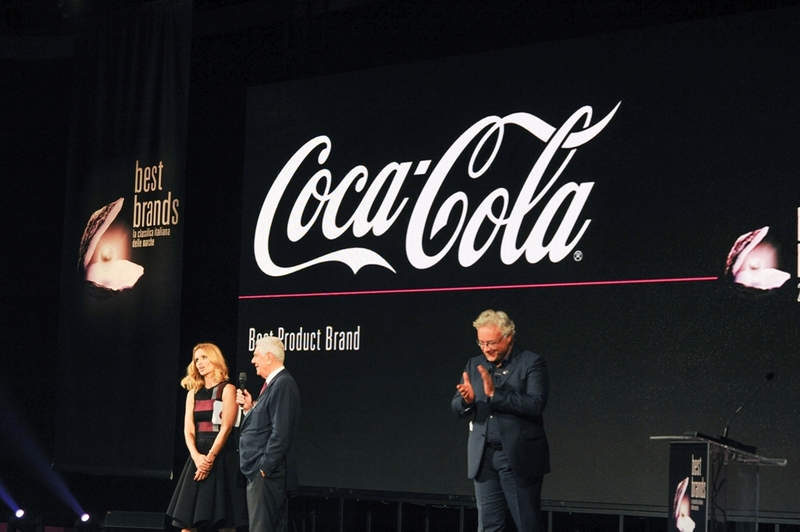 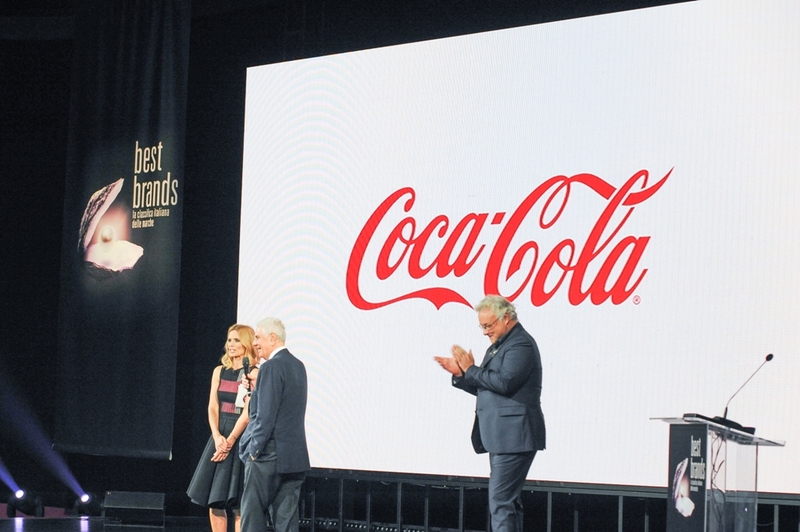 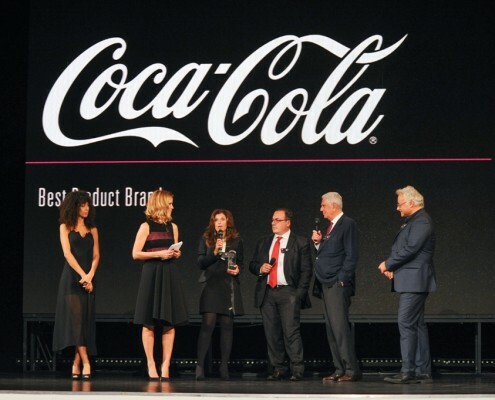 Now we know which brand is the most recognised and loved in Italy: it’s Coca-Cola, the winner of the Best Brands Product Italia 2015 award. 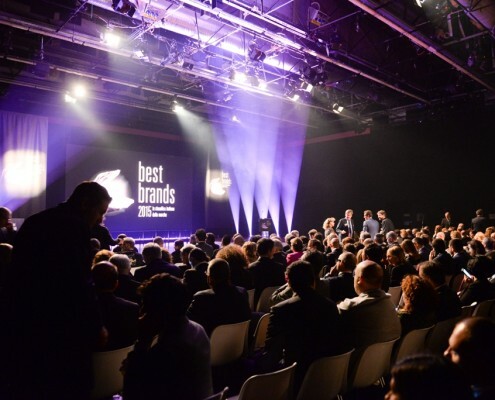 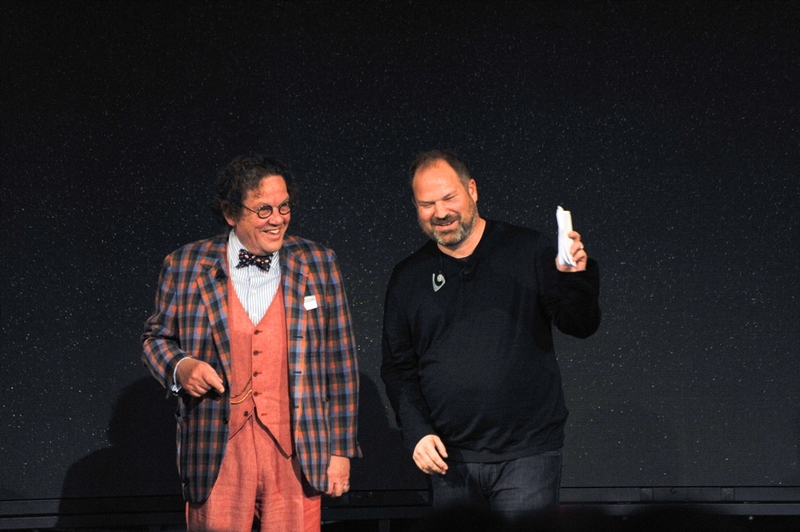 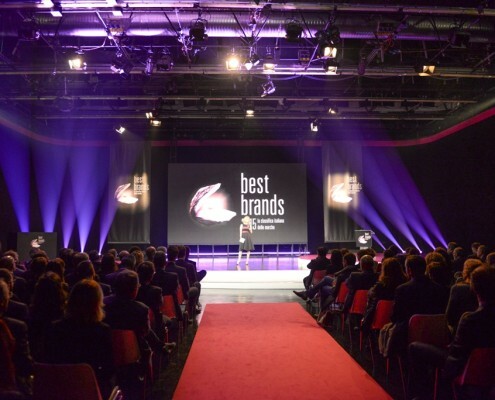 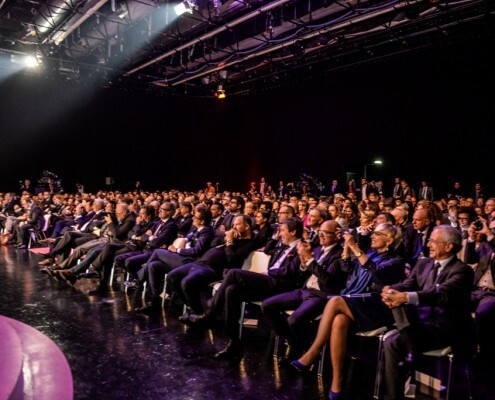 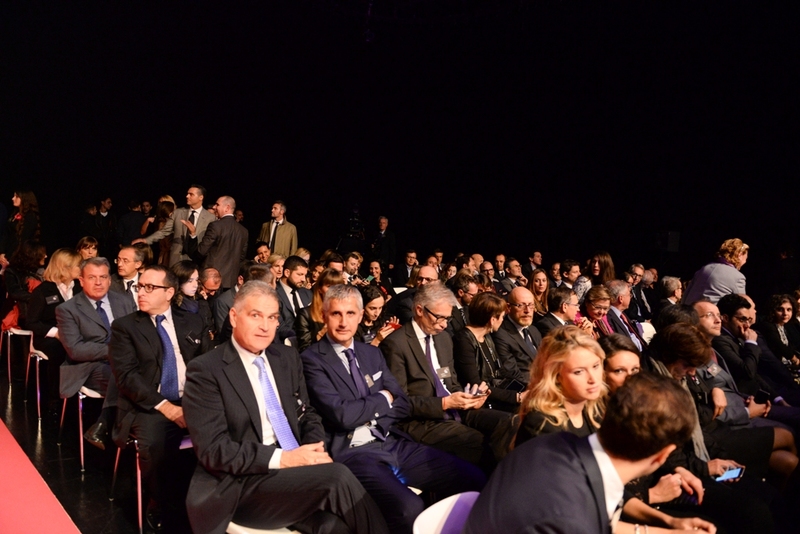 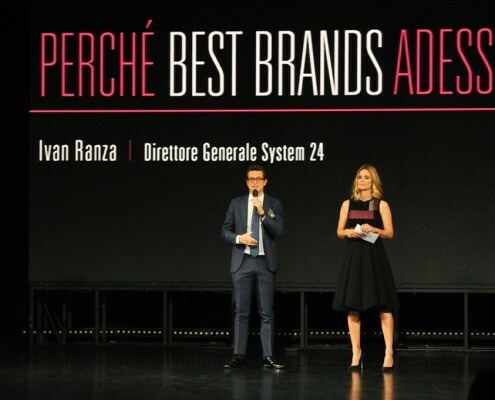 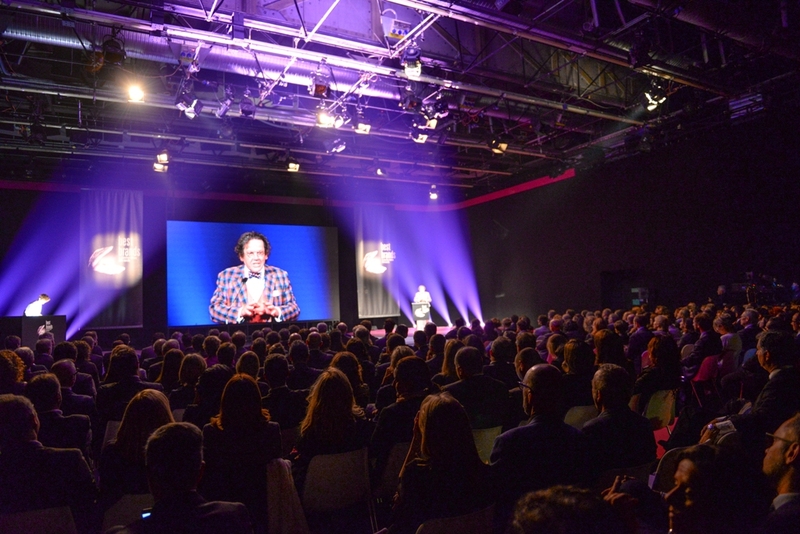 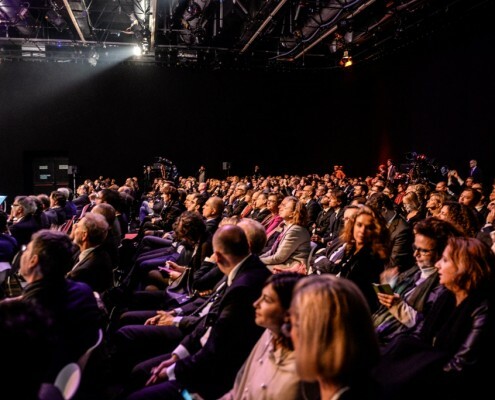 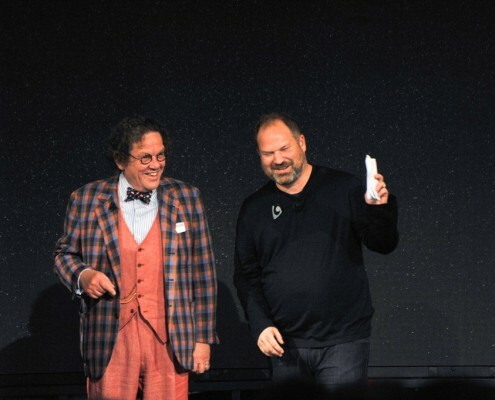 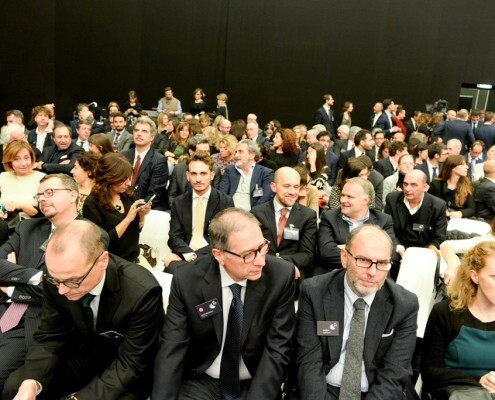 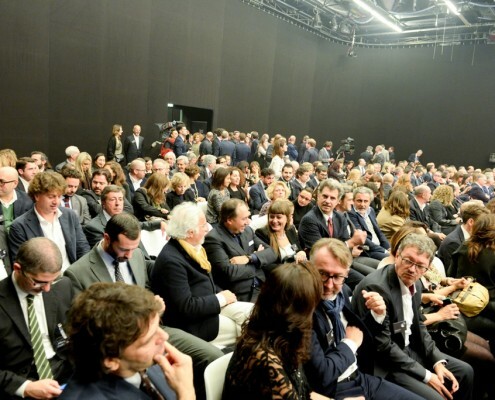 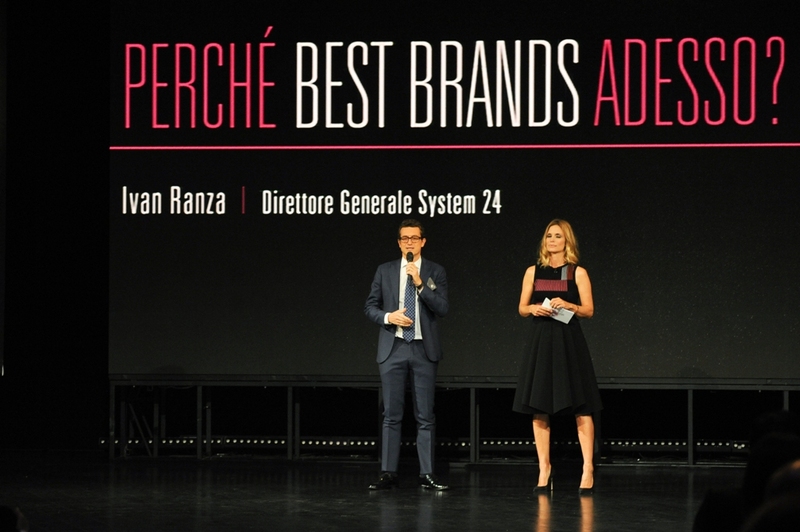 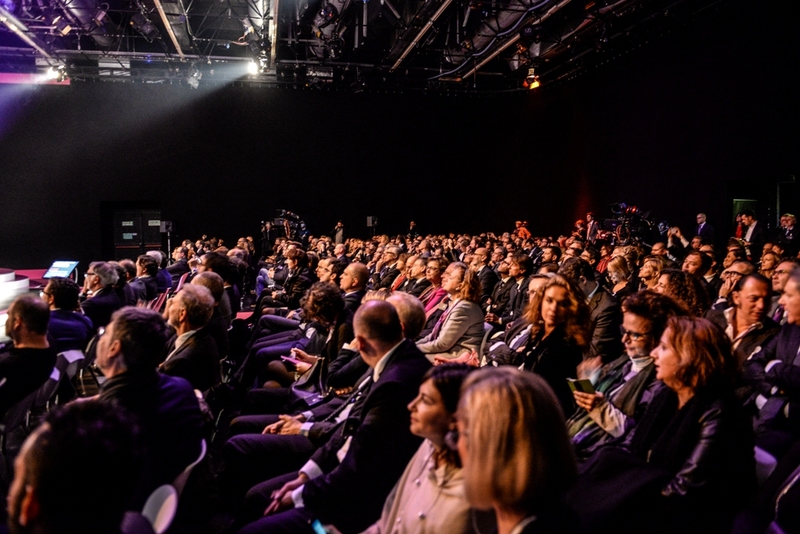 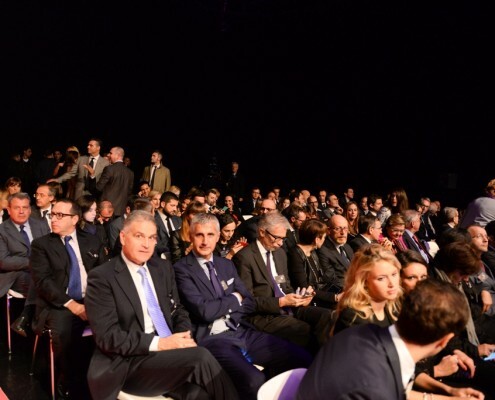 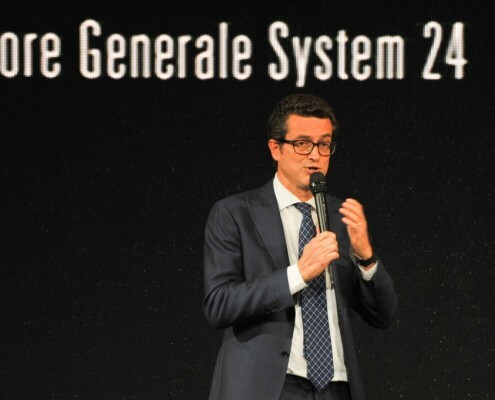 Hosted at the Rai studios, inVia Mecenate, Milan, the award night saw the participation of over 300 managers from some of the leading companies that operate in Italy, who all eagerly waited to see some special guests and hear the results of the Best Product Brand award. 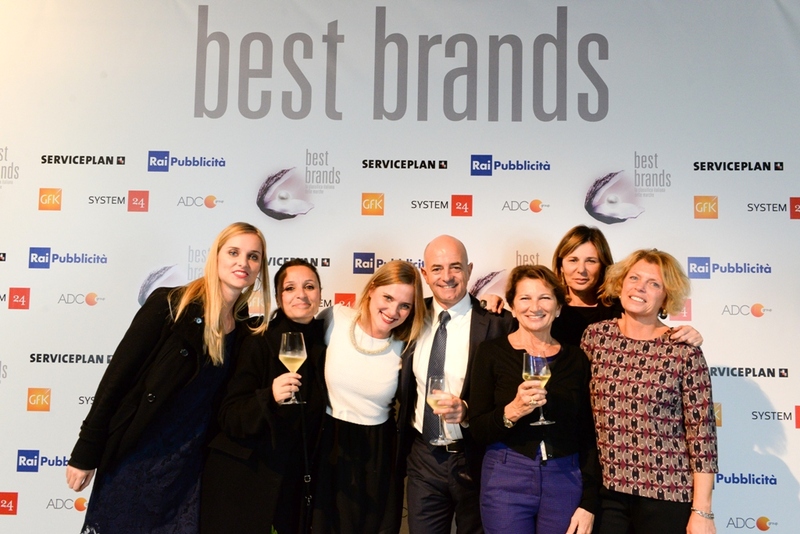 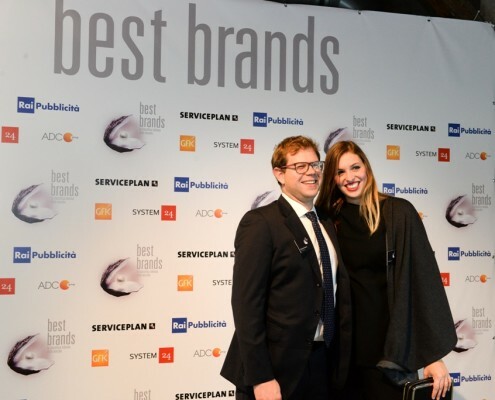 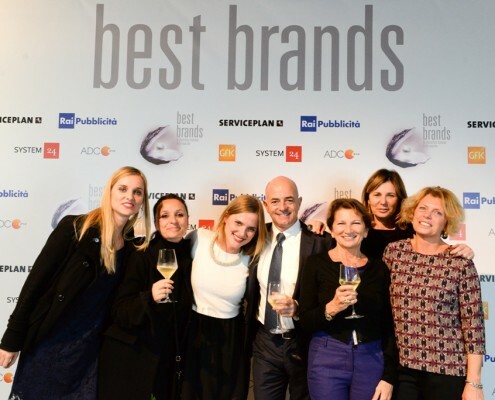 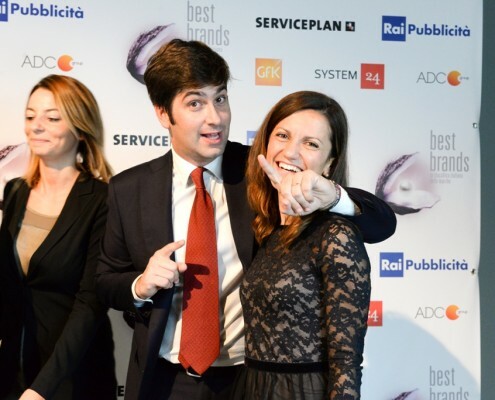 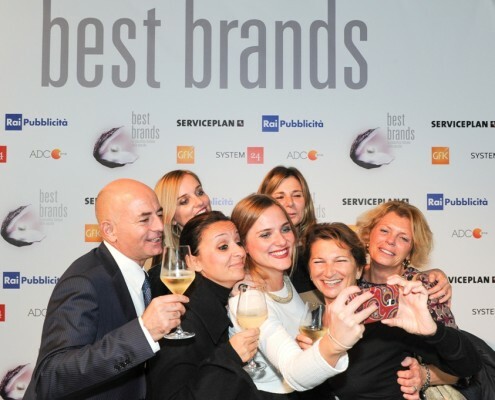 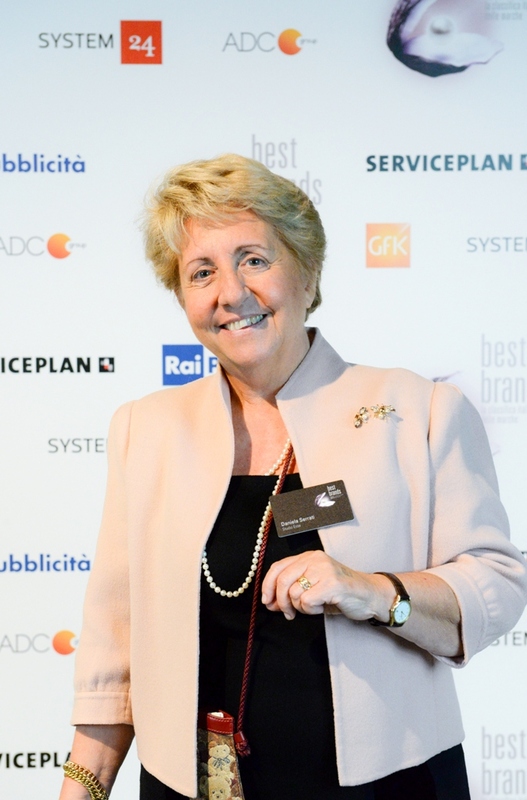 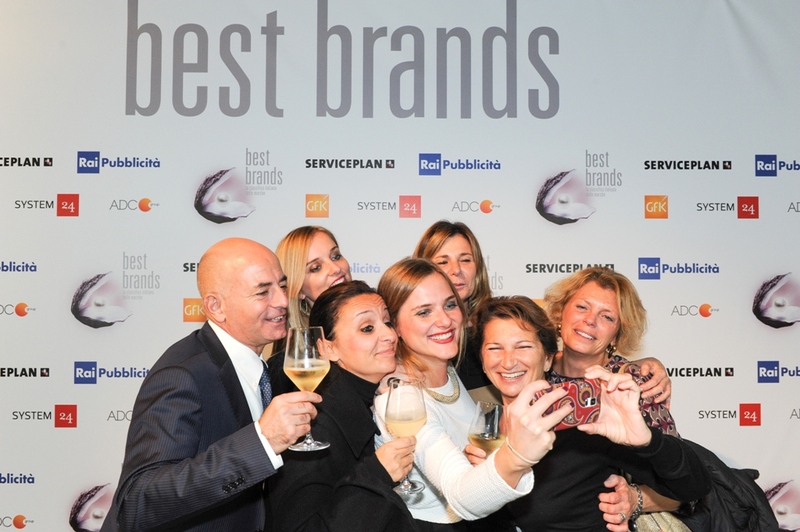 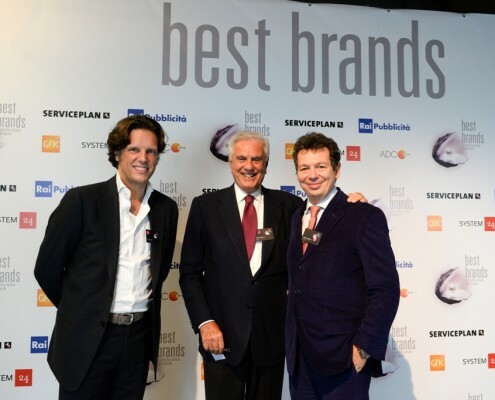 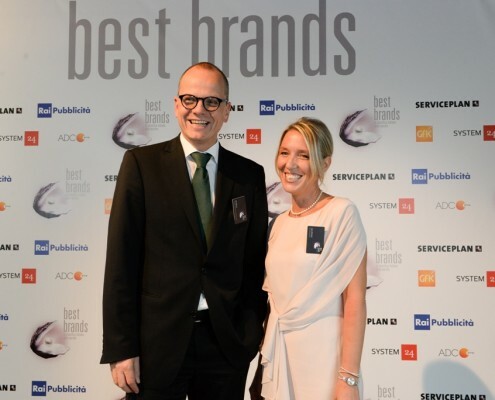 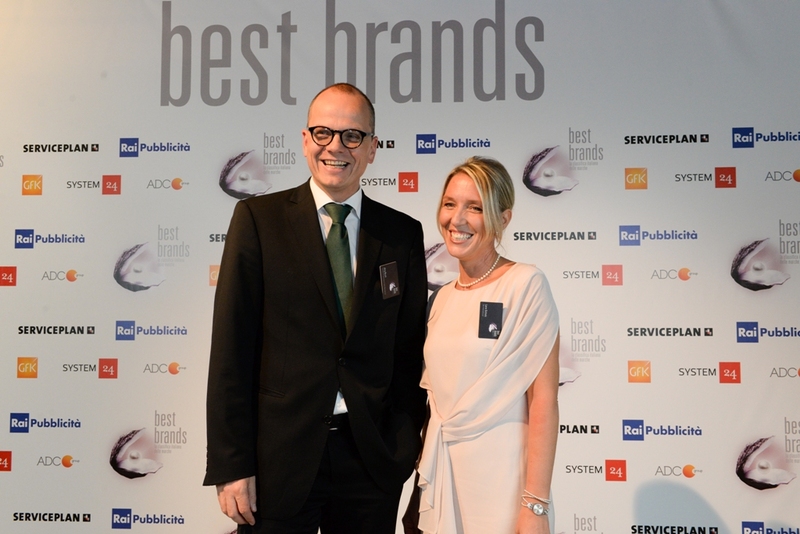 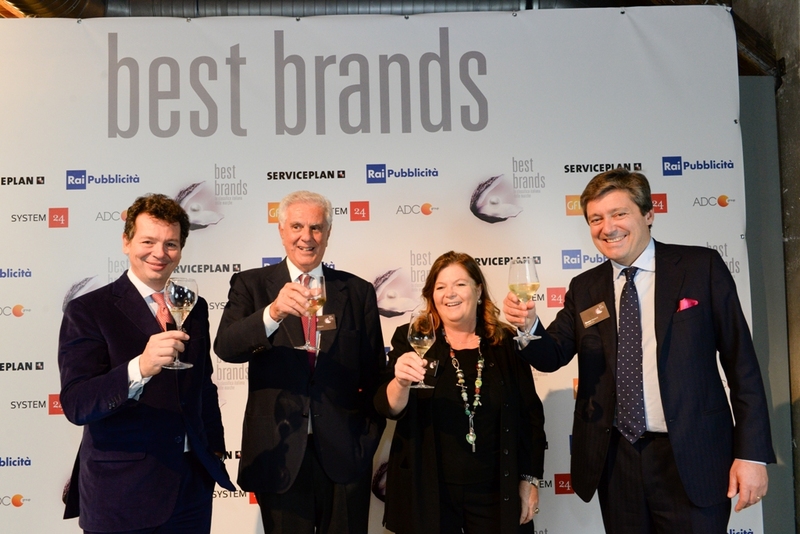 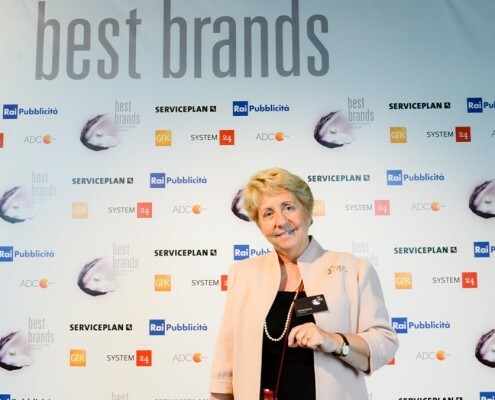 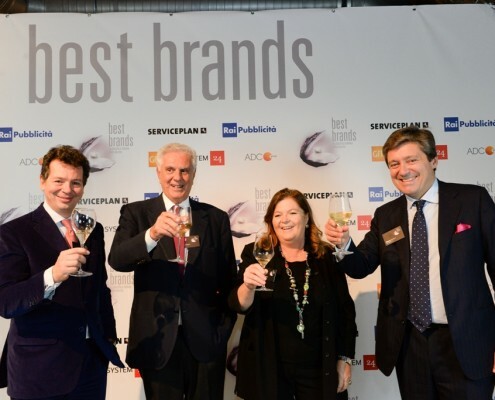 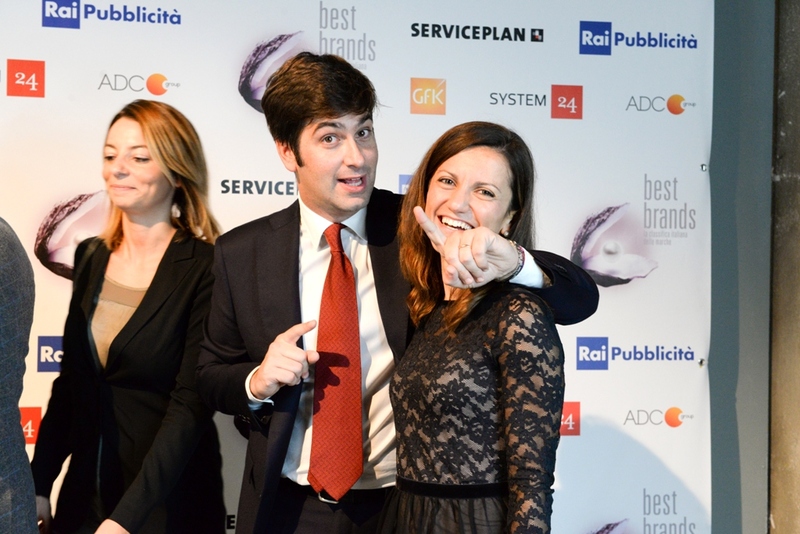 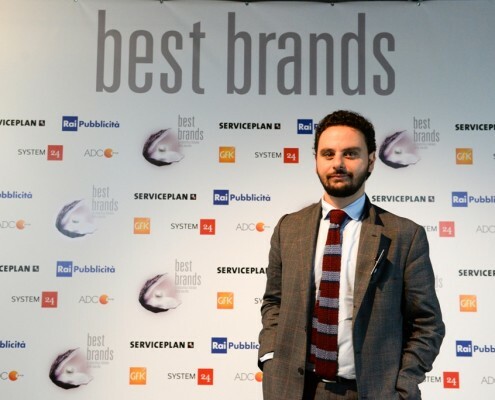 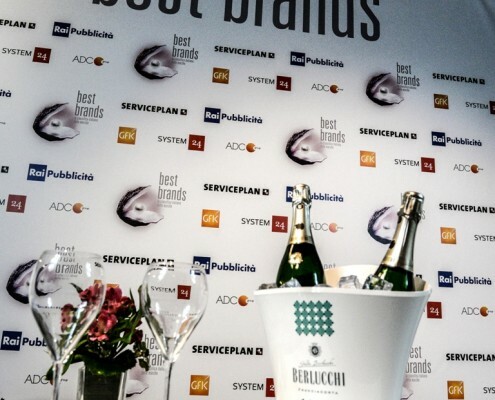 After all, we are celebrating a new beginning: a new way to rate the top brands that have been brought to Italy by Serviceplan, the most important independent communication group in Europe, which, together with GfK, first launched the event in Germany thirteen years ago. 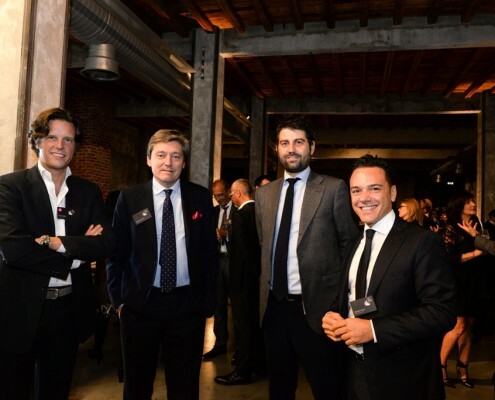 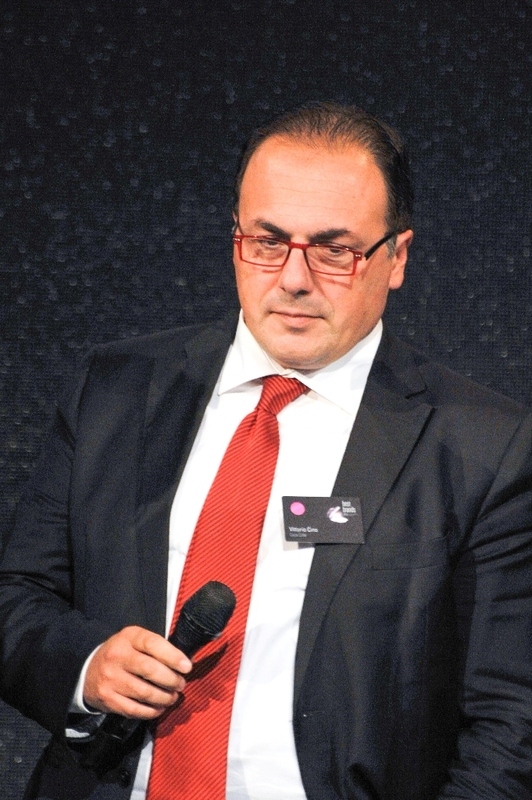 MD of Serviceplan Italia and Silvio Siliprandi of GfK Eurisko; Fabrizio Piscopo, MD of Rai Pubblicità; the general manager of System, Ivan Ranza, and Salvatore Sagone, Director of ADC Group.